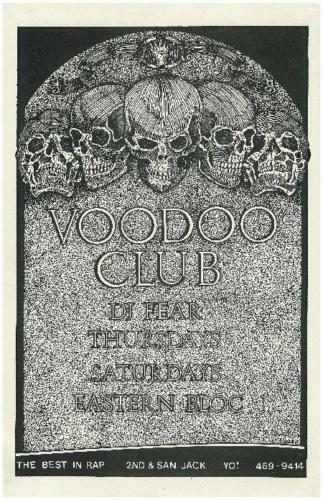 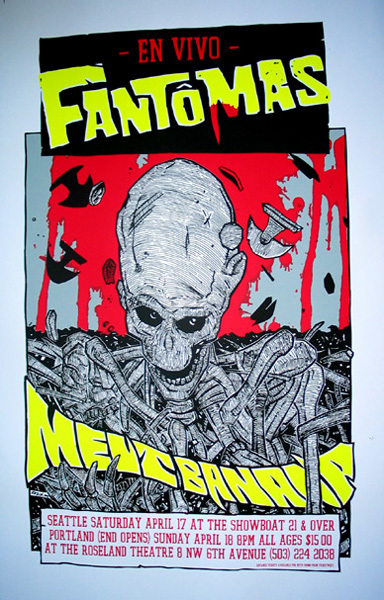 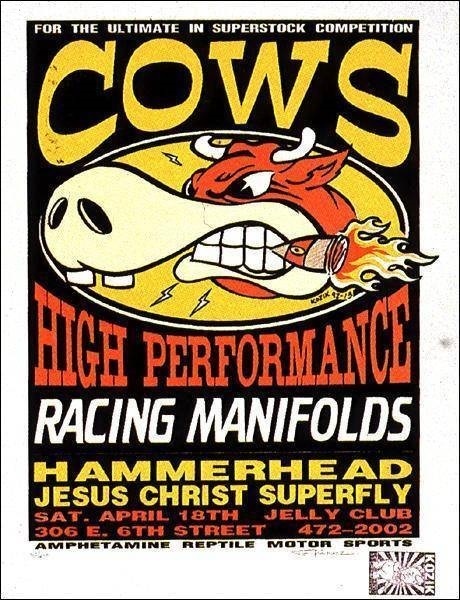 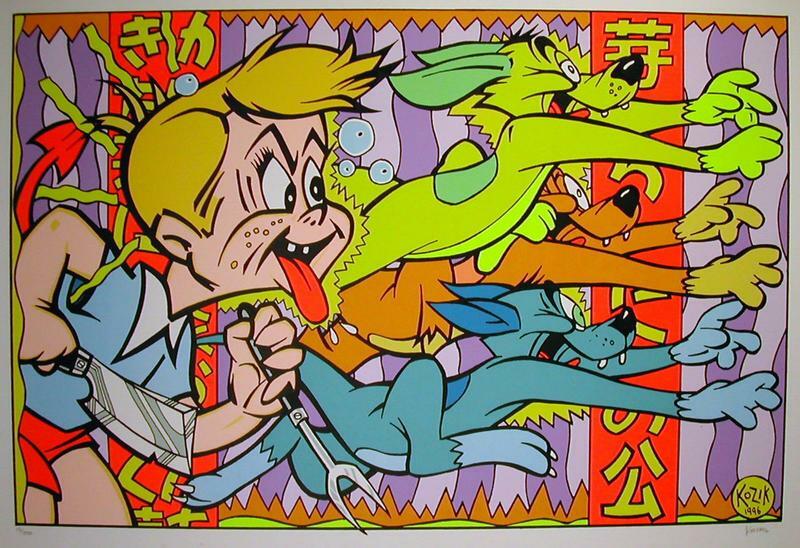 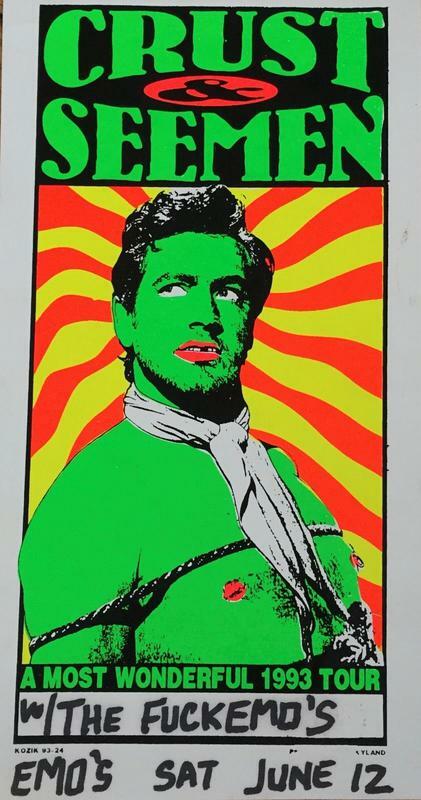 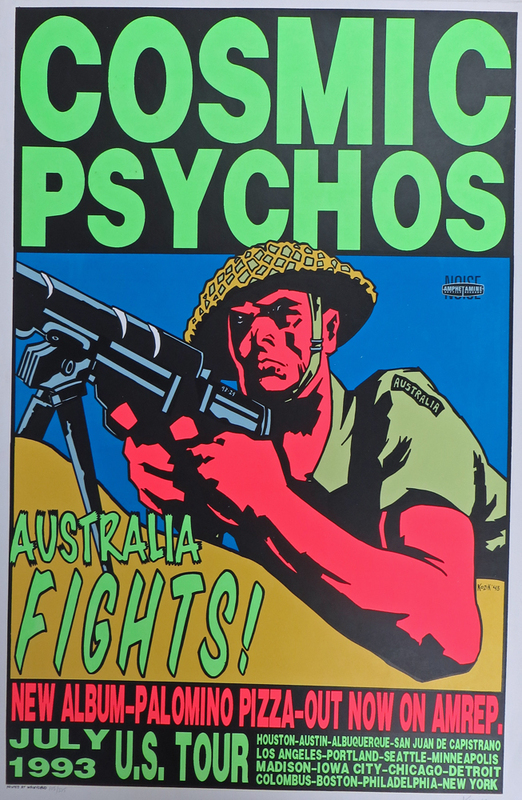 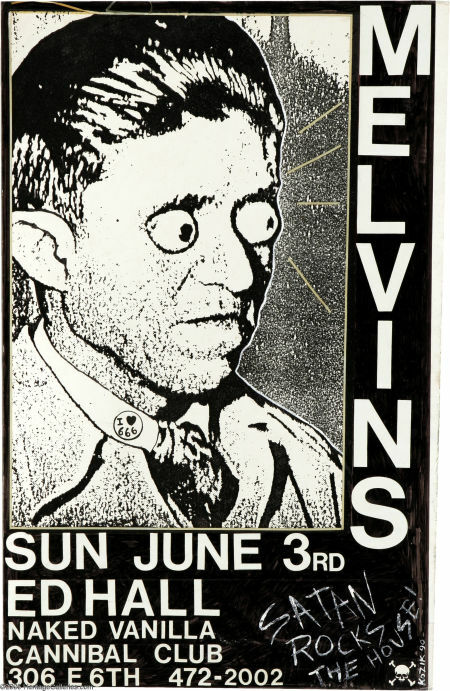 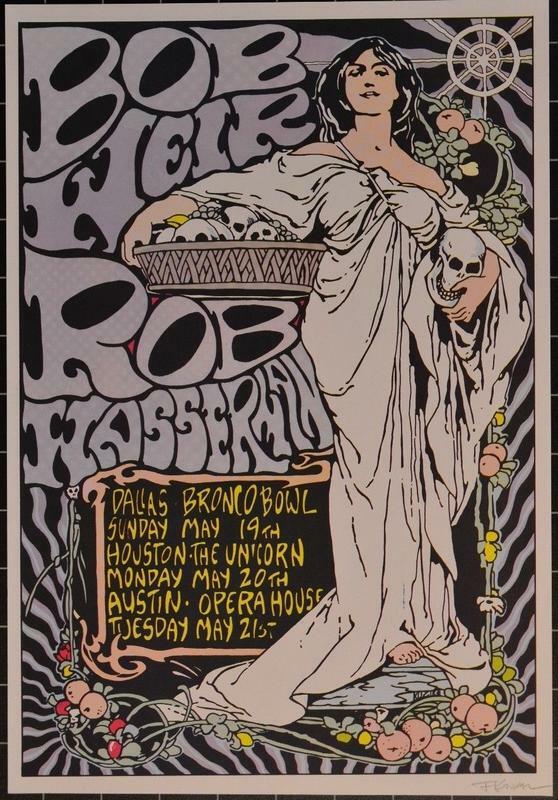 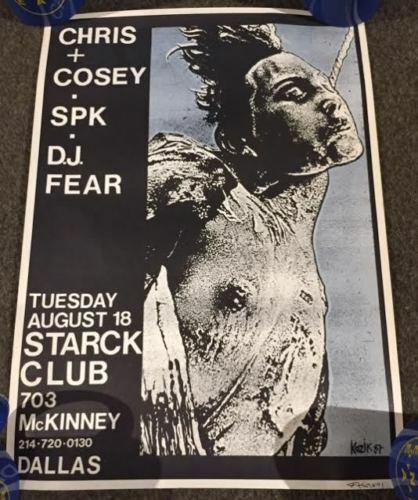 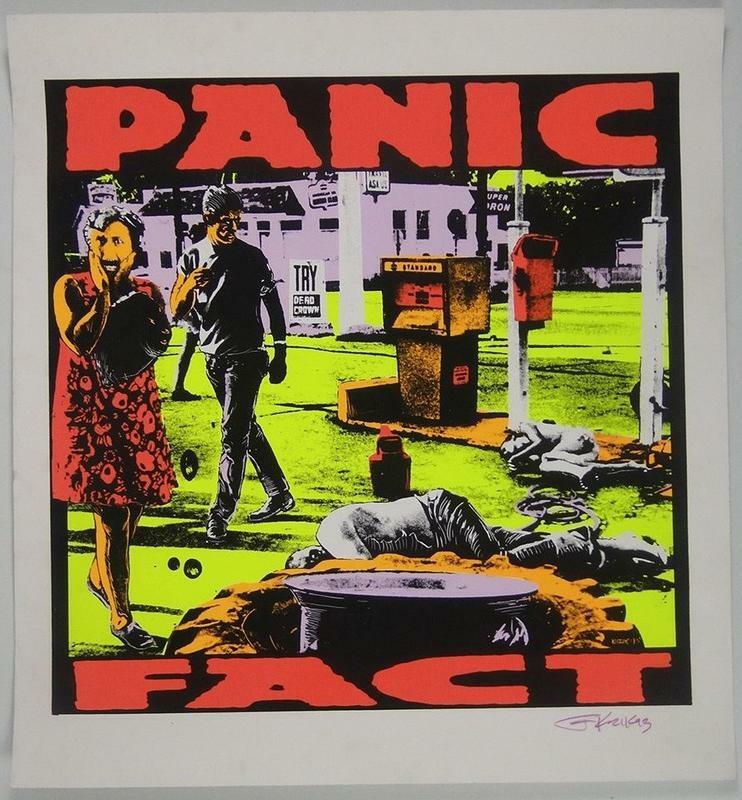 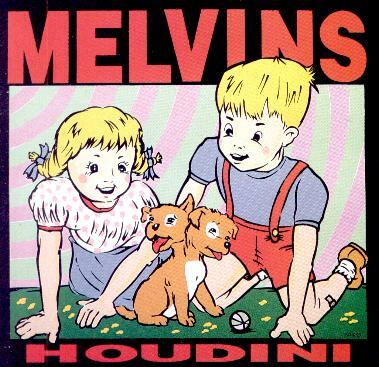 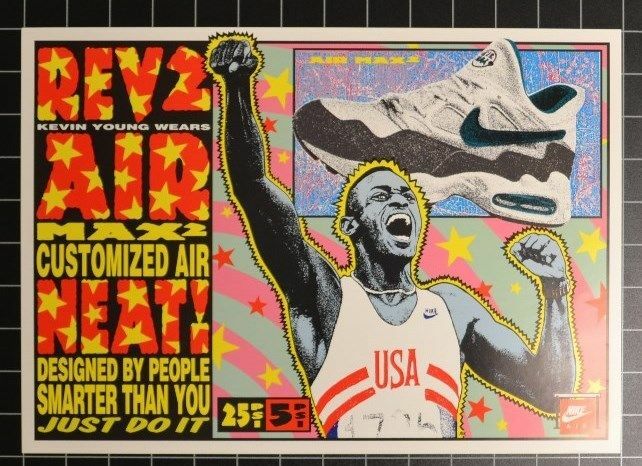 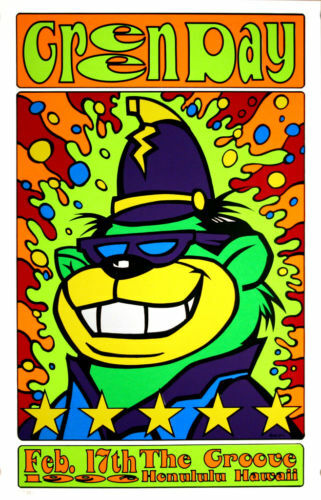 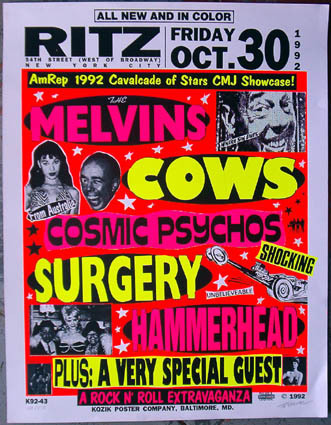 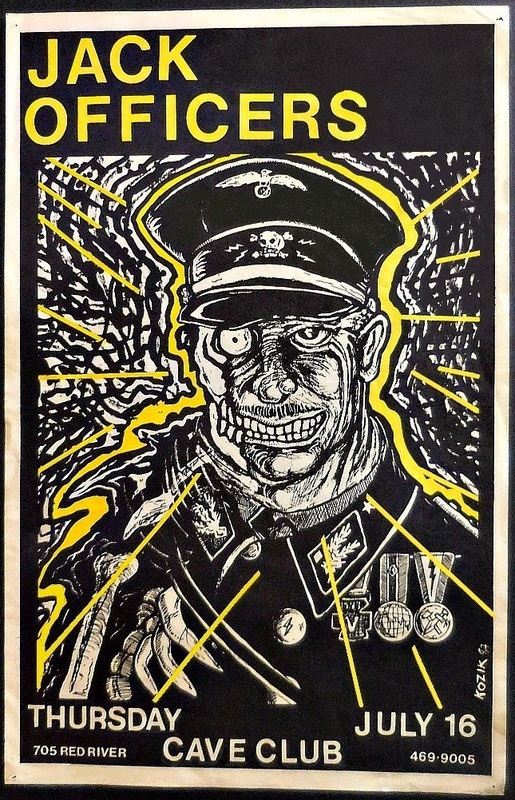 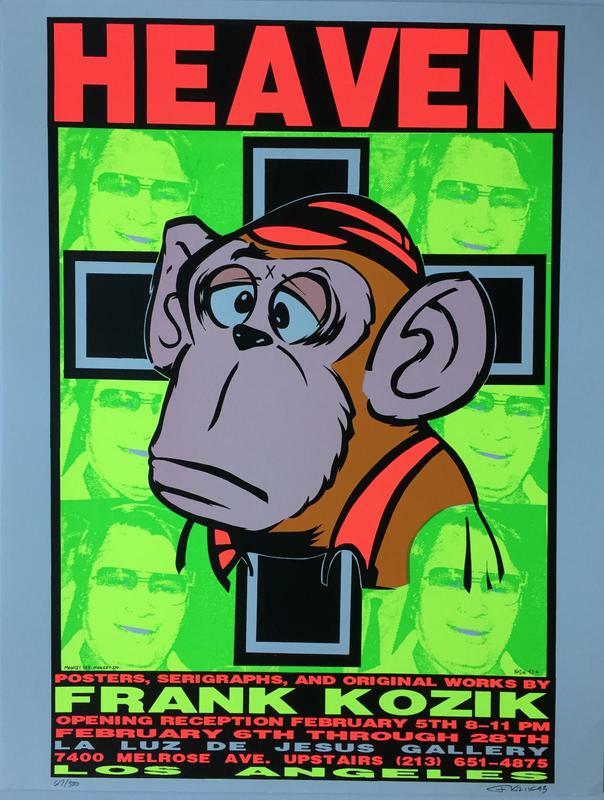 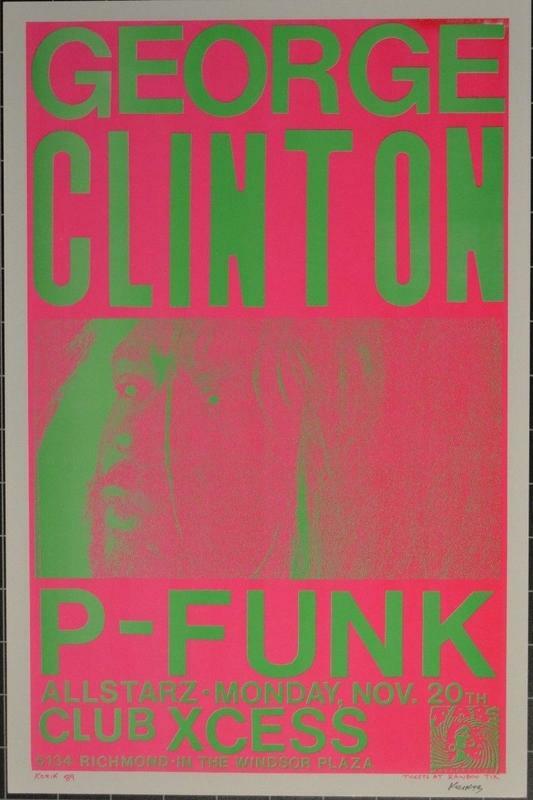 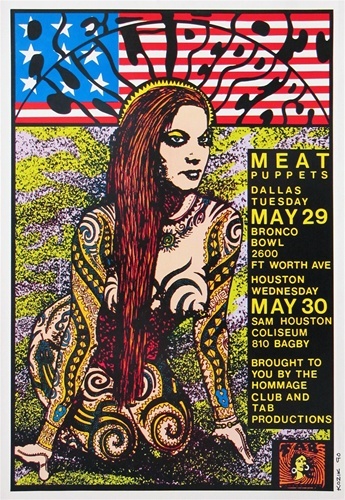 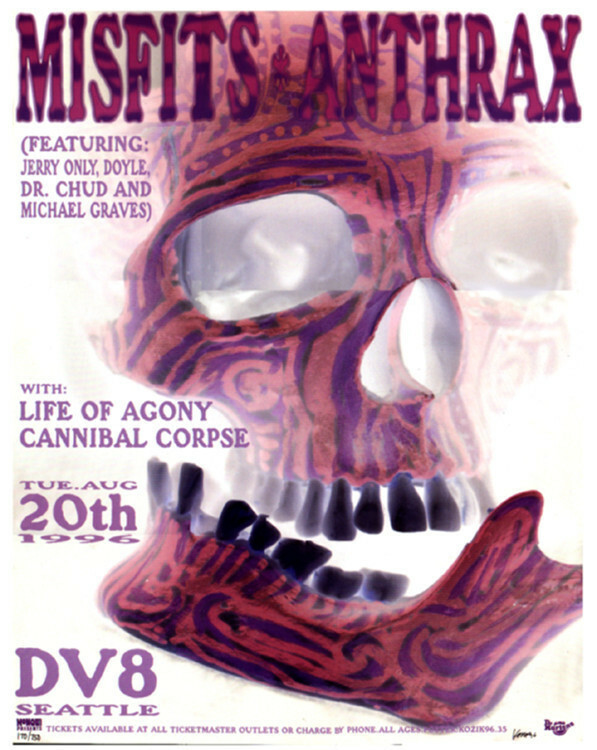 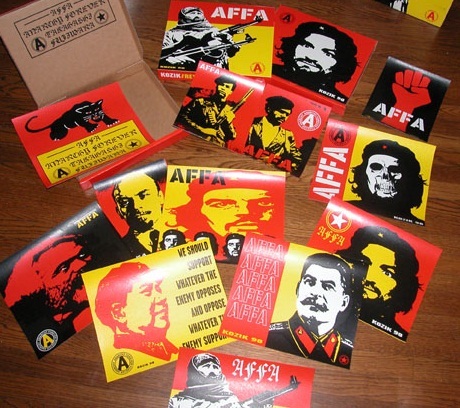 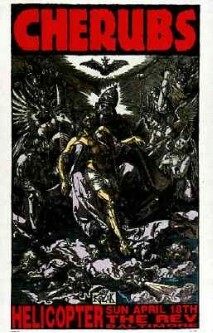 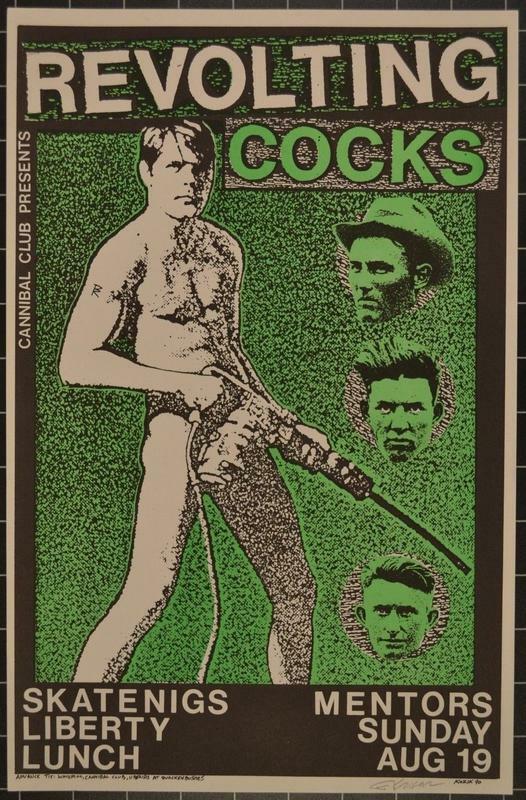 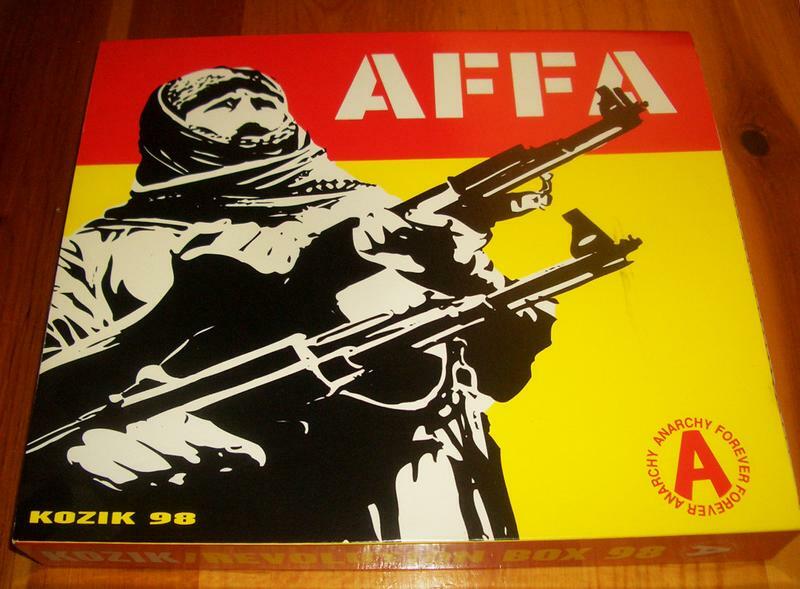 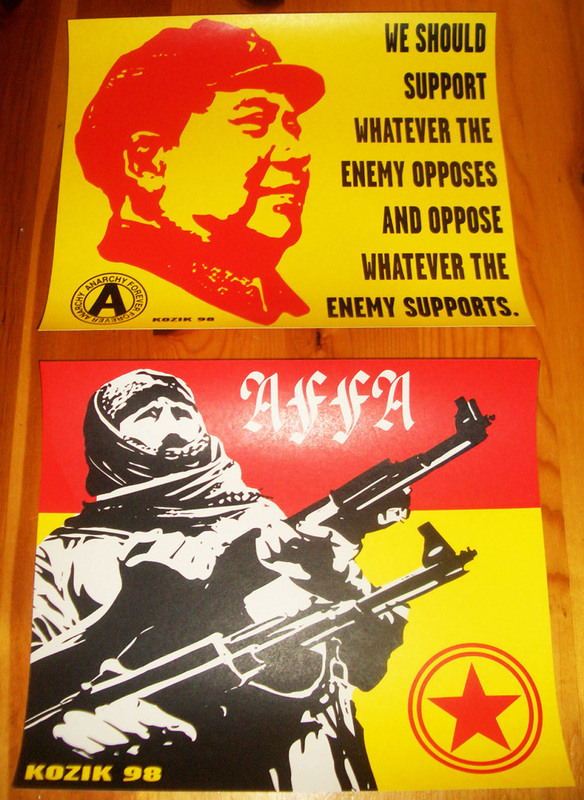 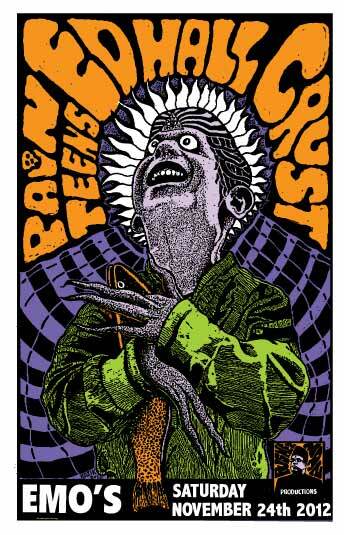 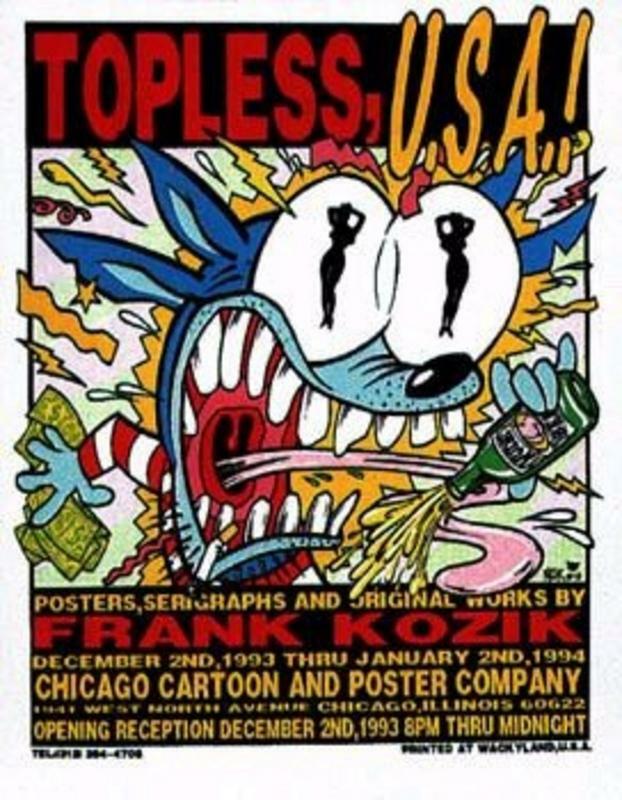 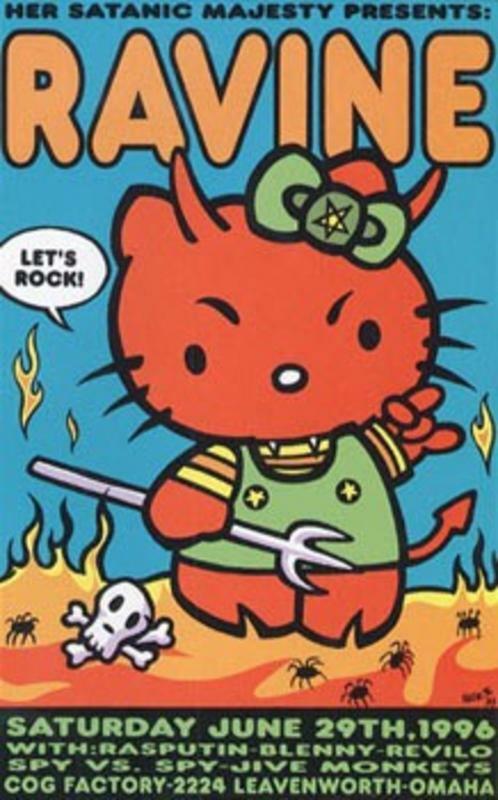 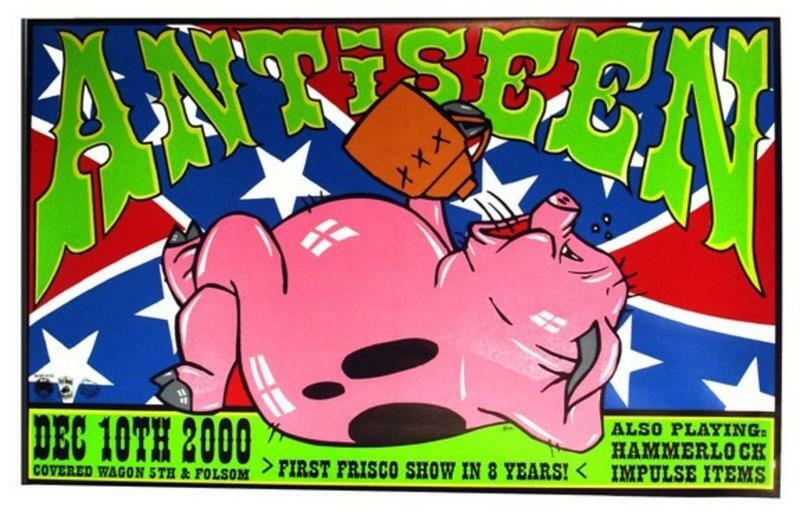 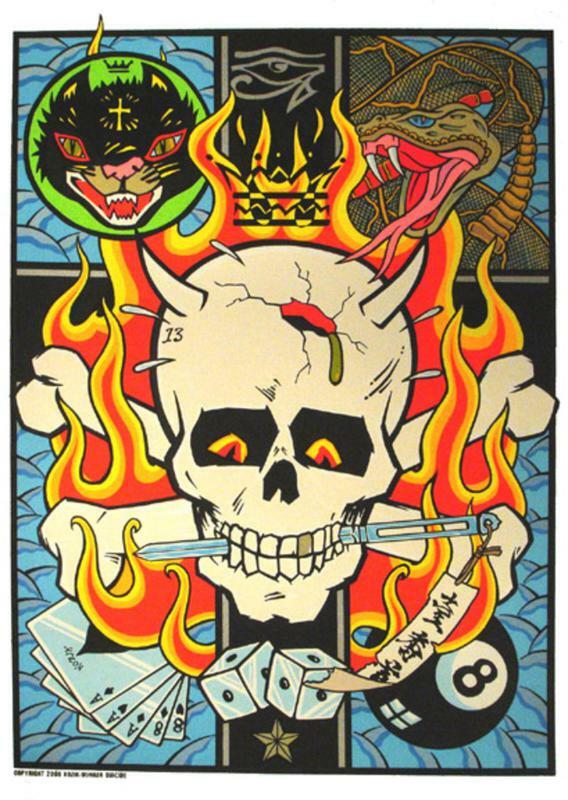 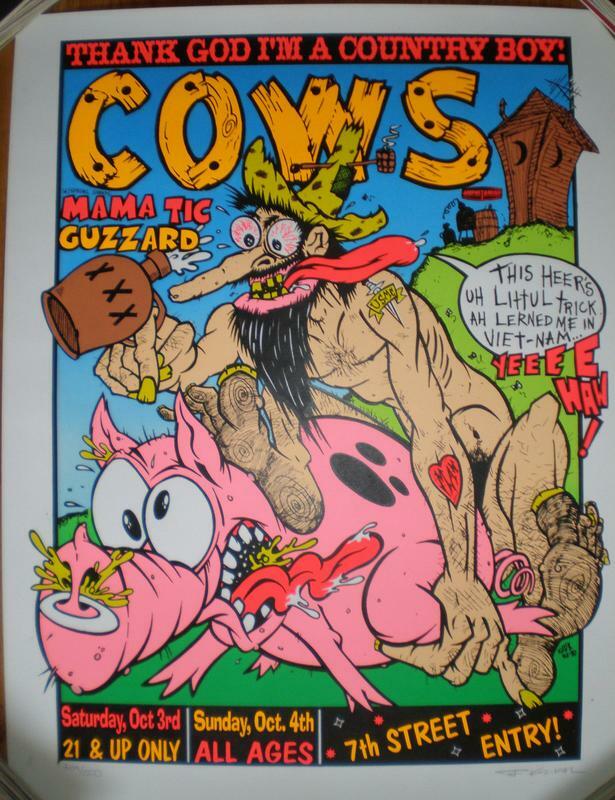 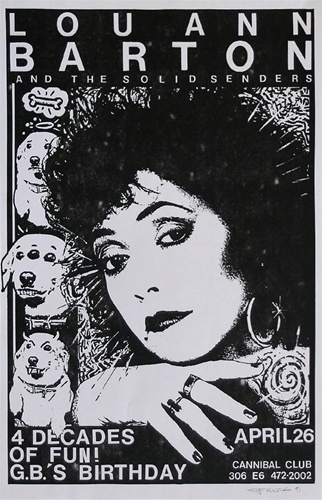 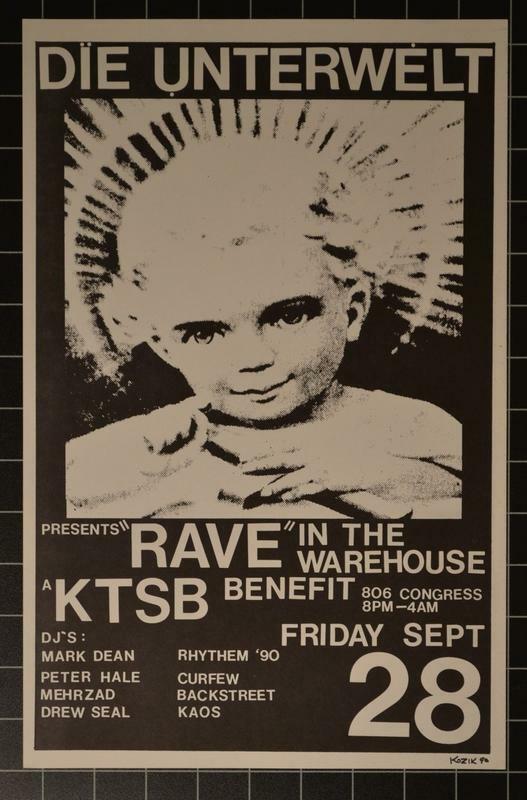 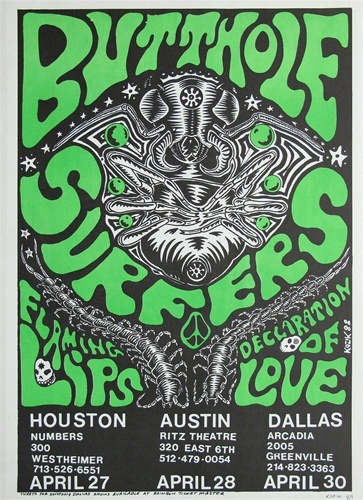 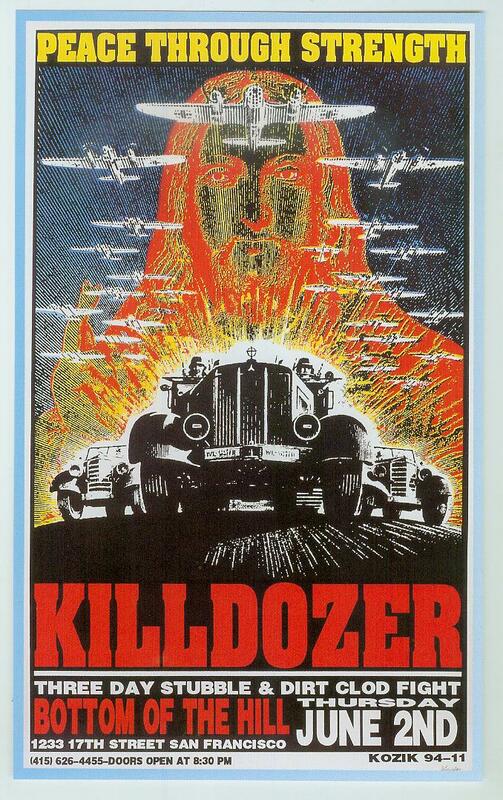 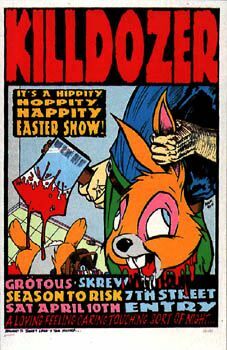 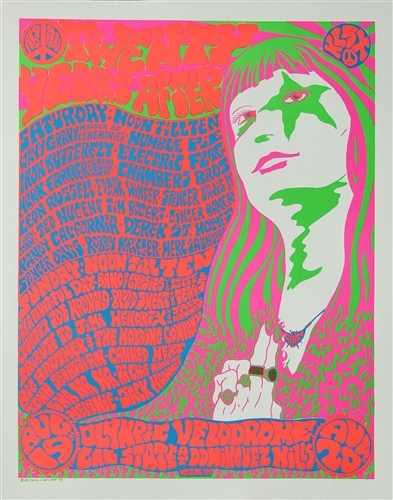 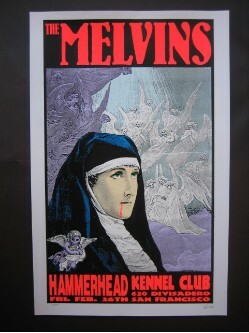 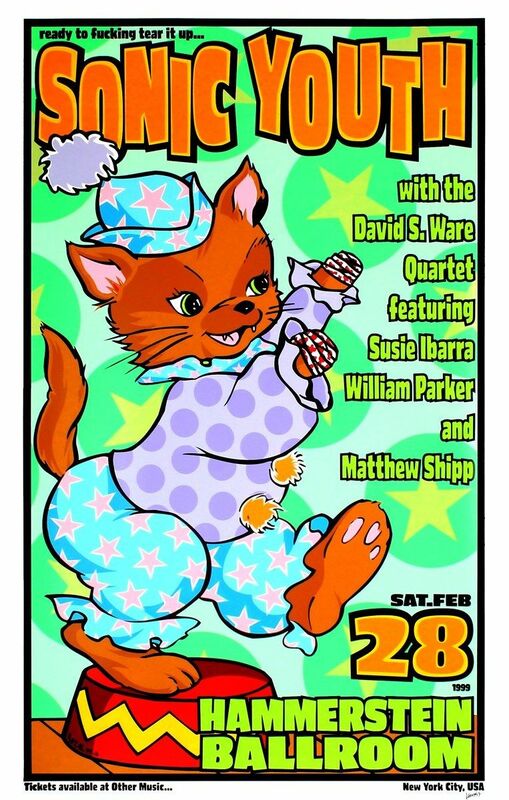 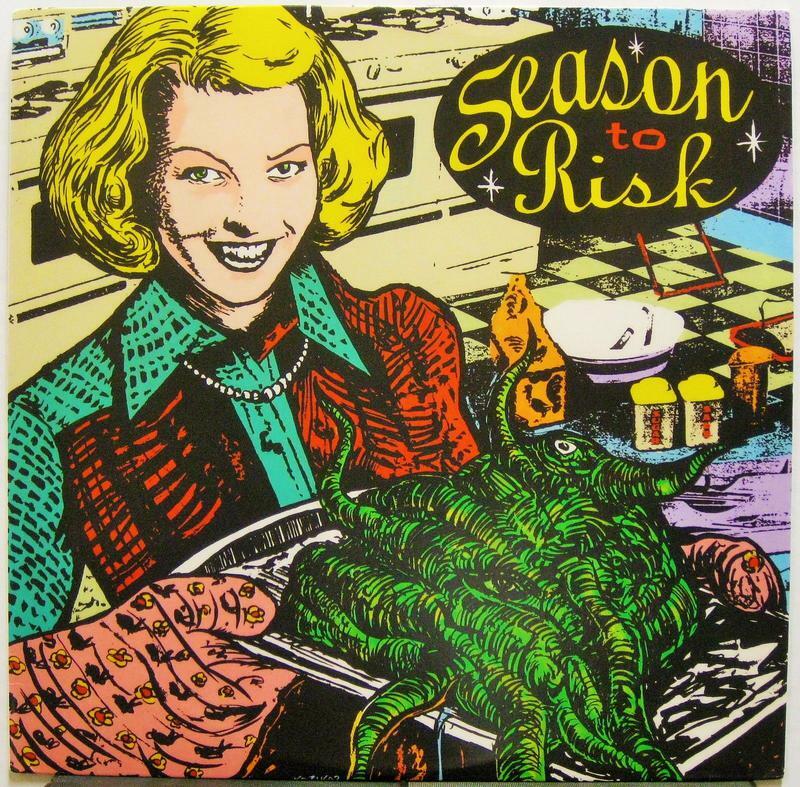 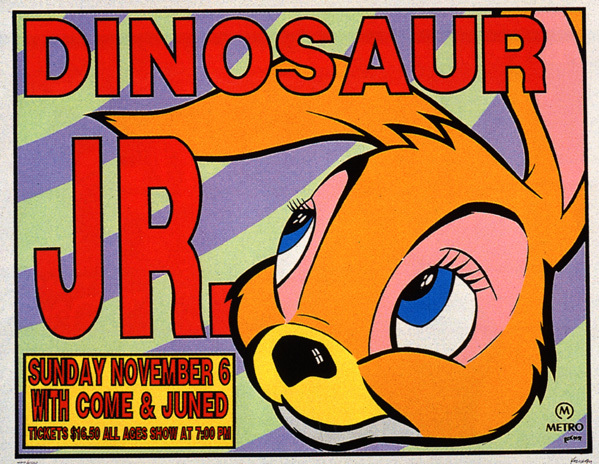 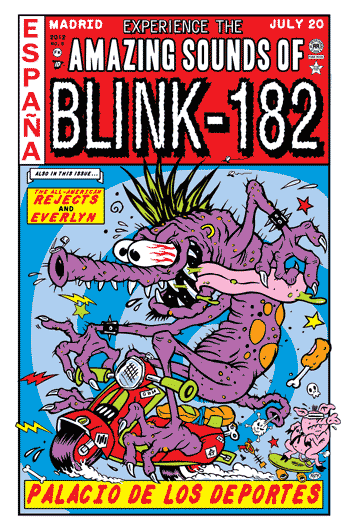 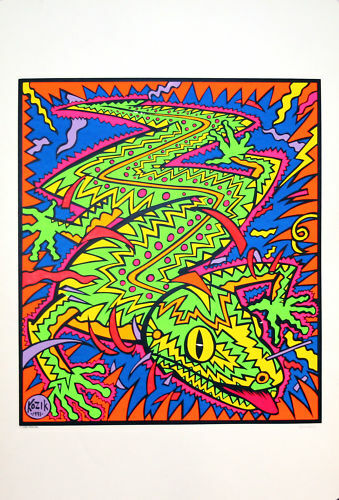 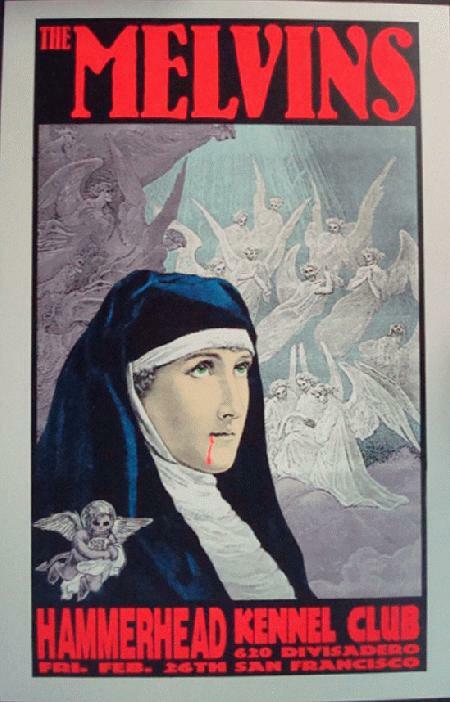 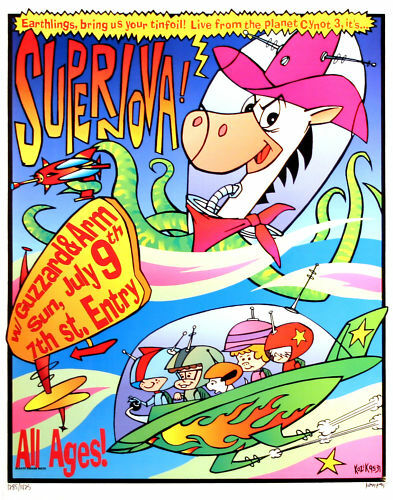 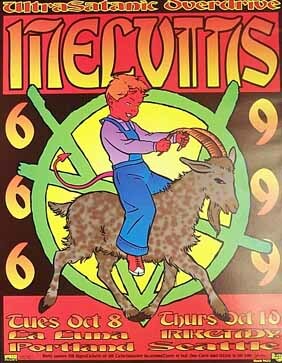 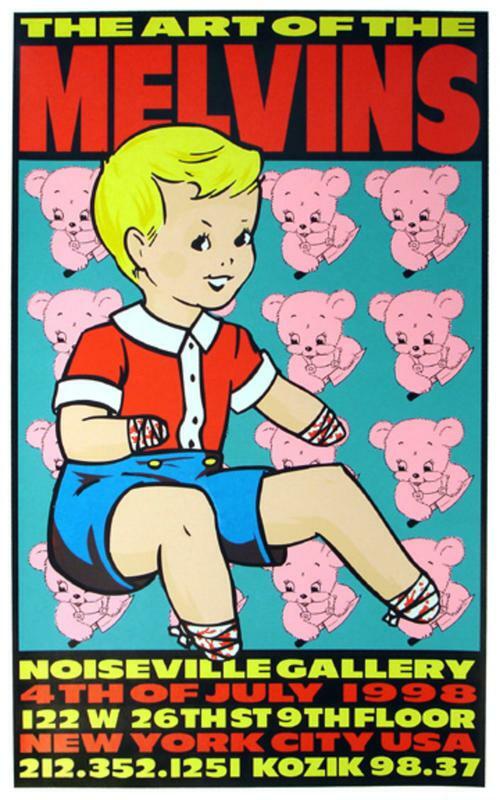 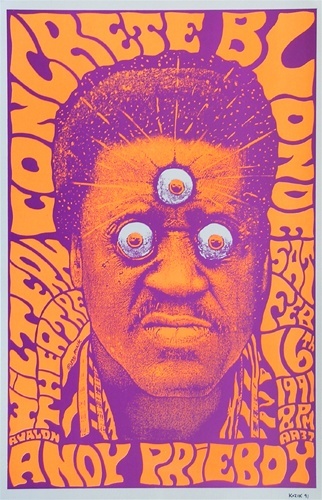 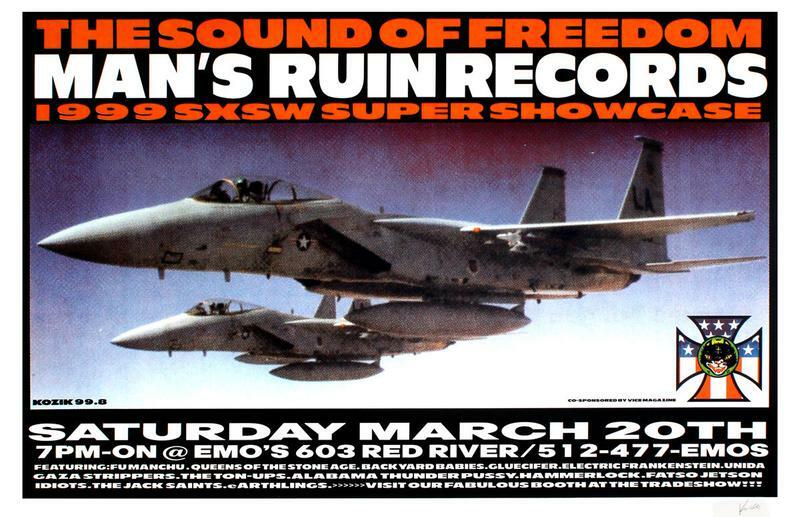 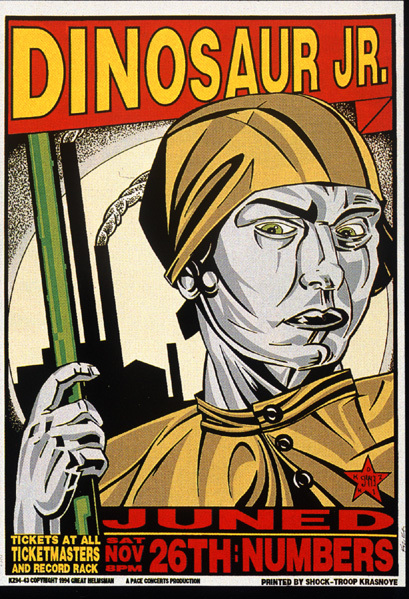 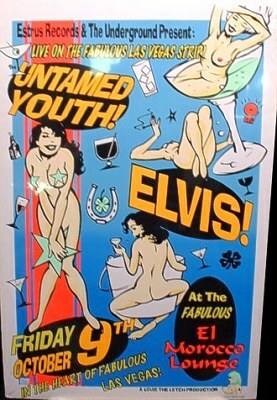 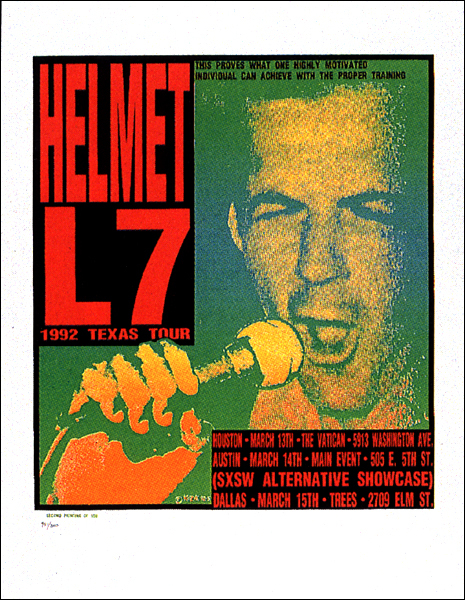 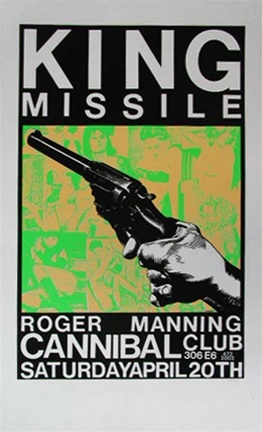 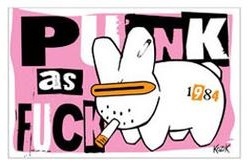 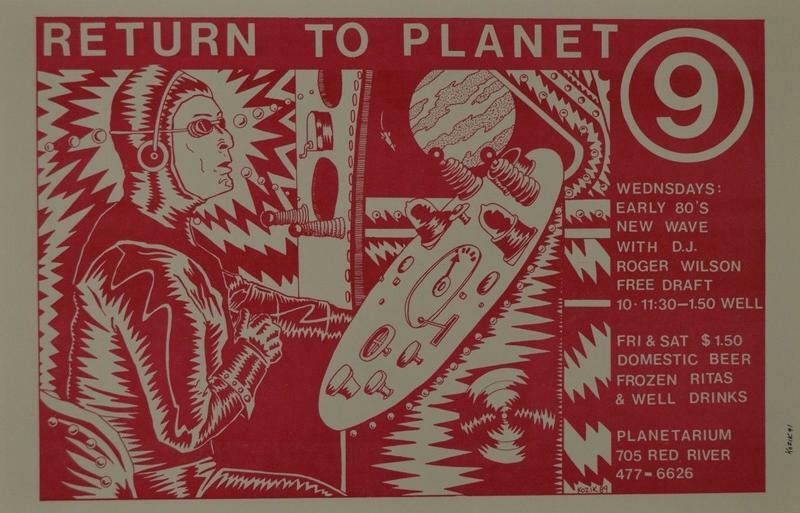 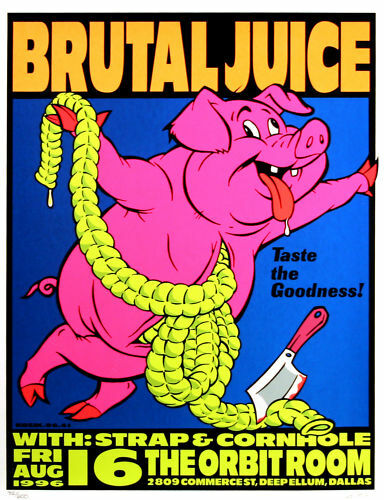 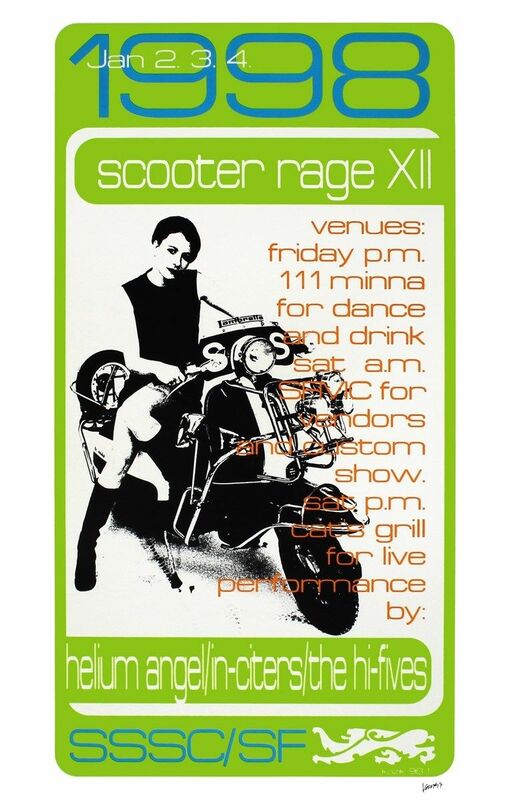 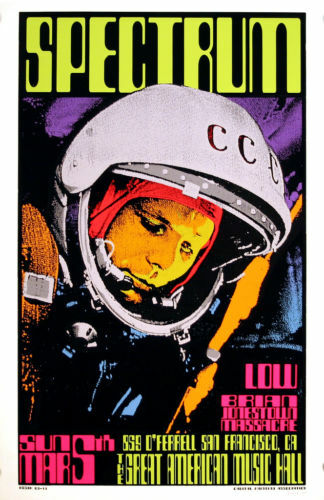 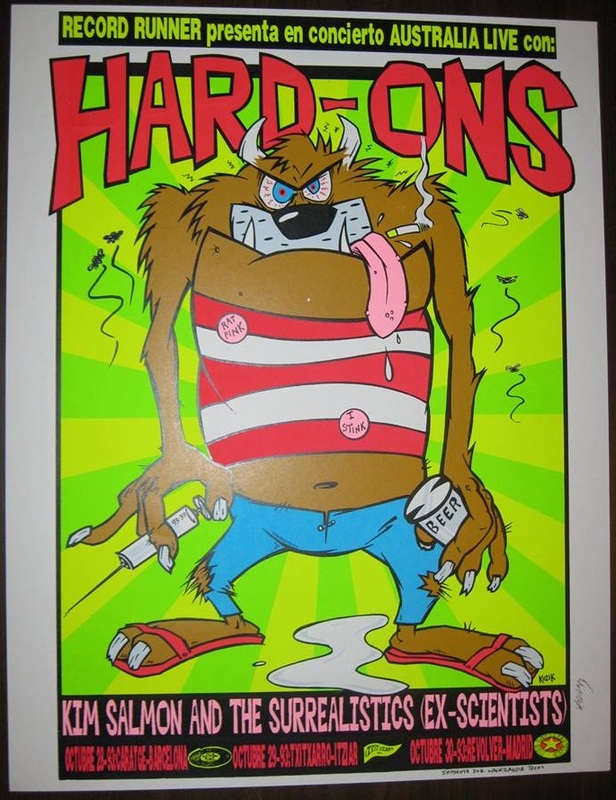 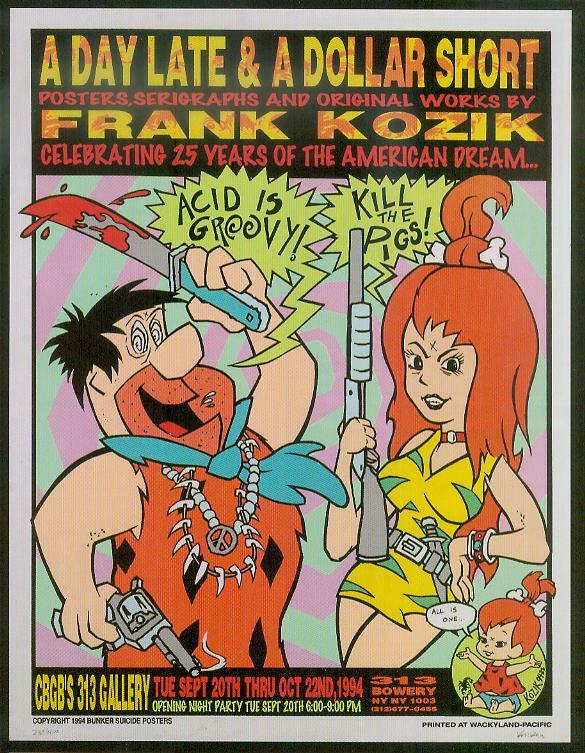 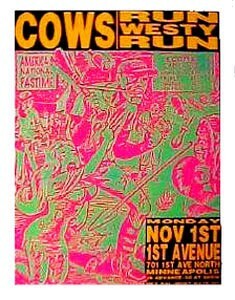 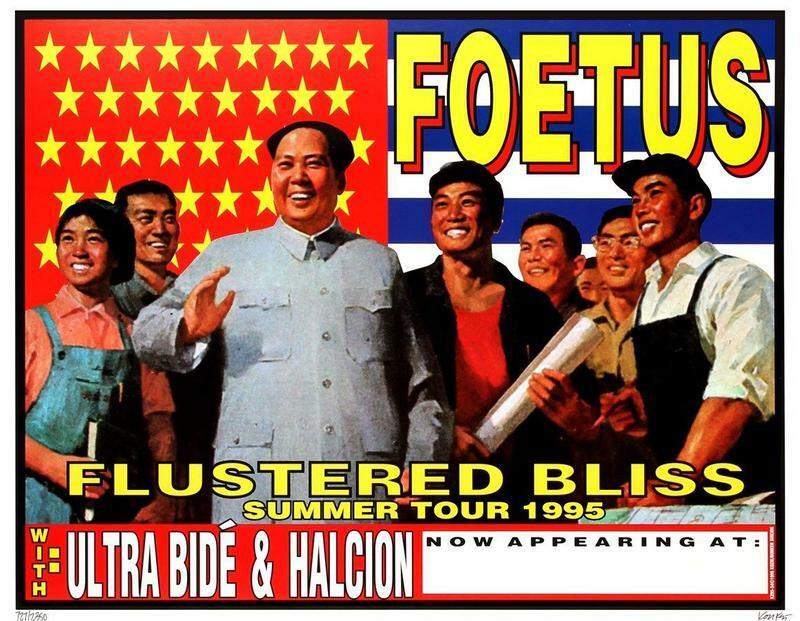 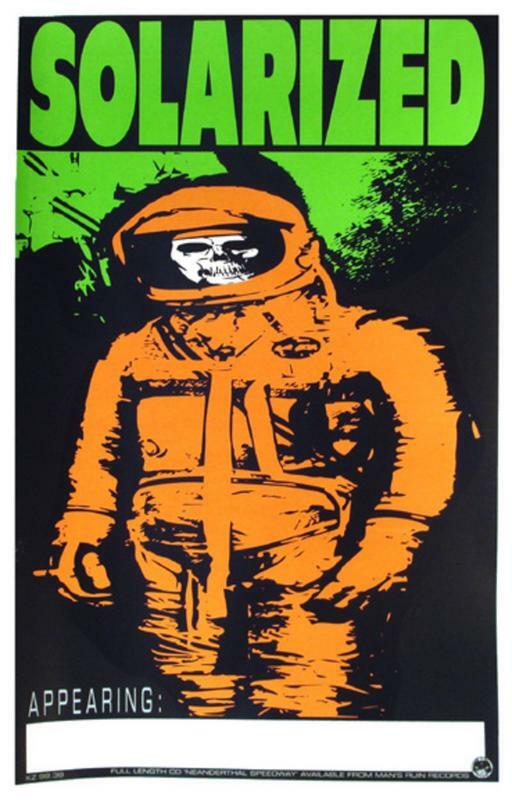 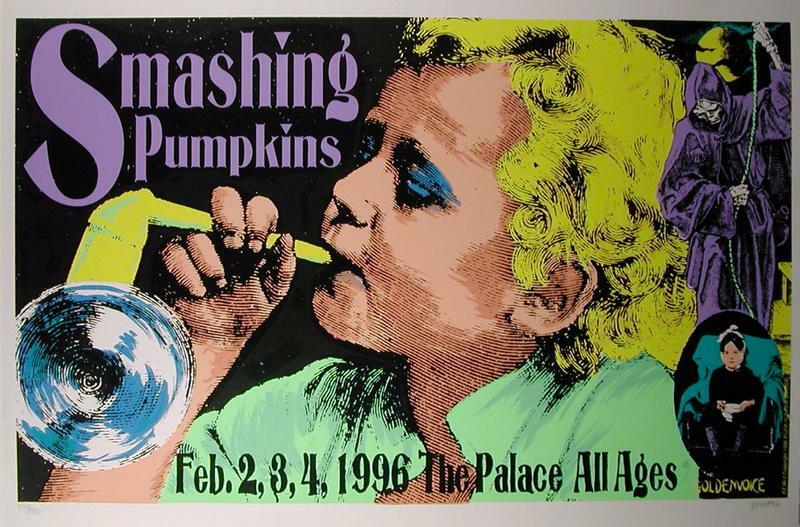 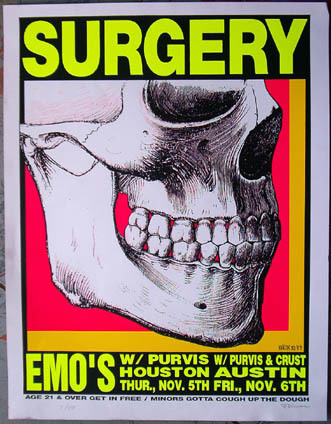 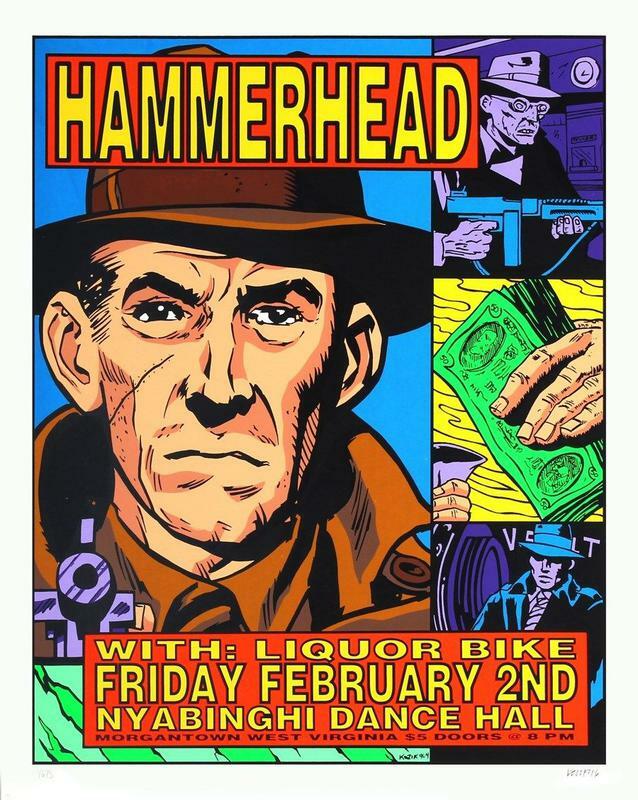 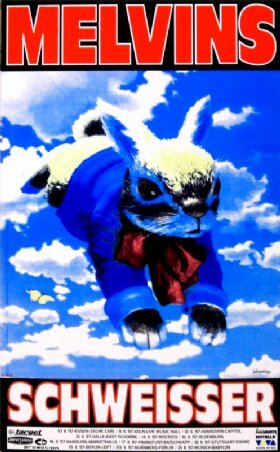 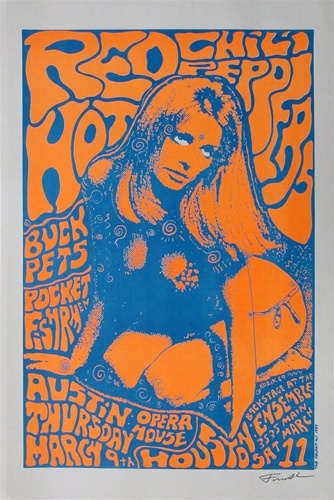 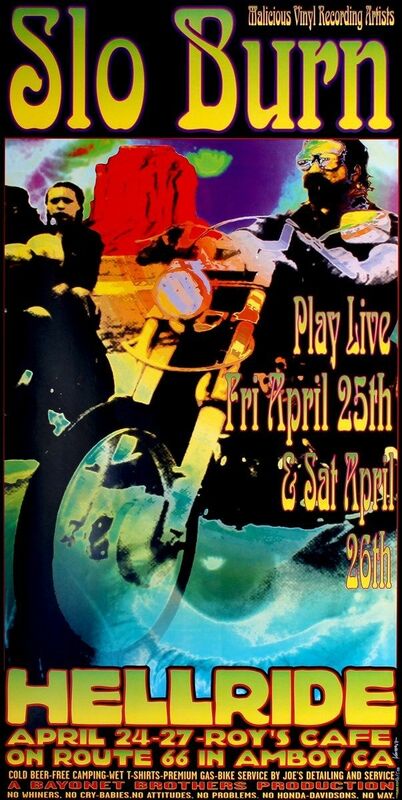 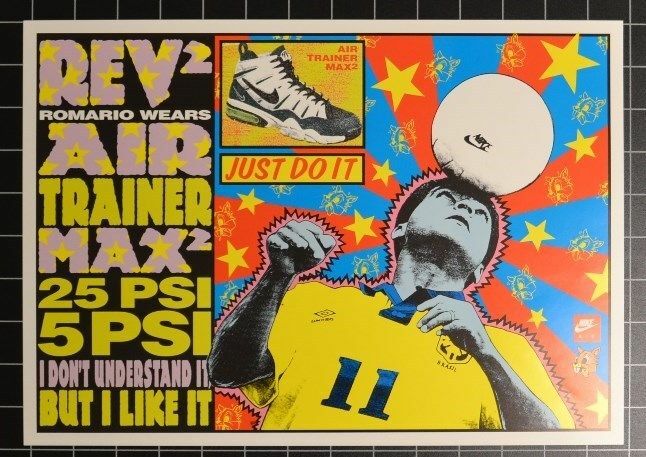 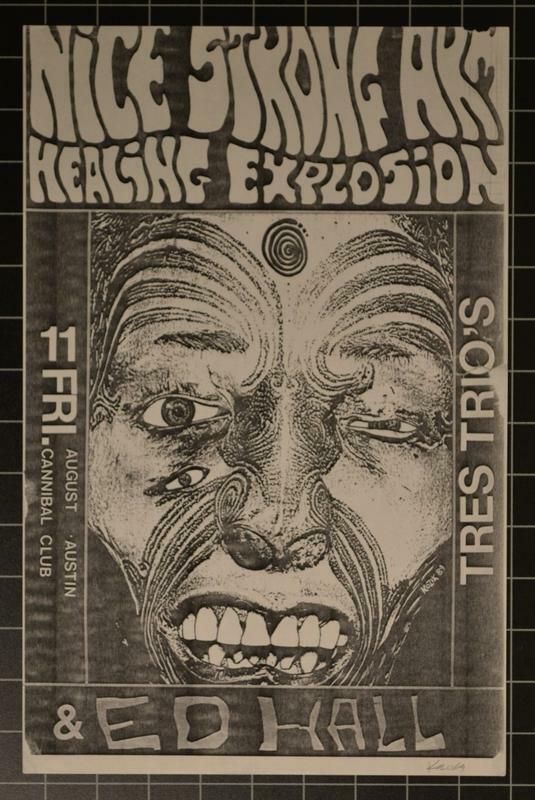 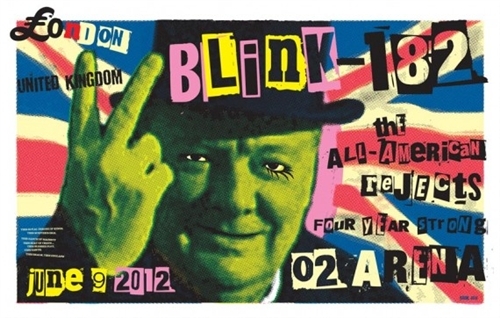 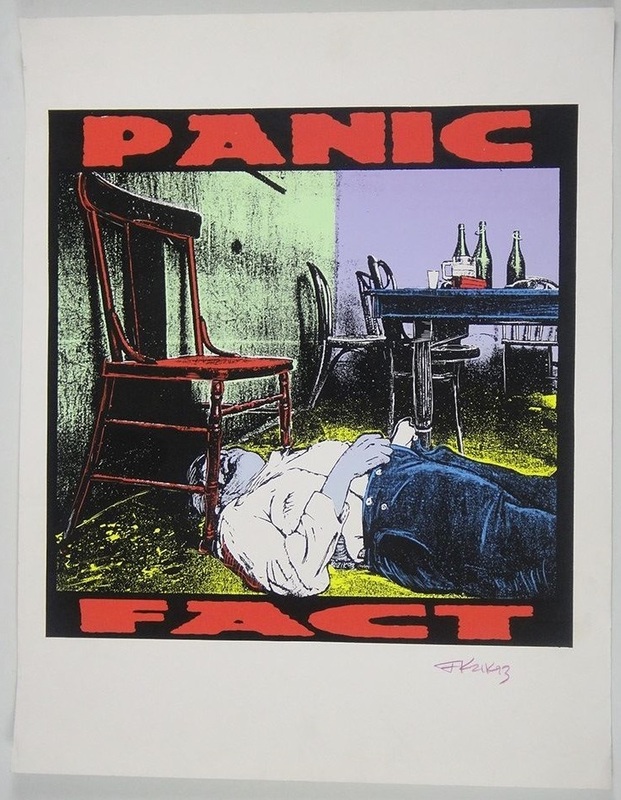 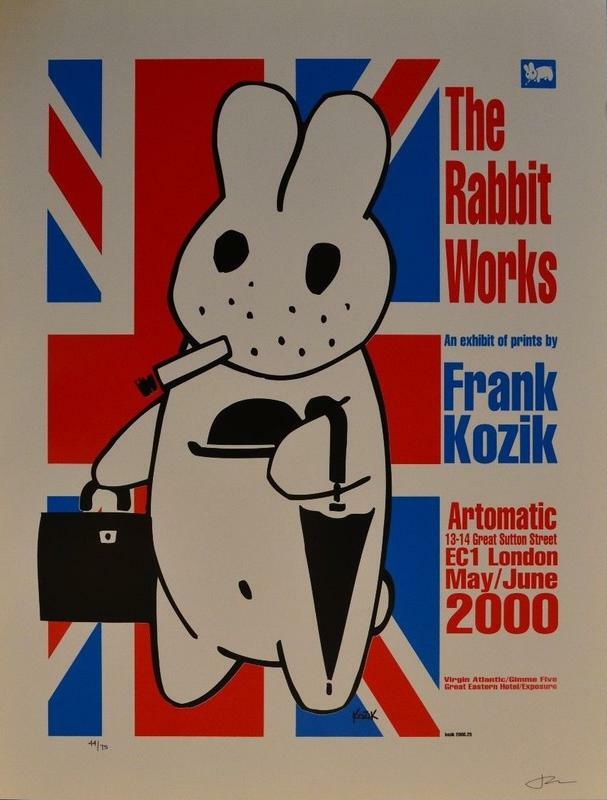 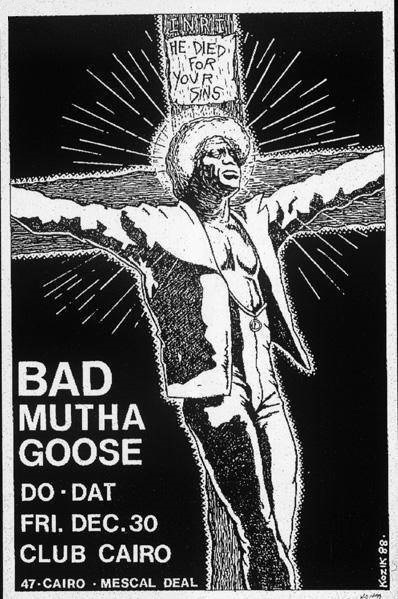 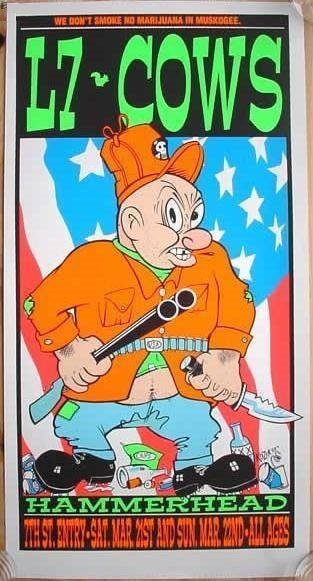 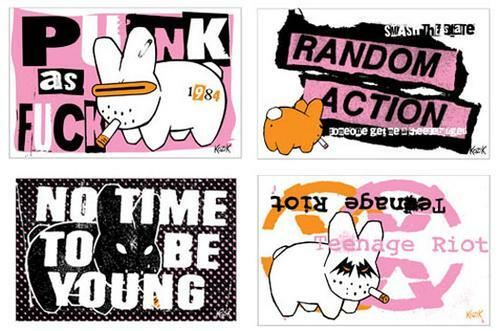 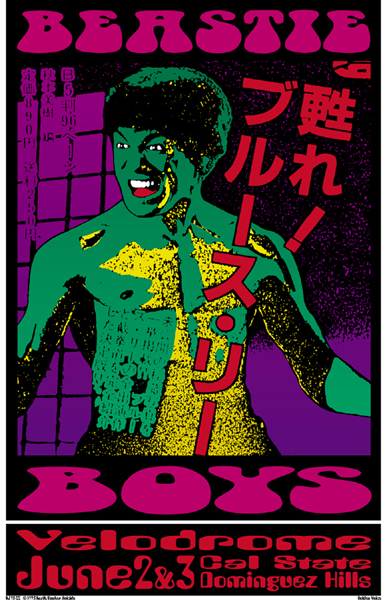 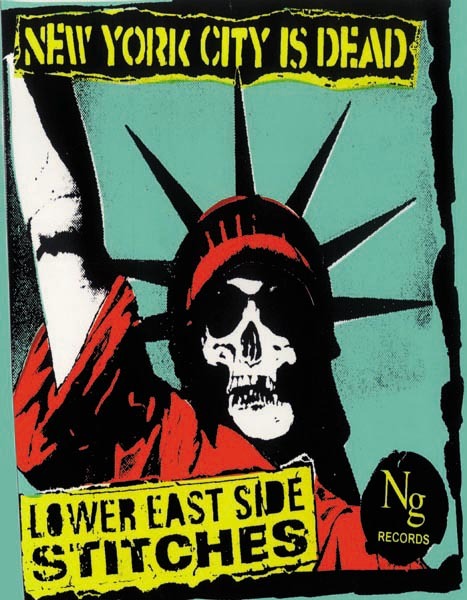 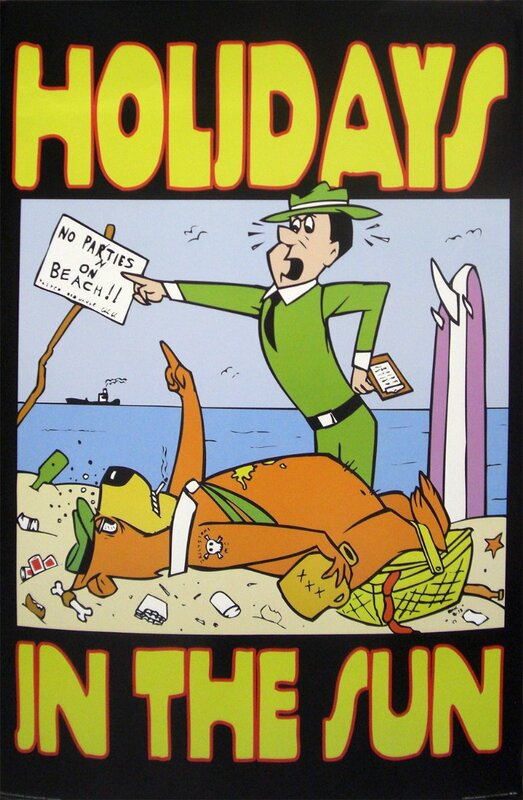 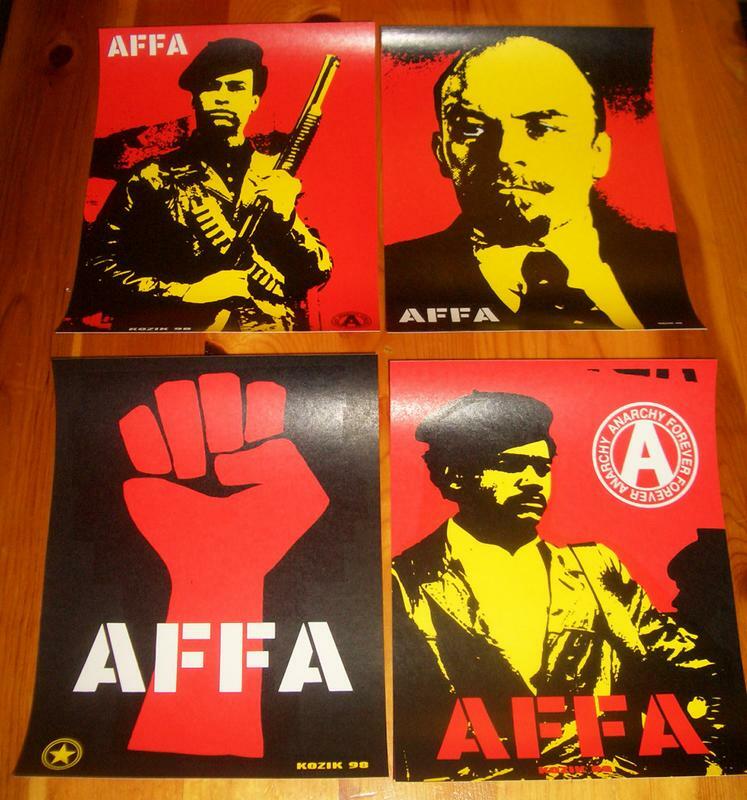 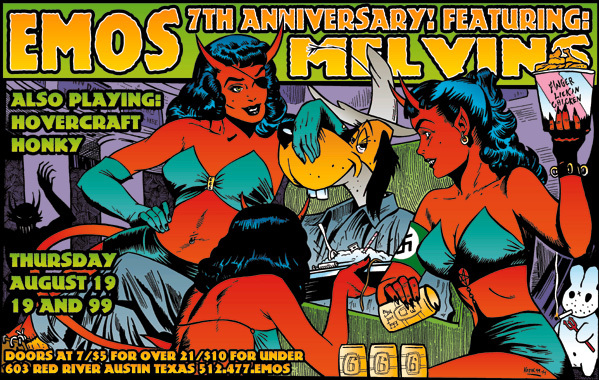 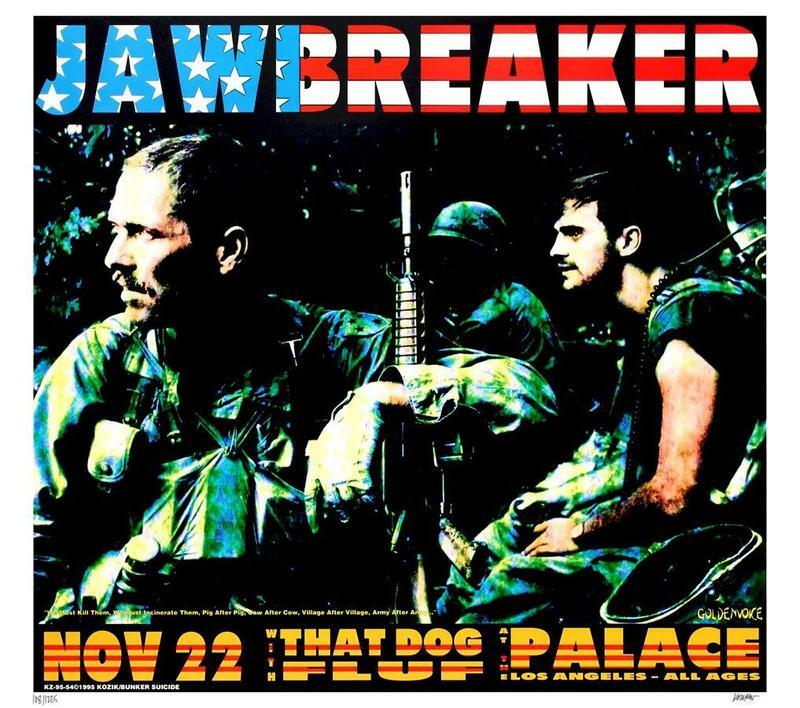 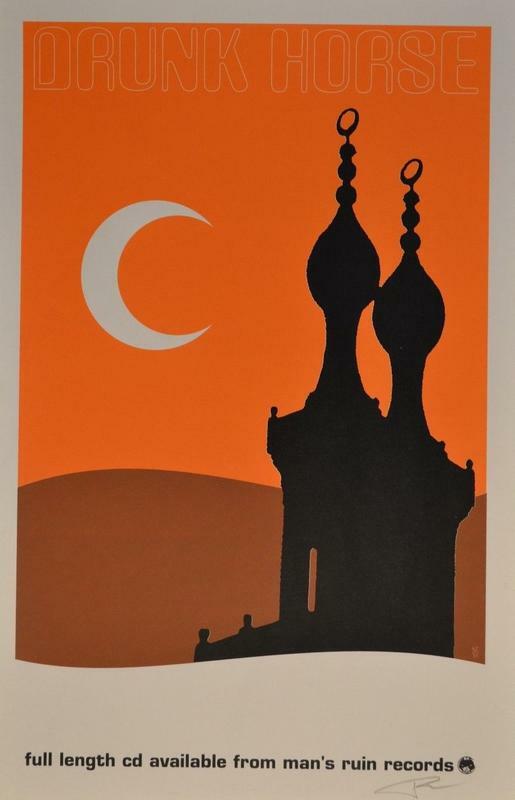 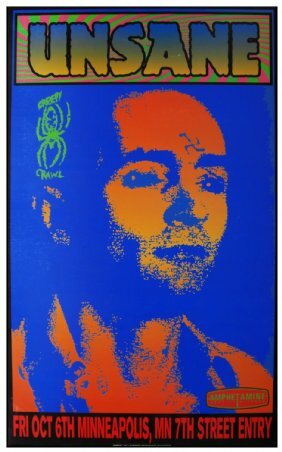 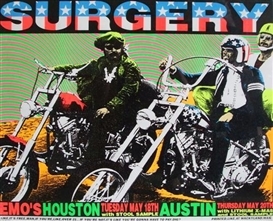 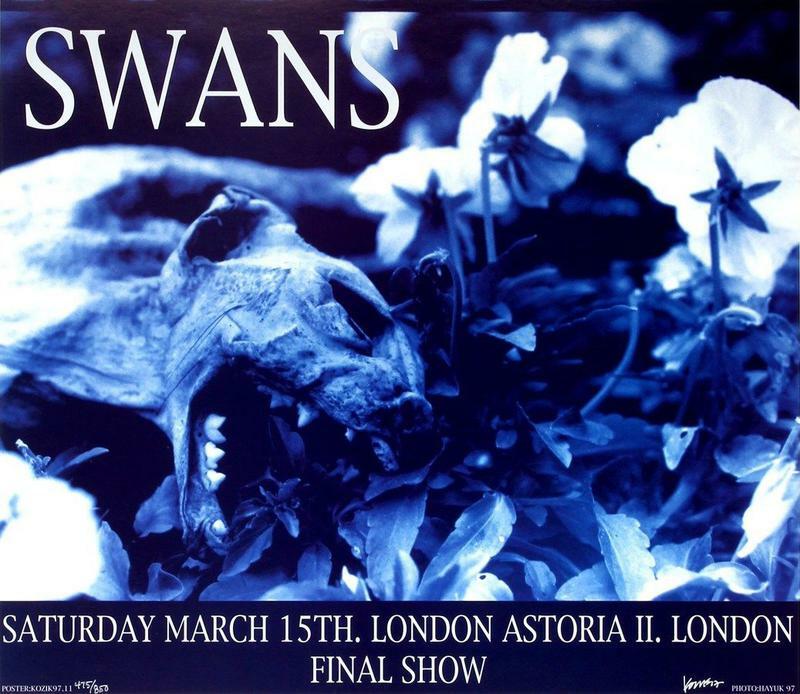 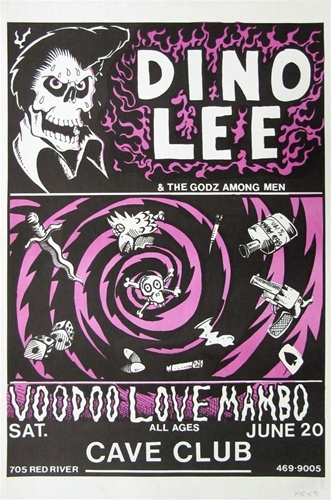 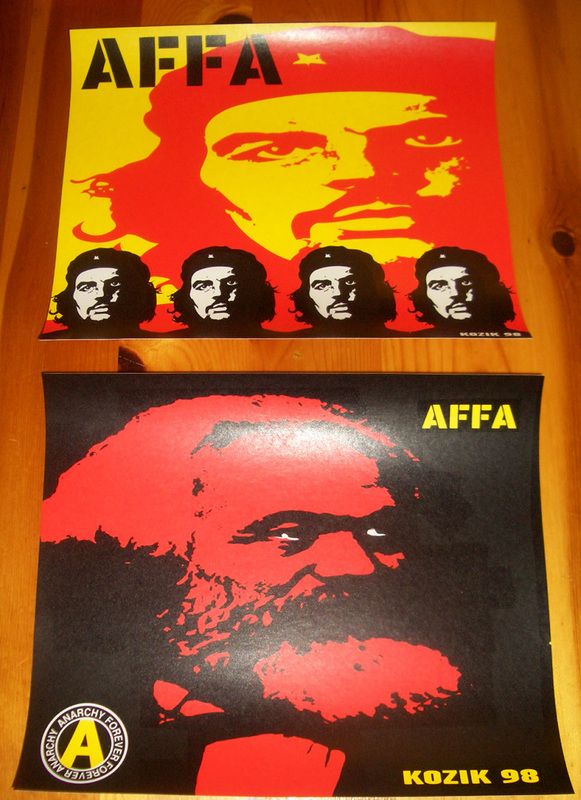 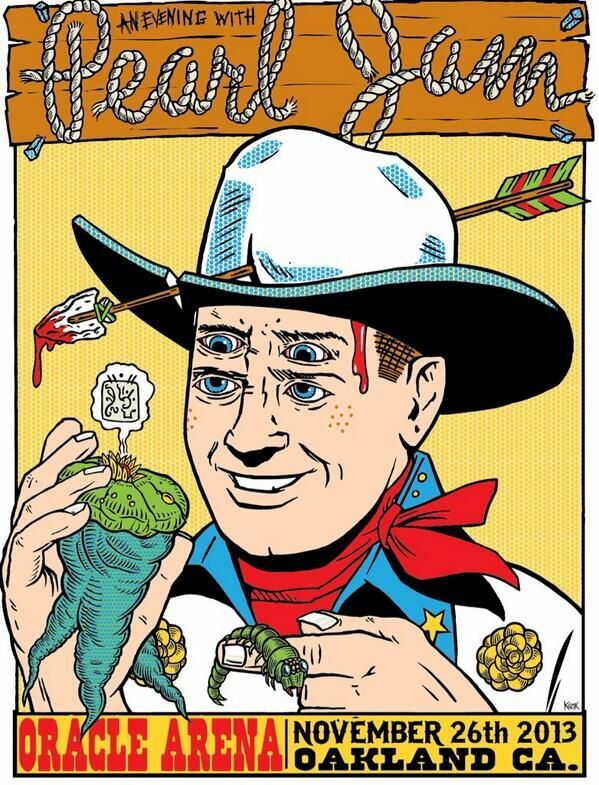 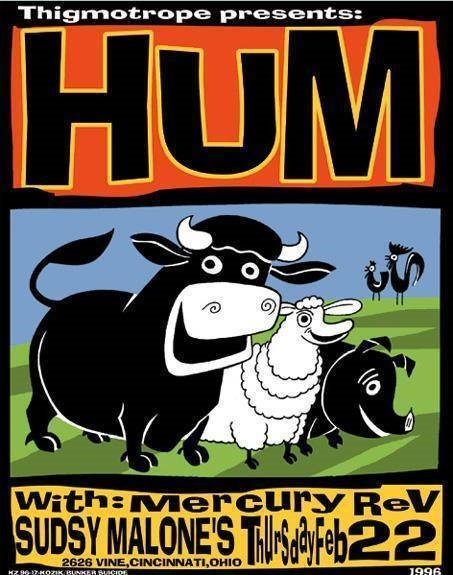 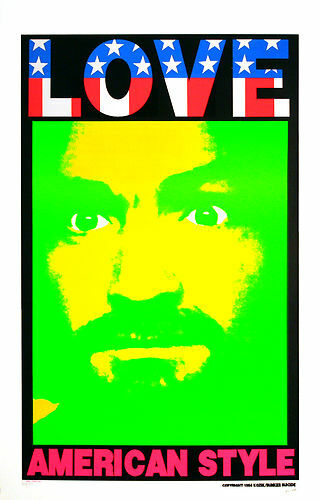 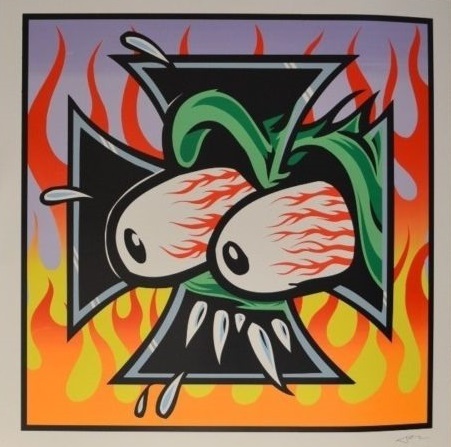 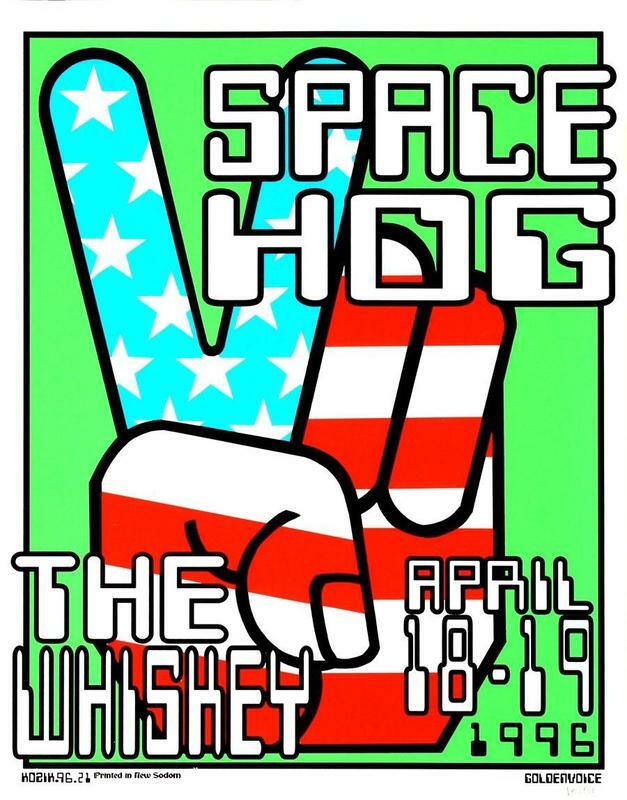 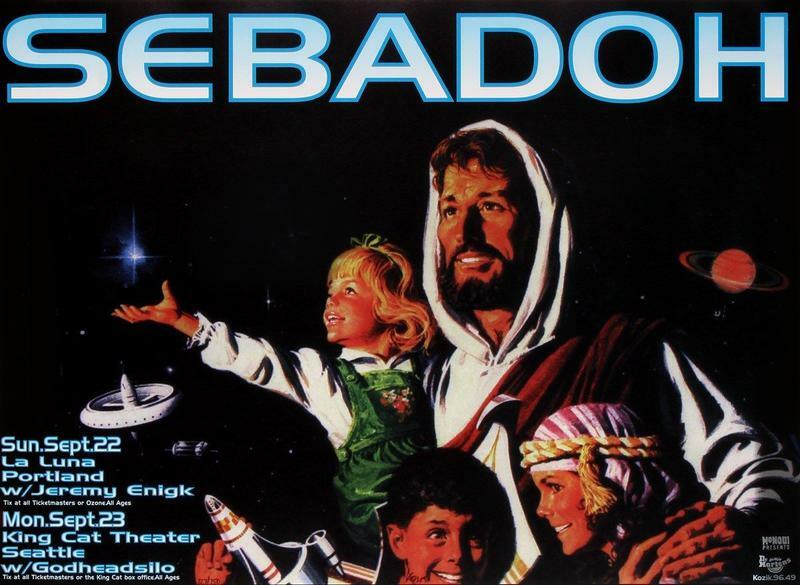 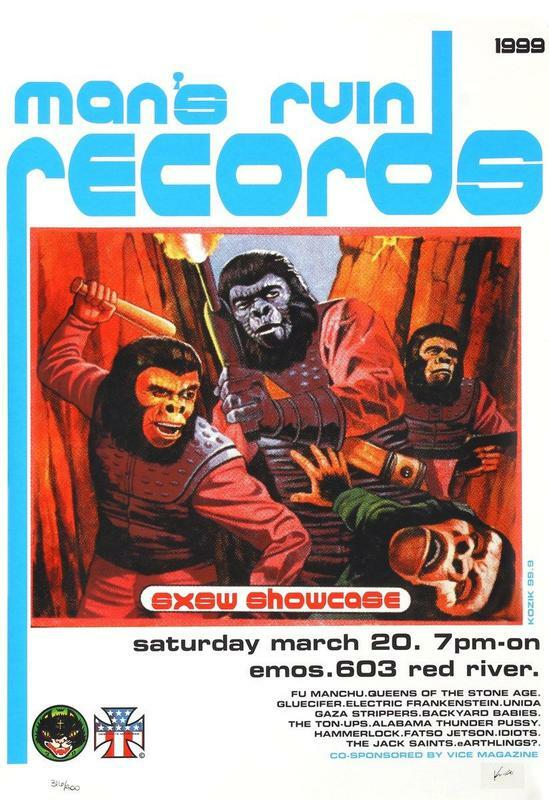 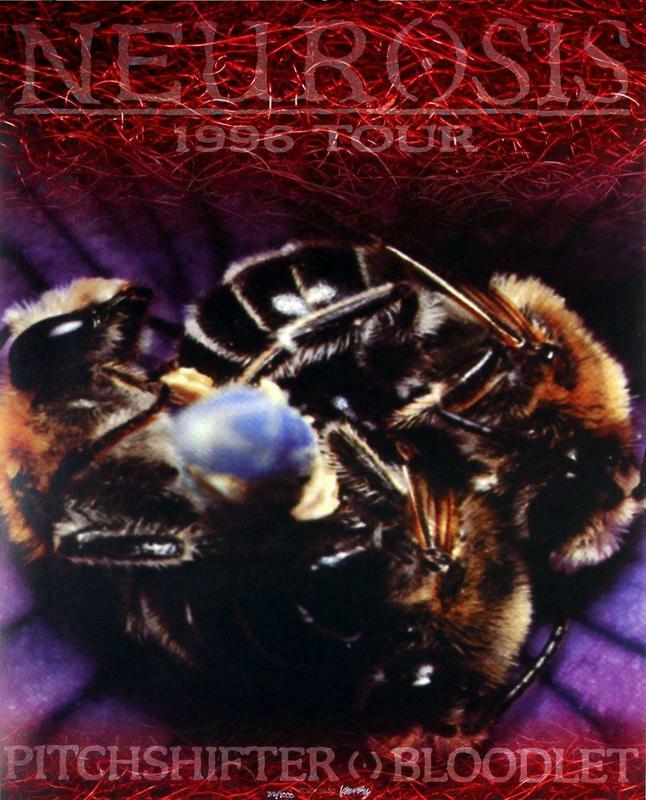 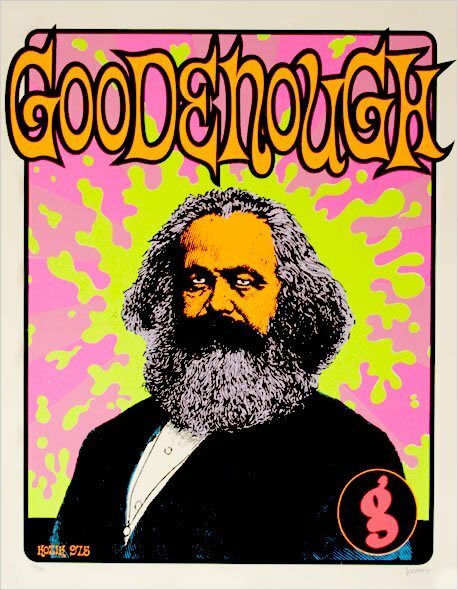 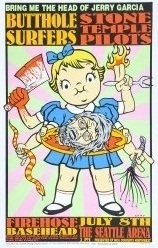 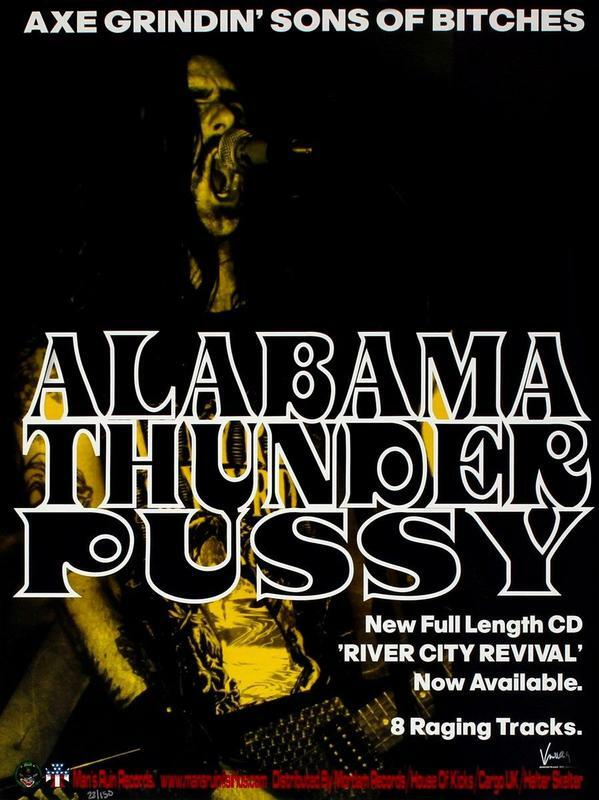 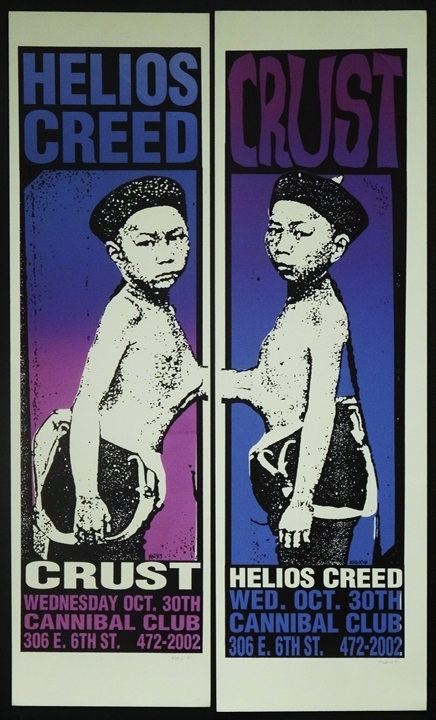 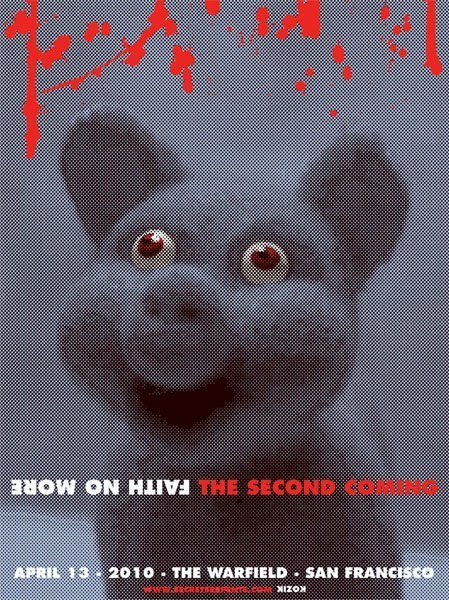 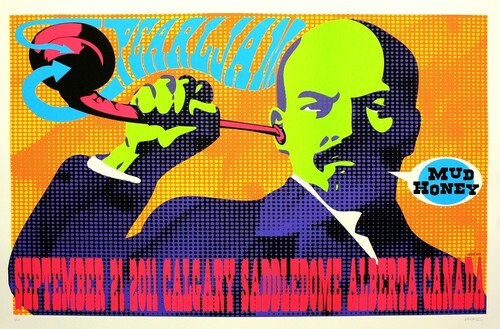 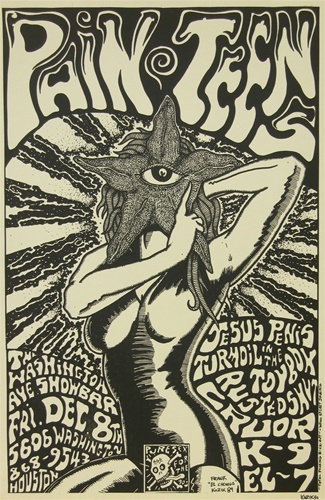 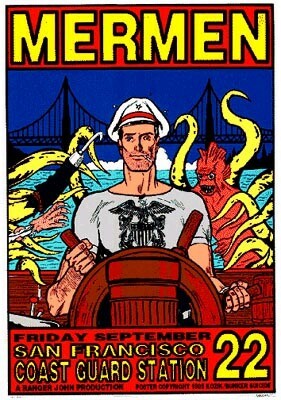 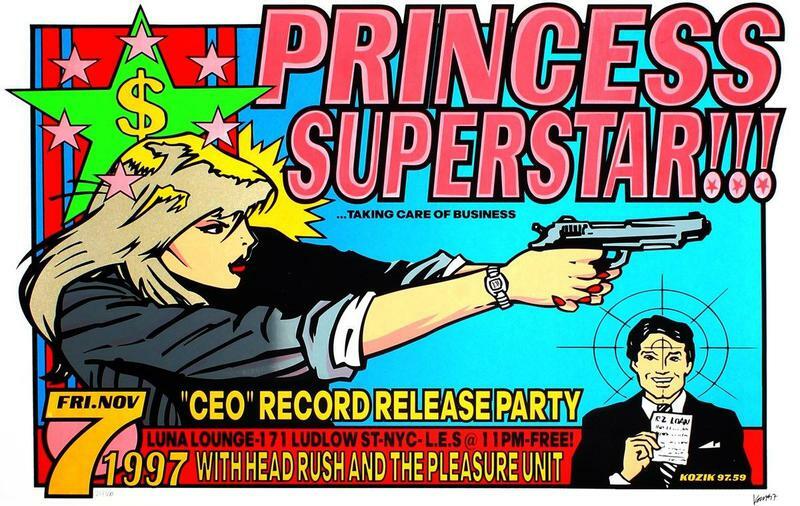 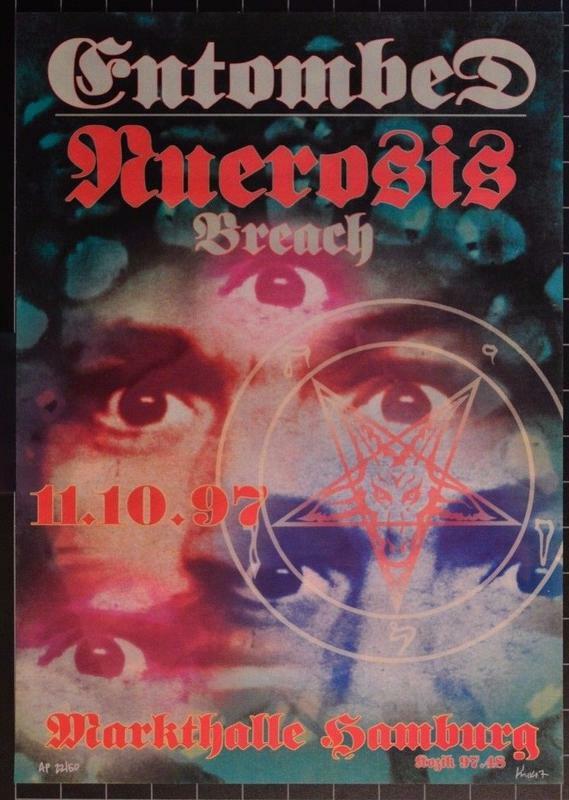 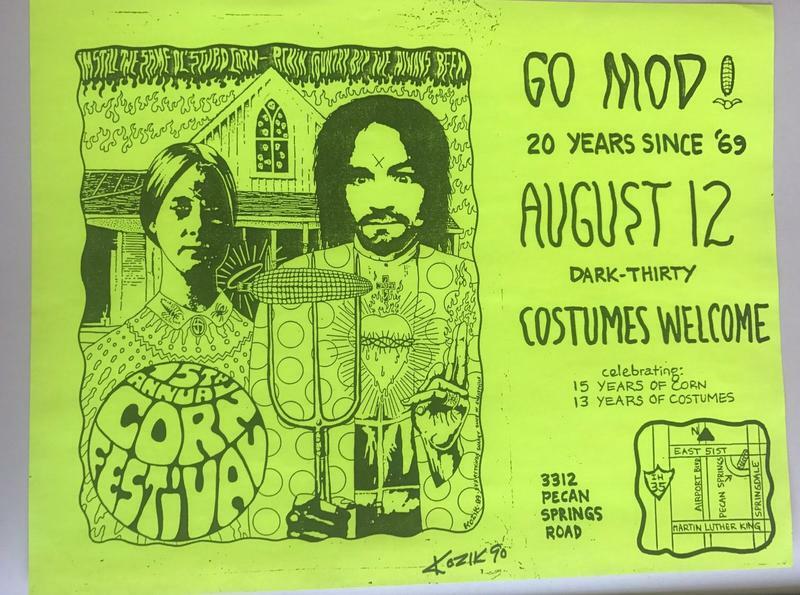 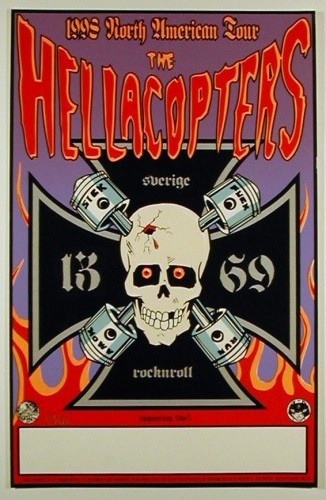 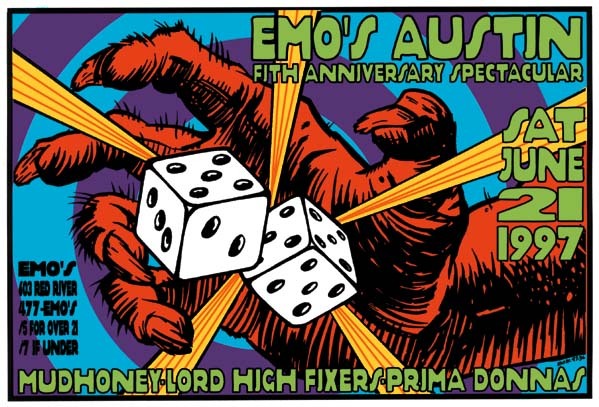 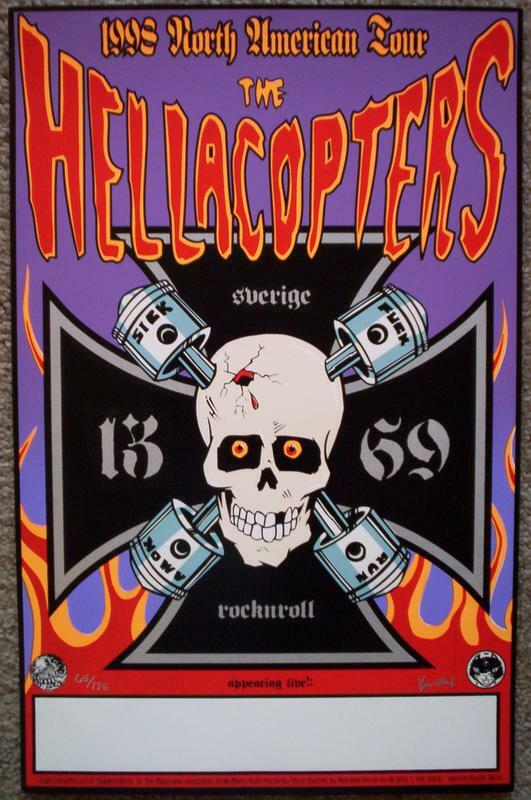 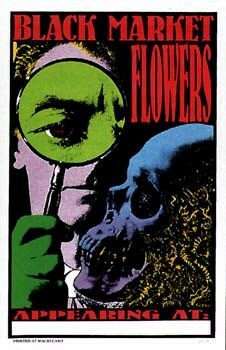 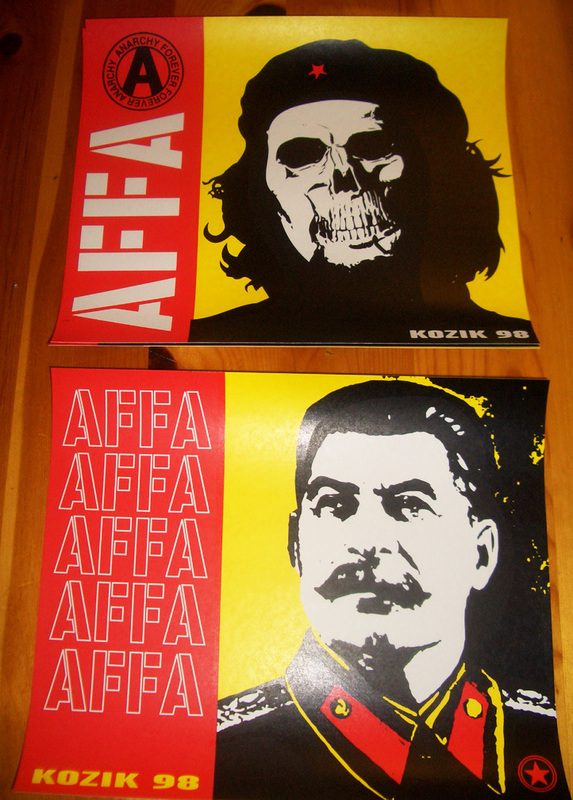 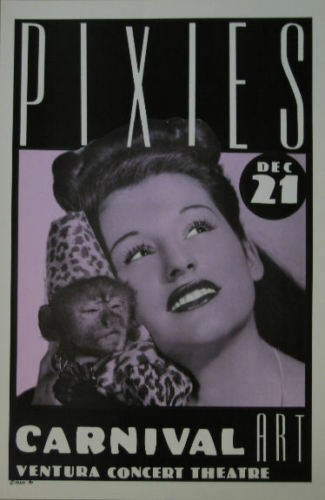 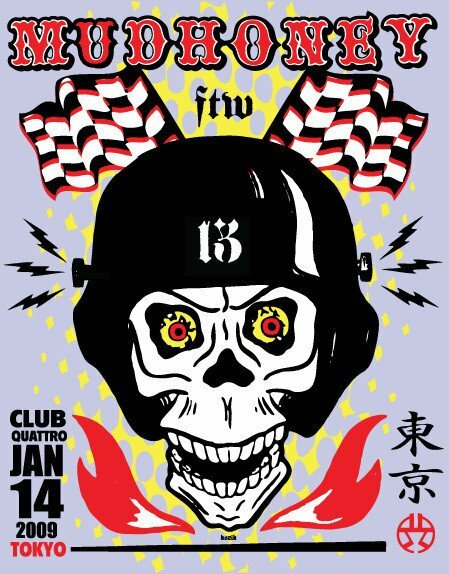 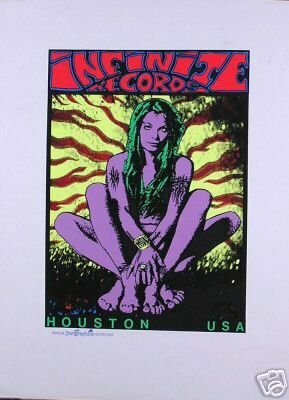 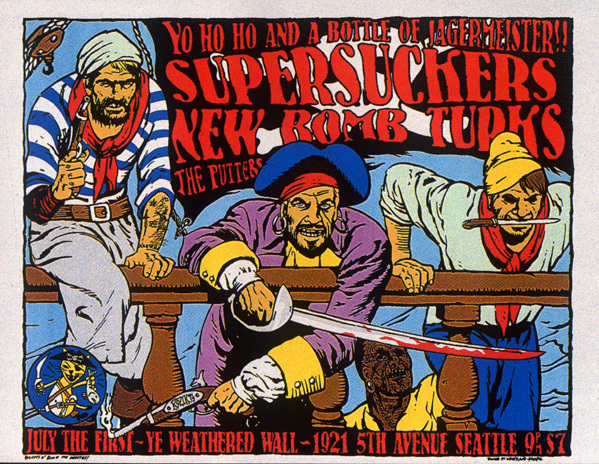 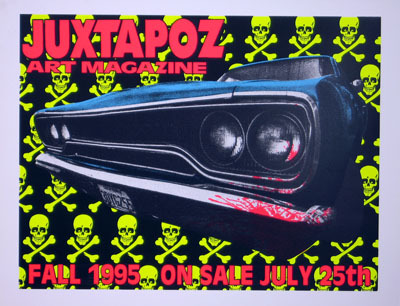 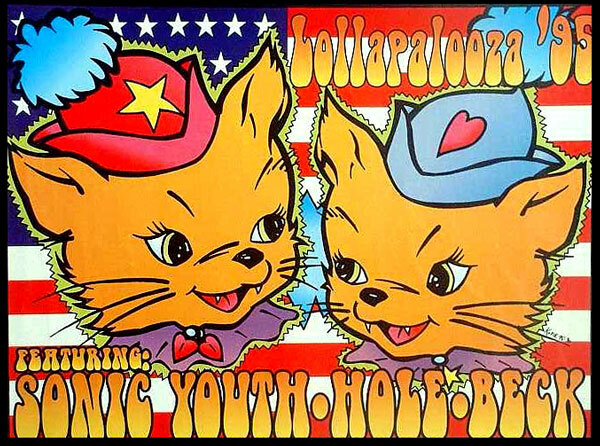 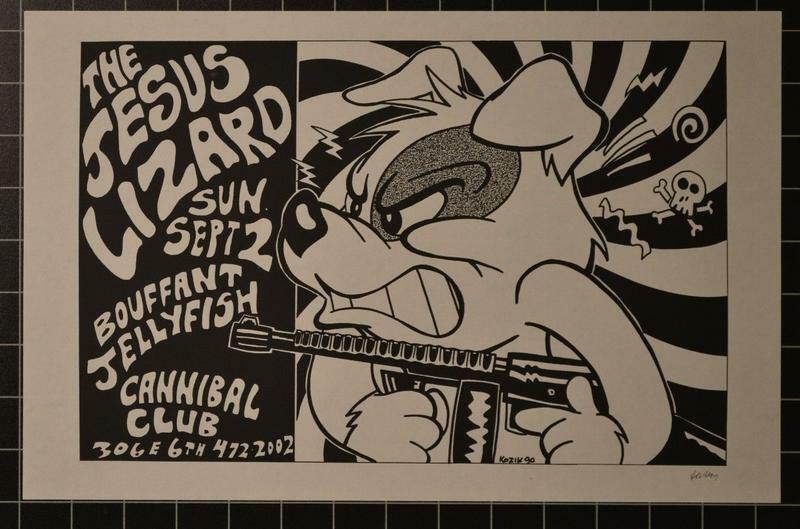 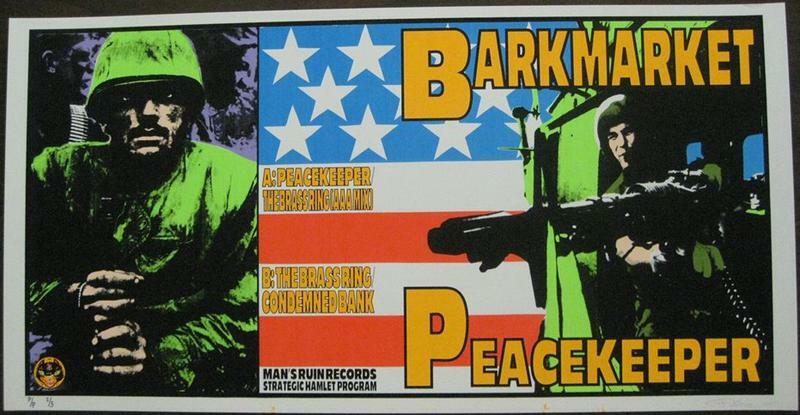 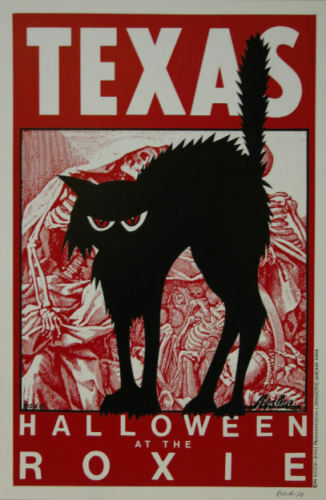 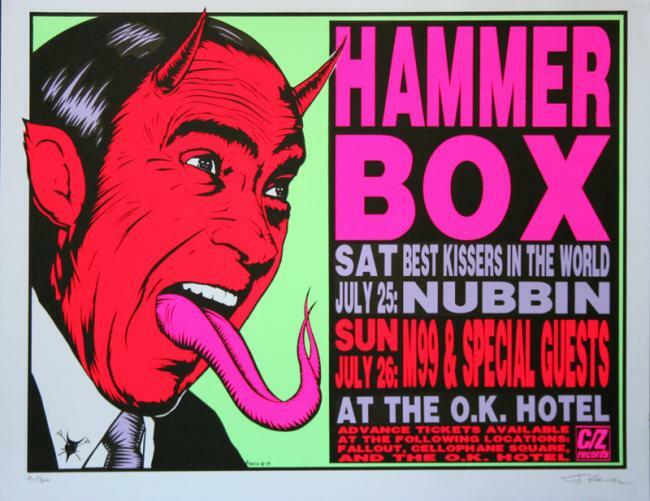 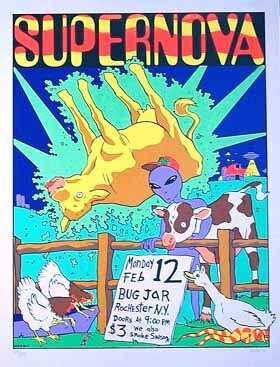 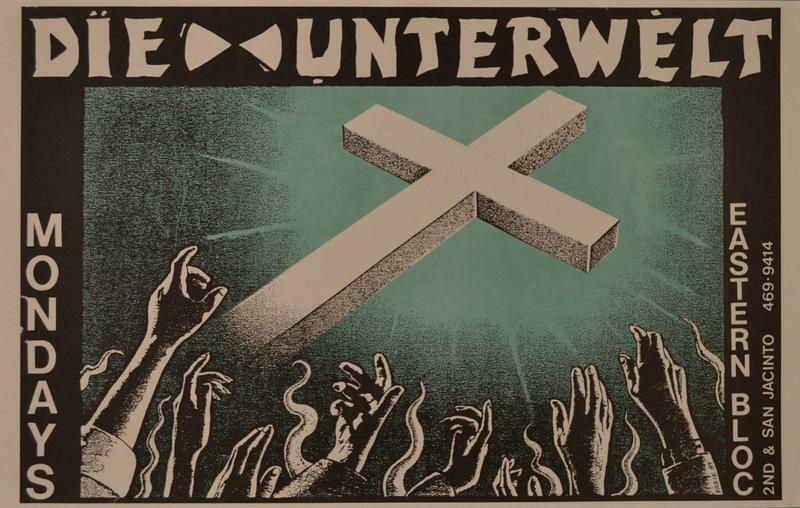 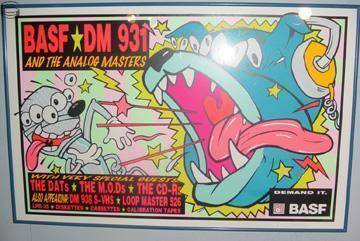 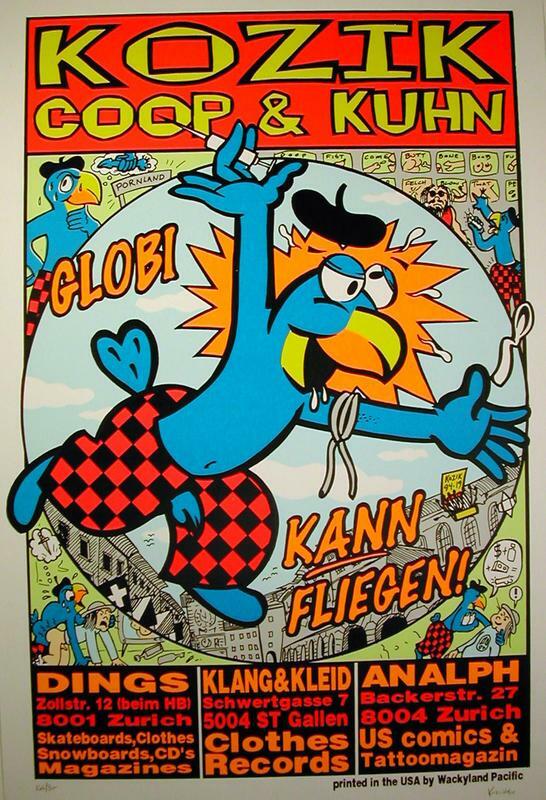 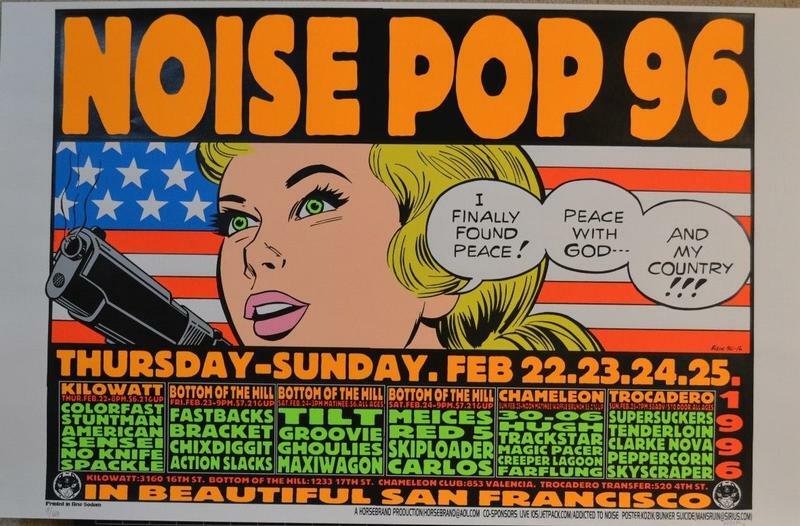 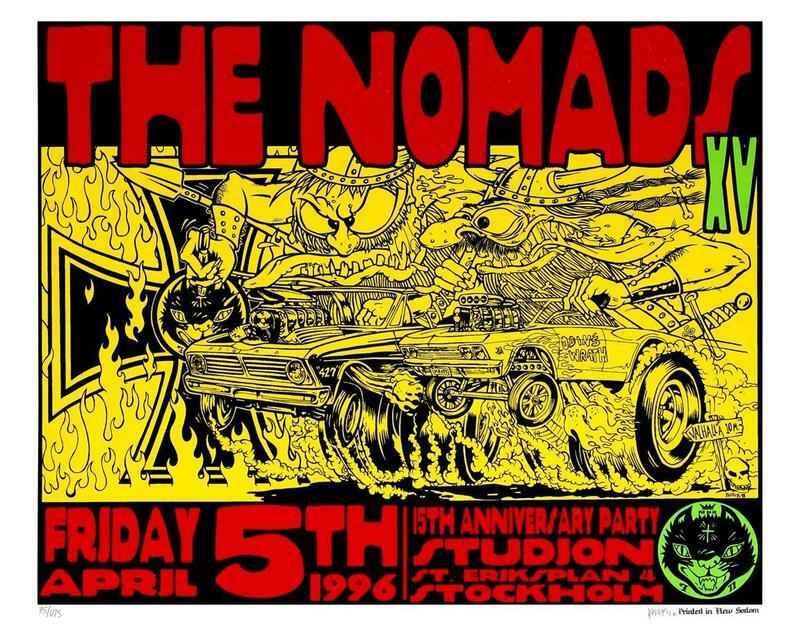 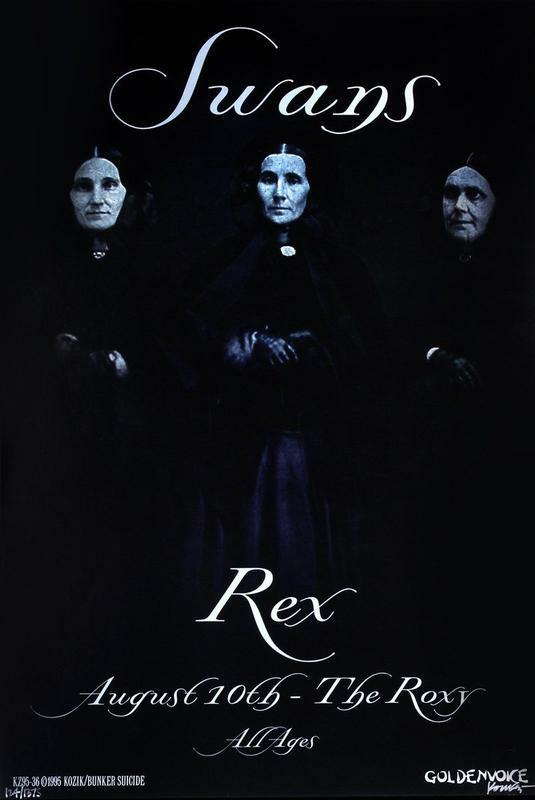 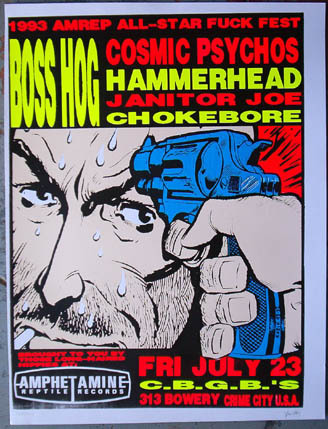 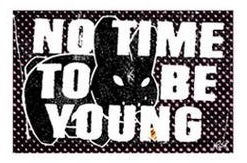 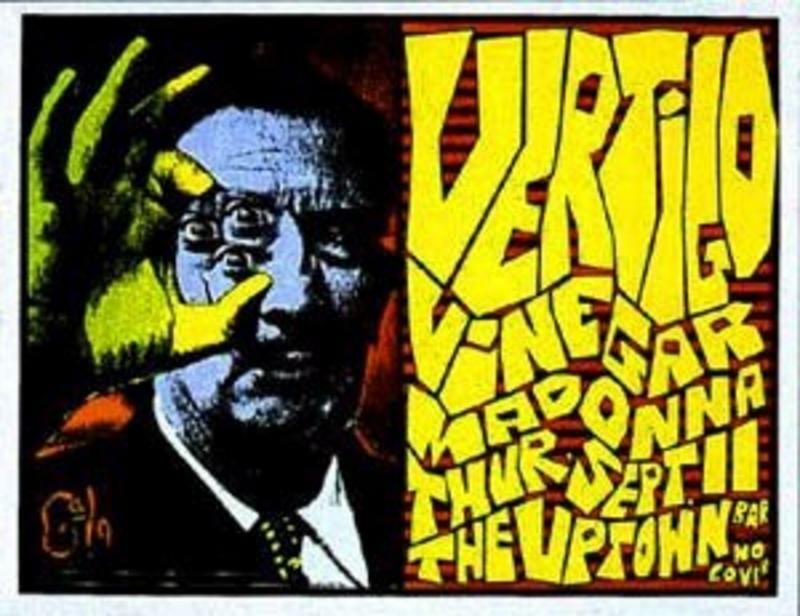 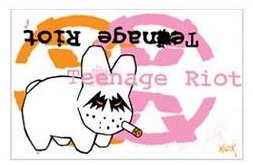 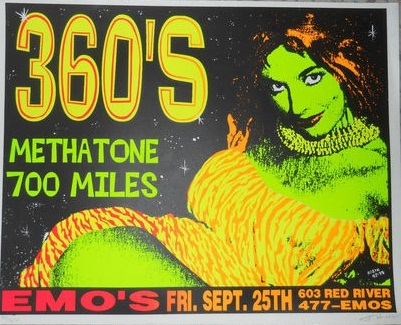 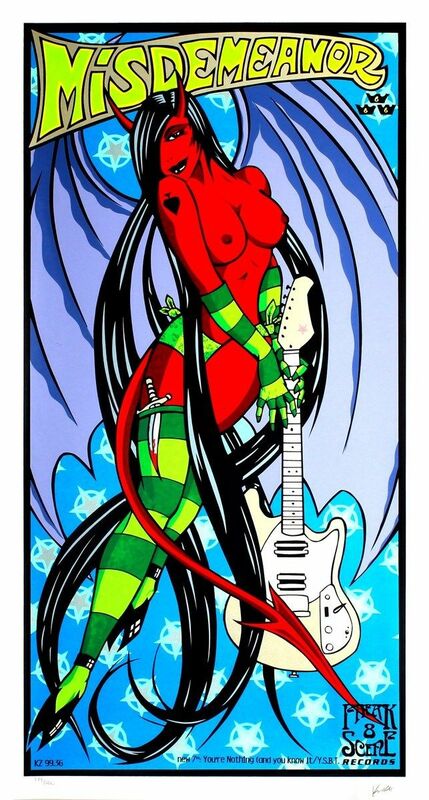 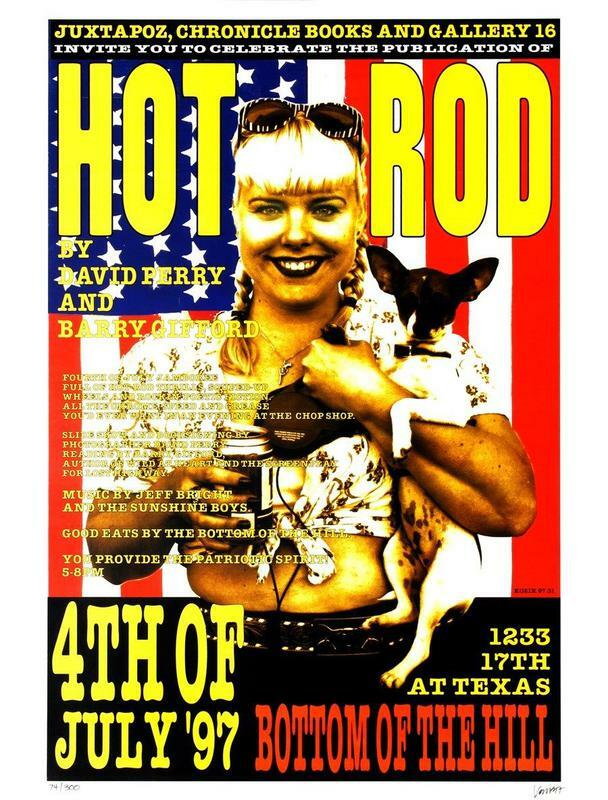 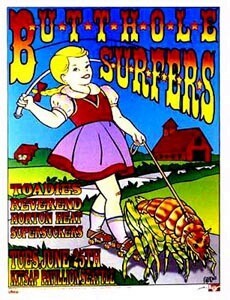 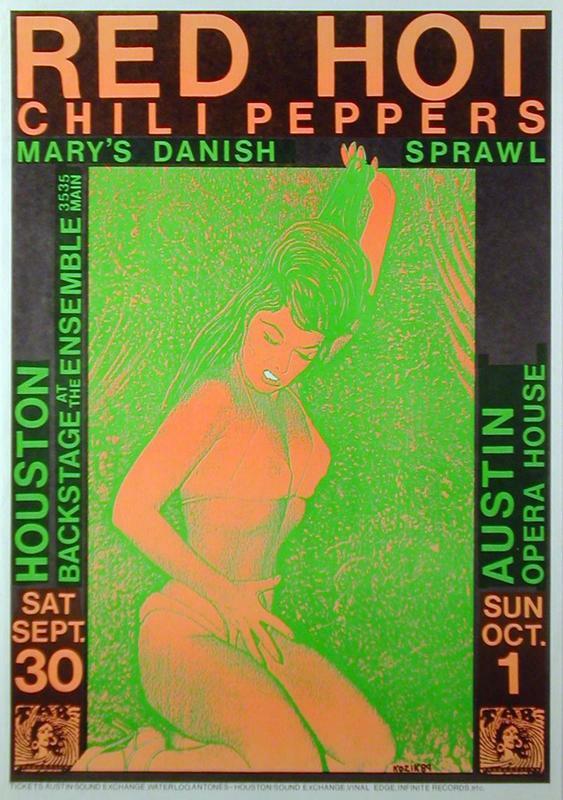 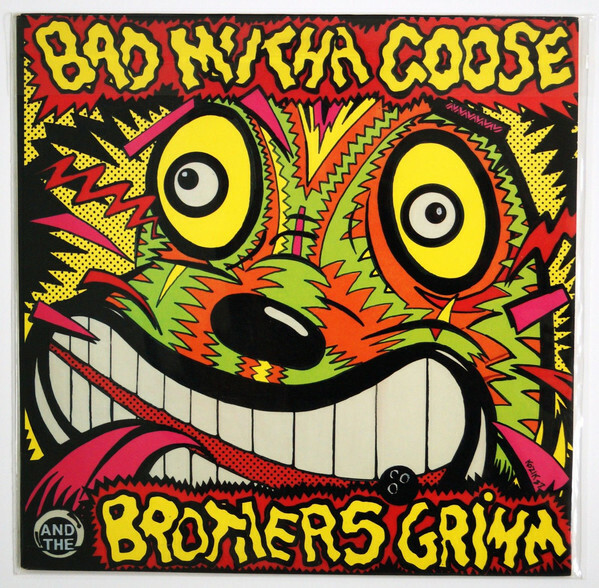 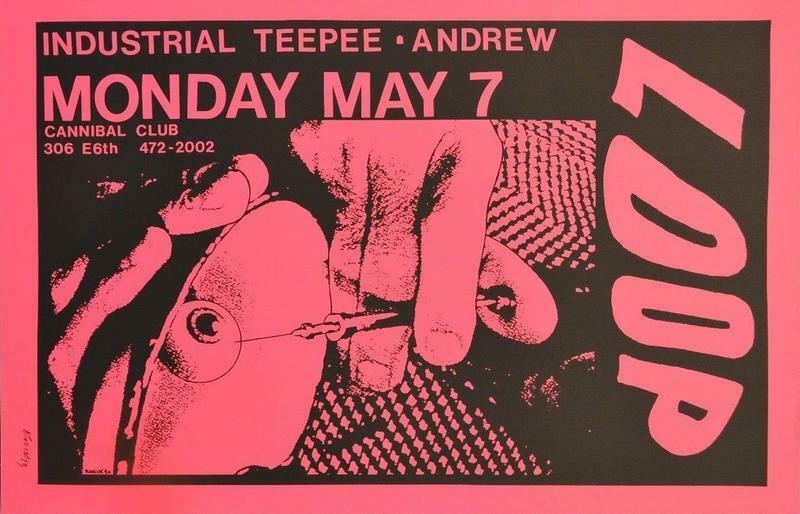 The renaissance of using color, ultimately silkscreen inks, and creative abandon for concert posters began in the late 1980’s in Austin, Texas through the work of Frank Kozik. 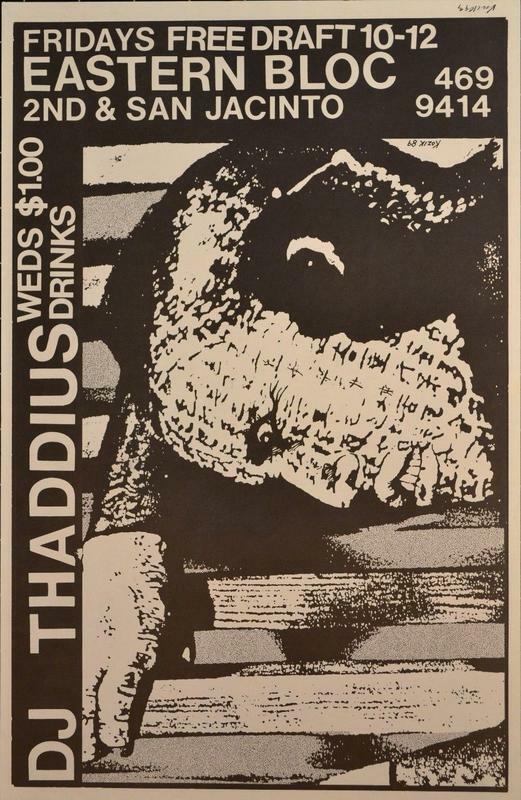 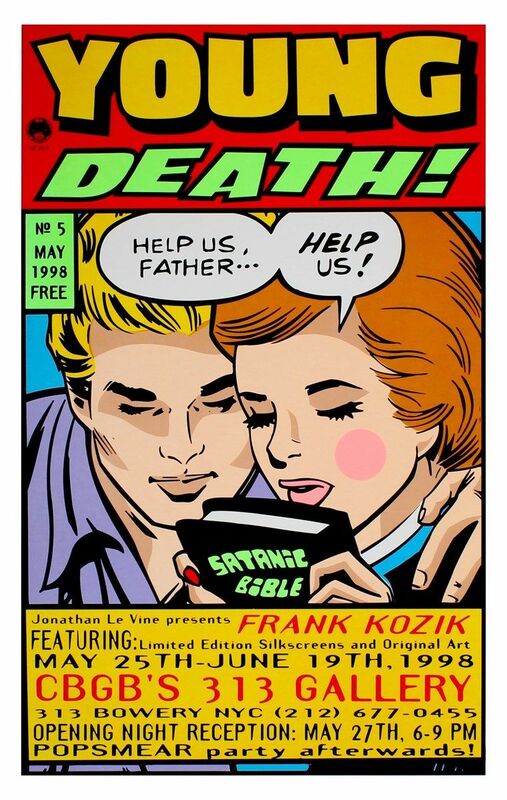 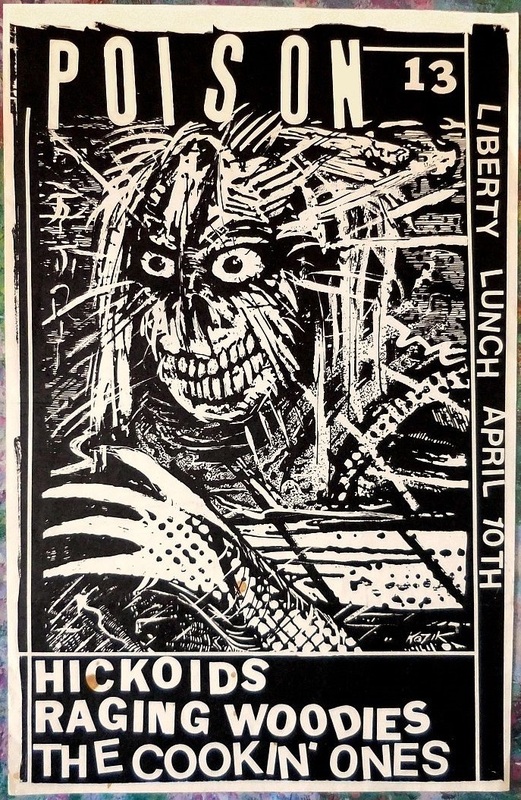 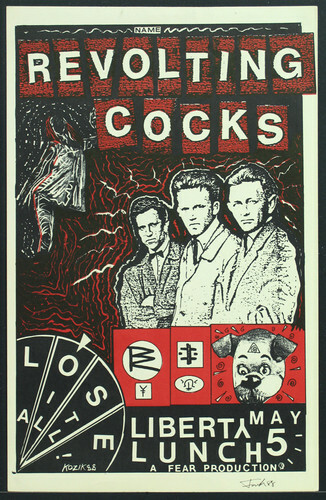 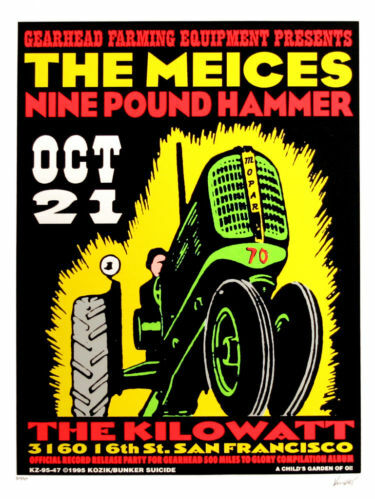 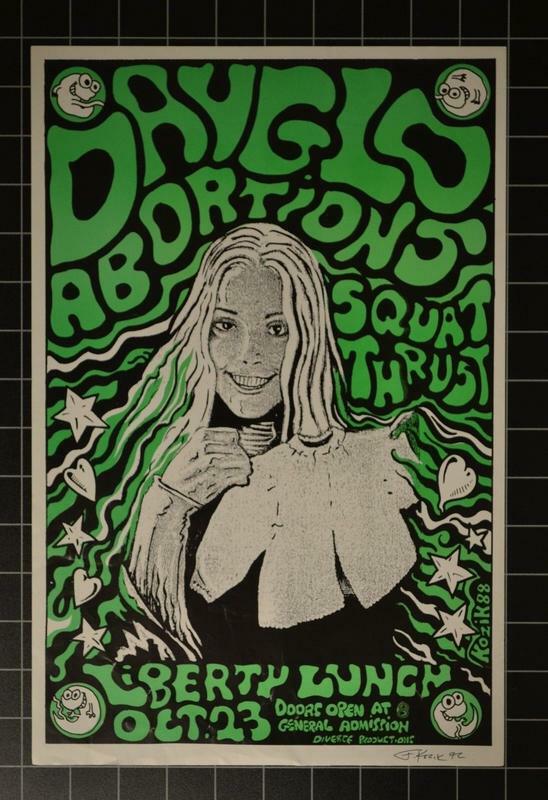 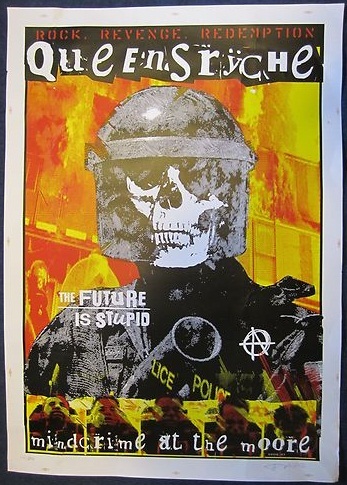 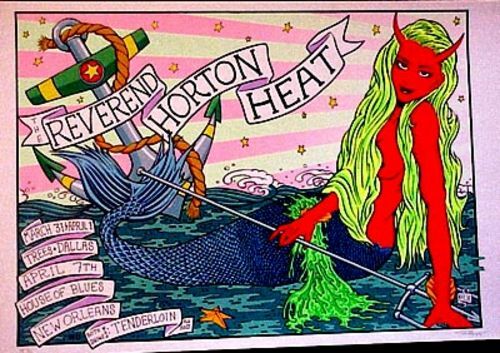 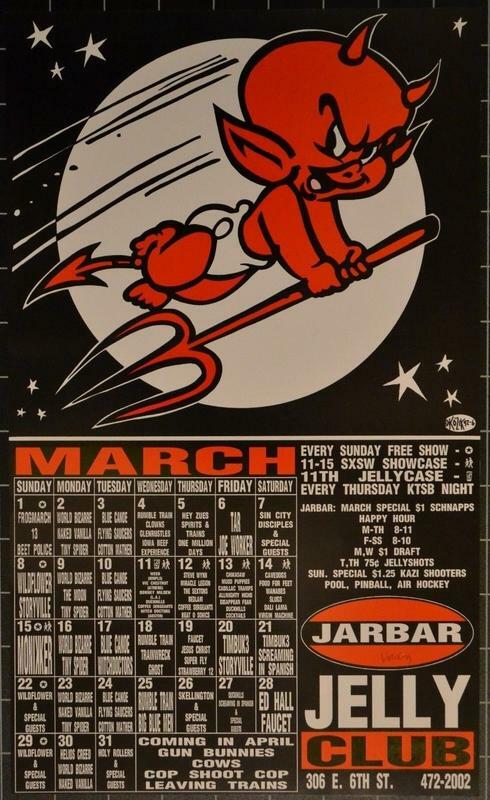 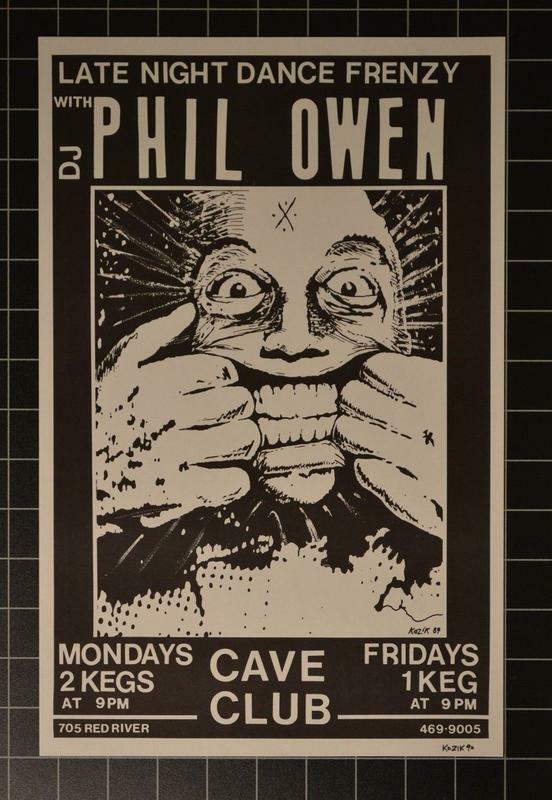 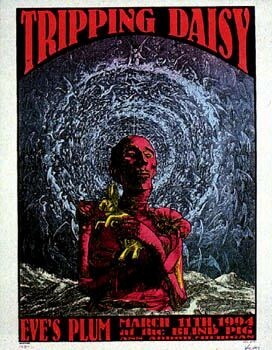 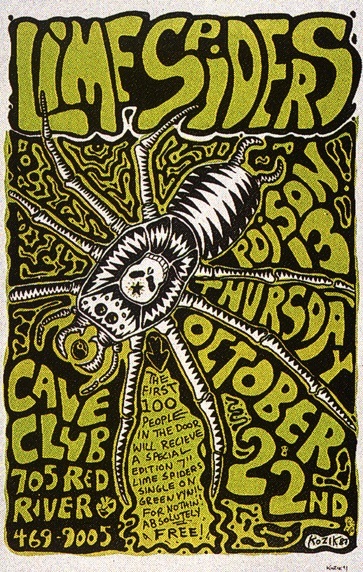 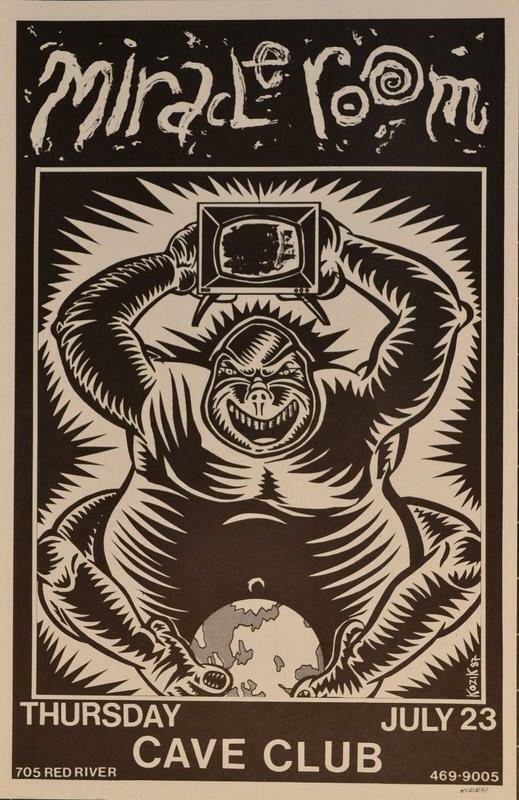 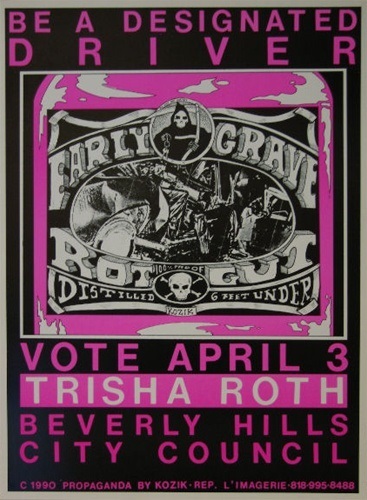 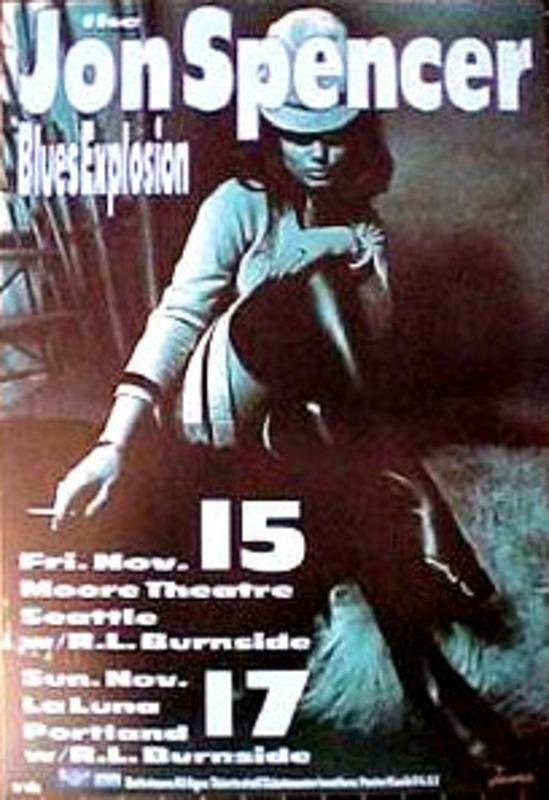 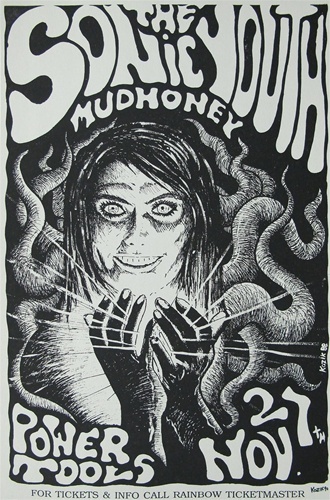 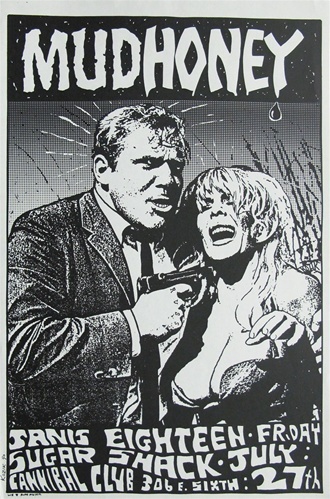 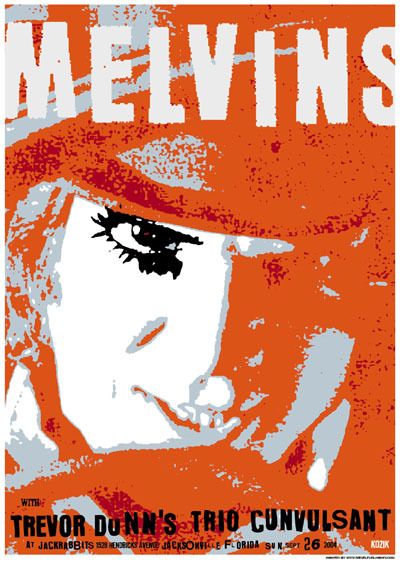 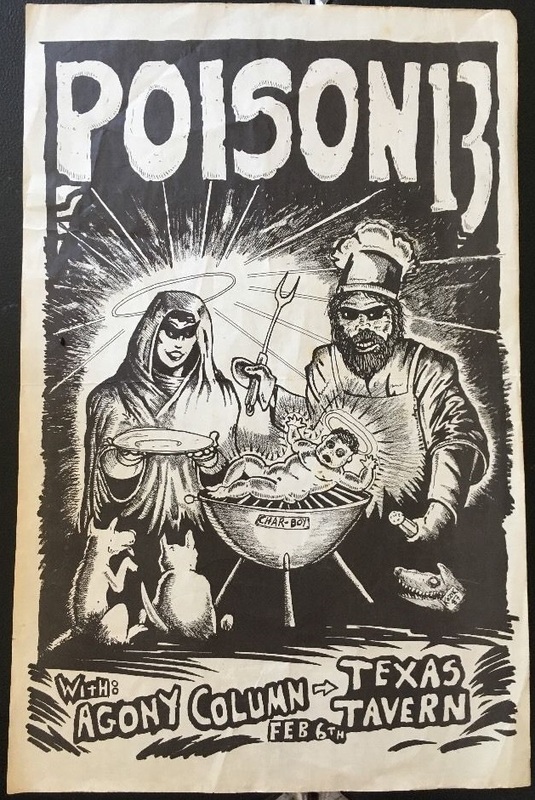 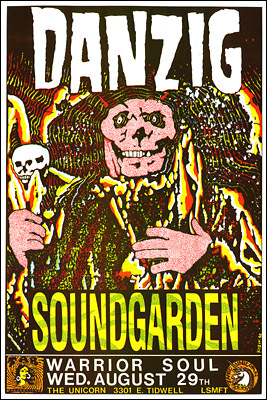 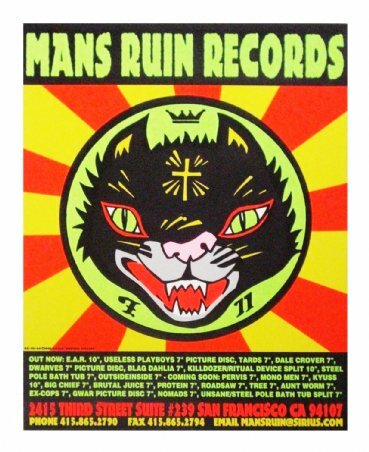 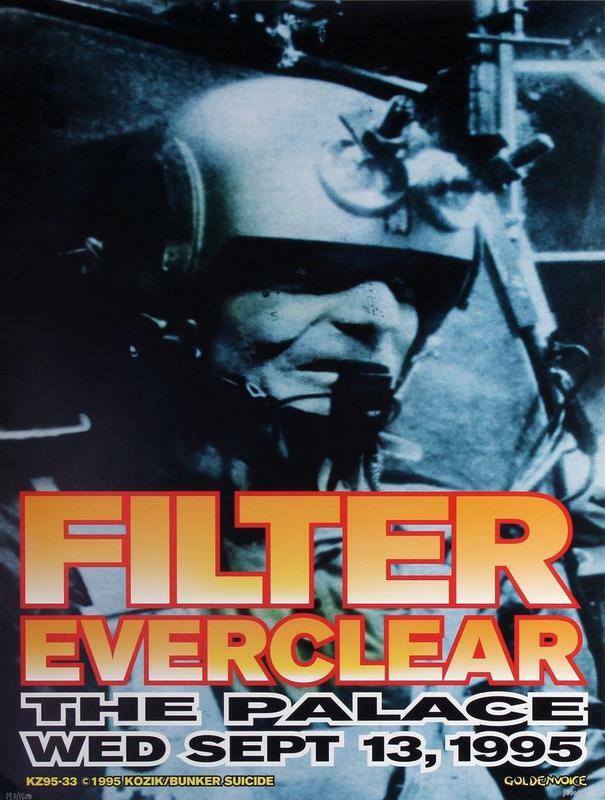 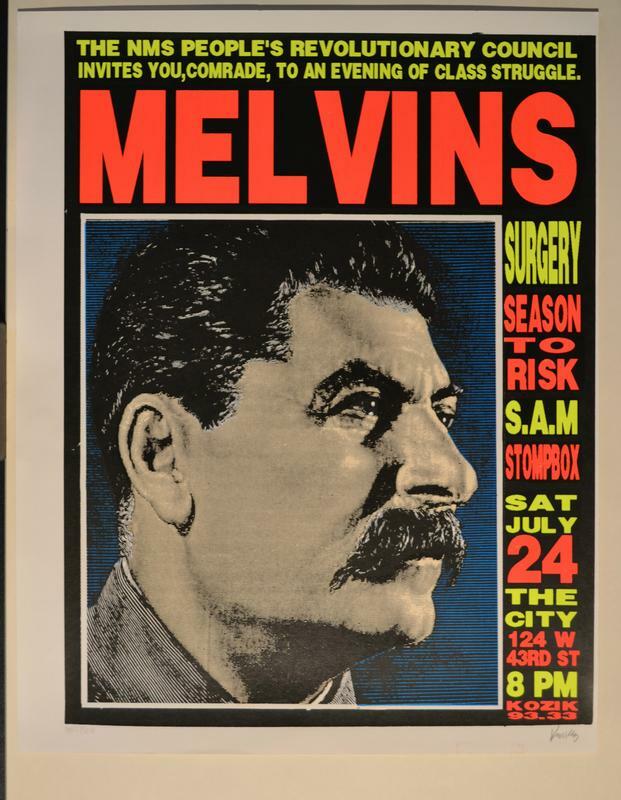 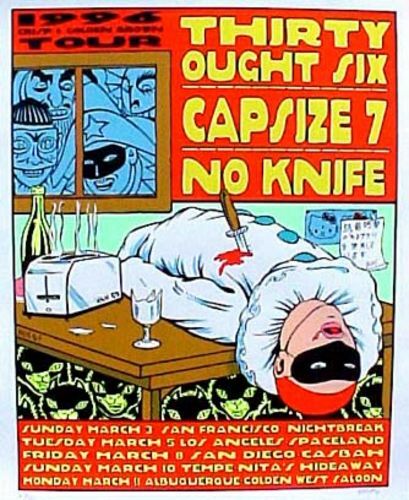 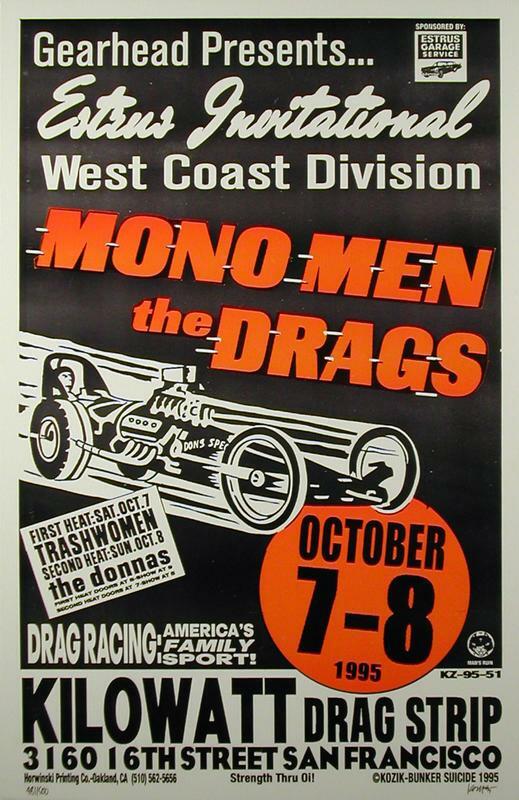 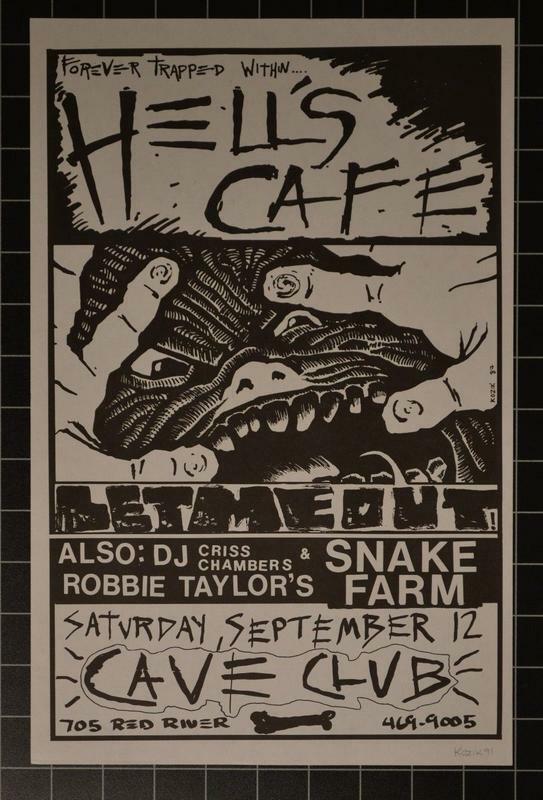 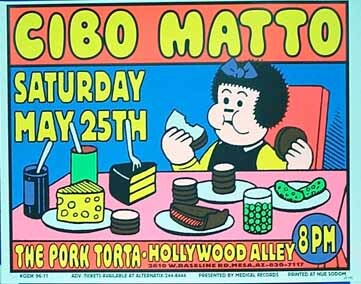 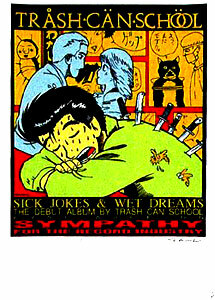 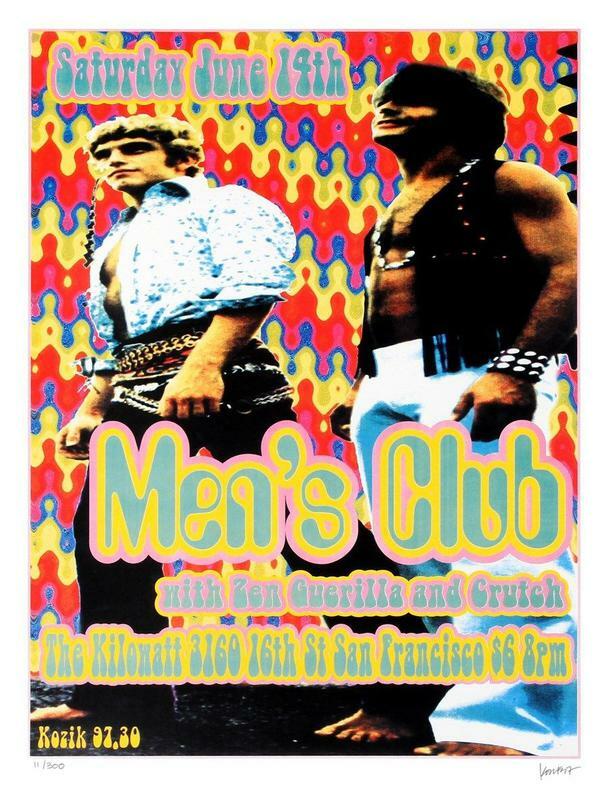 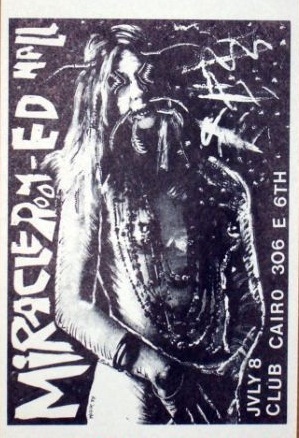 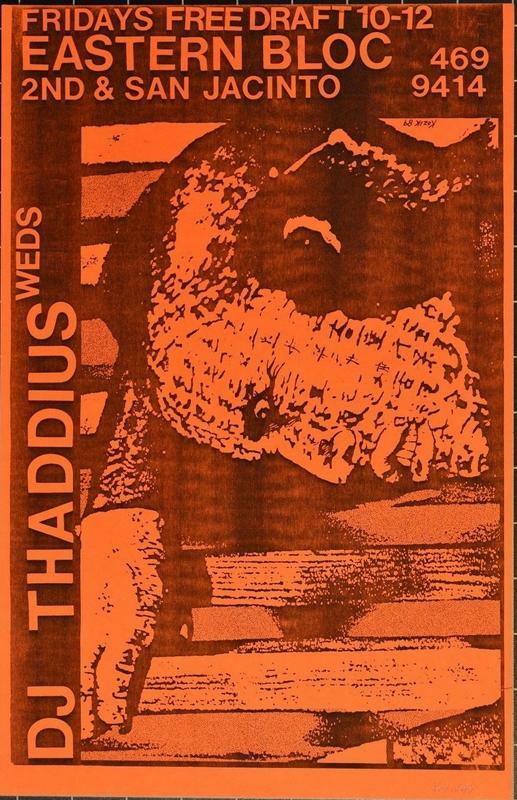 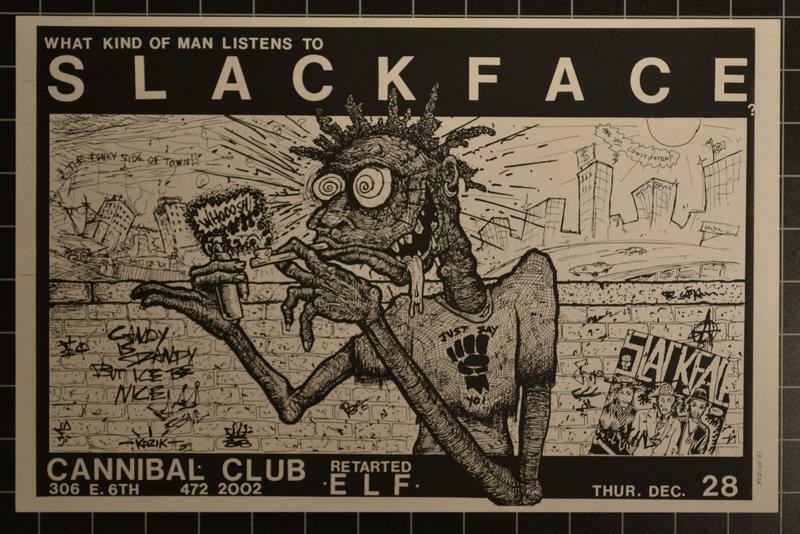 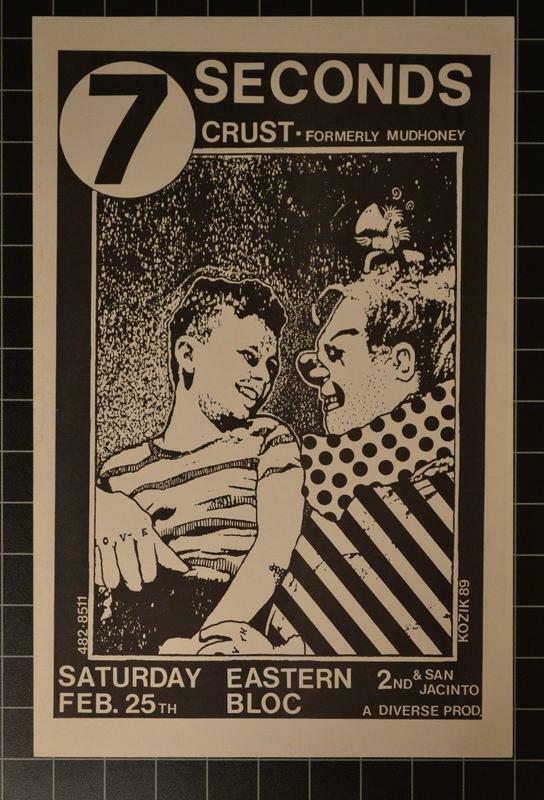 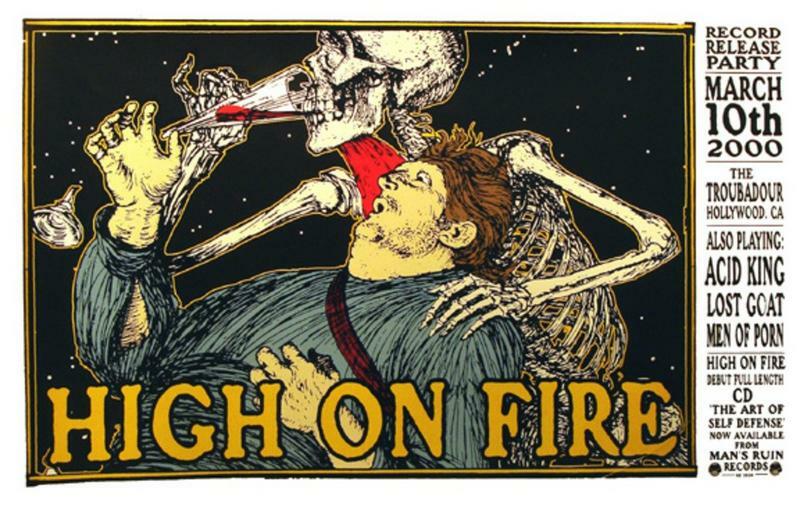 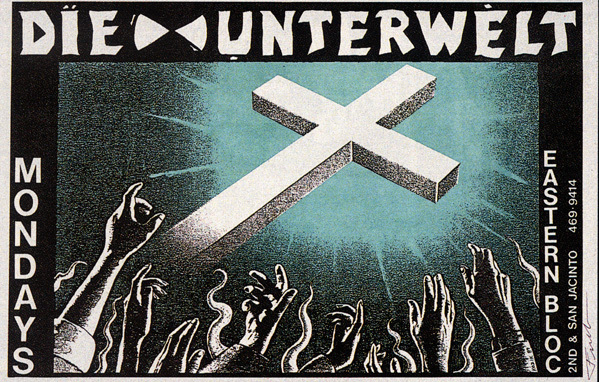 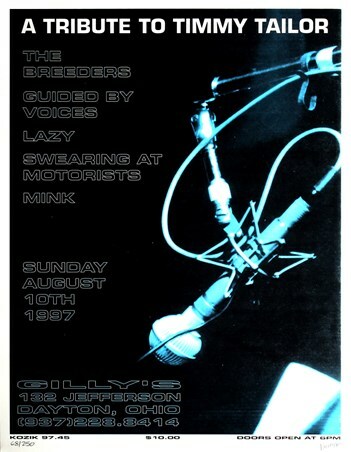 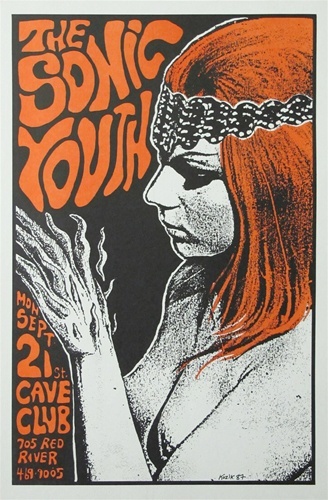 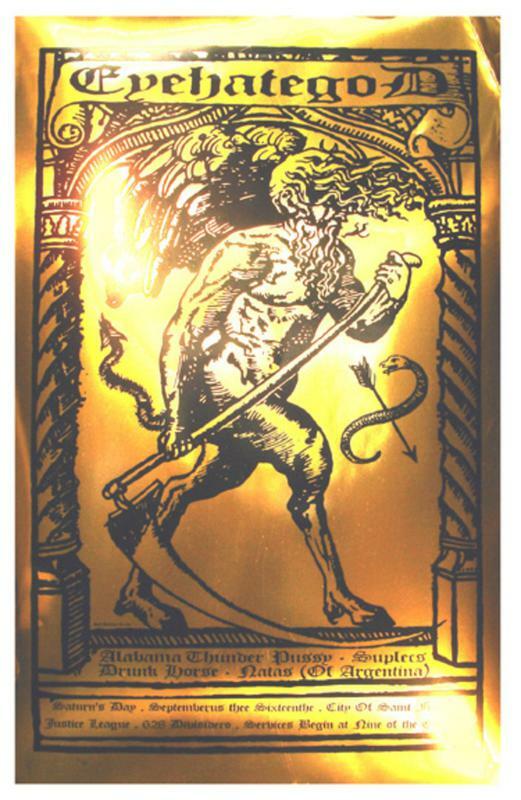 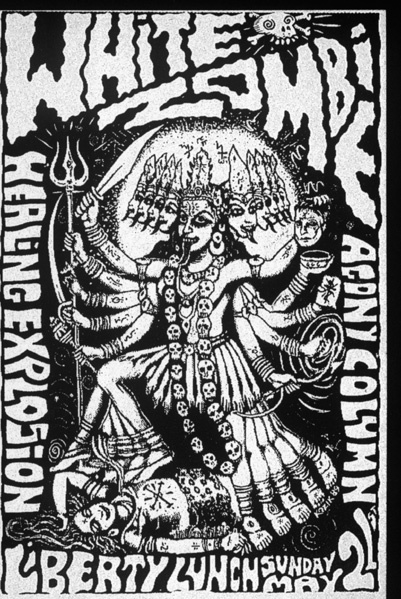 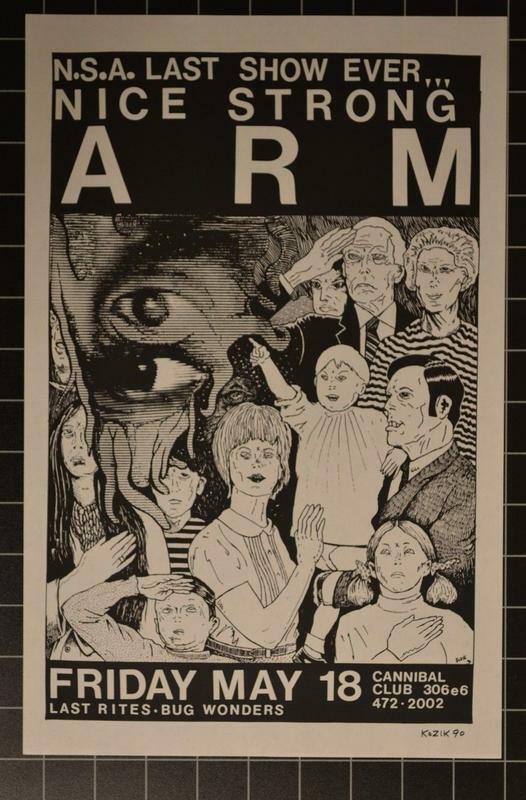 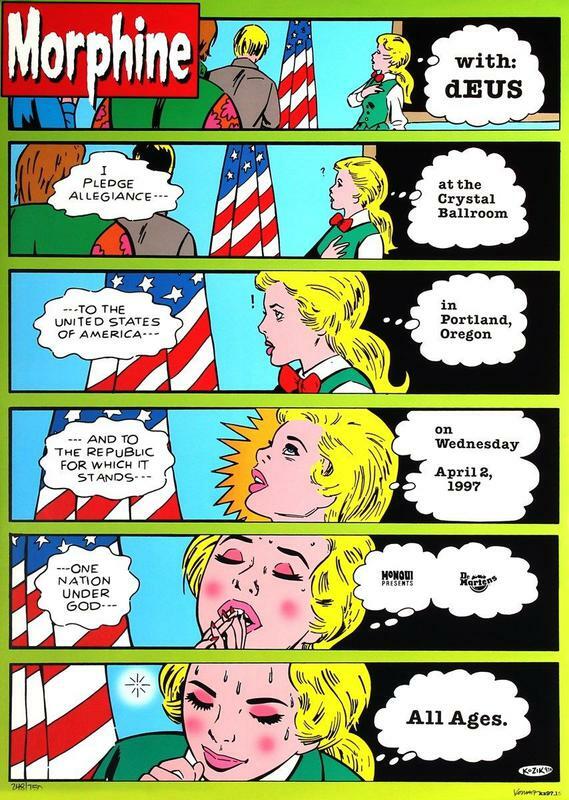 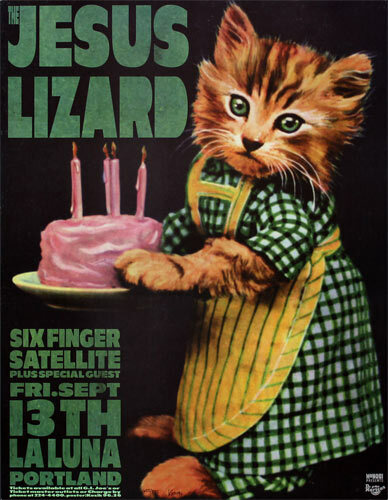 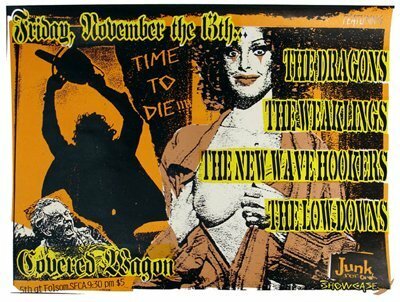 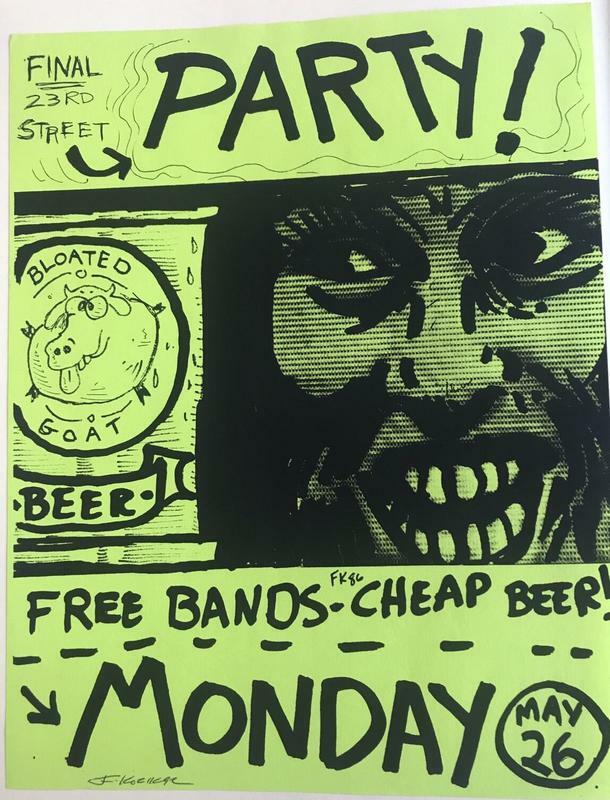 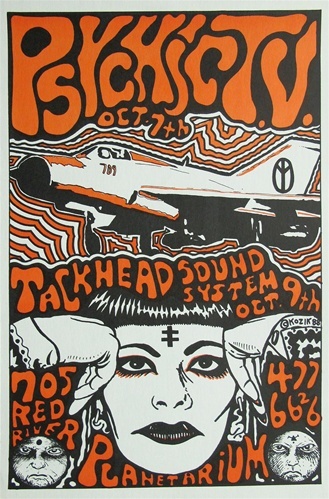 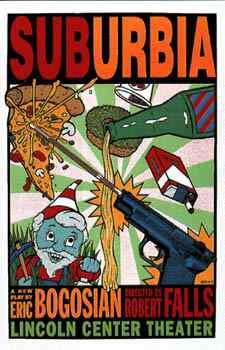 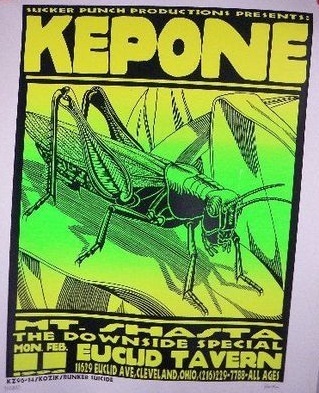 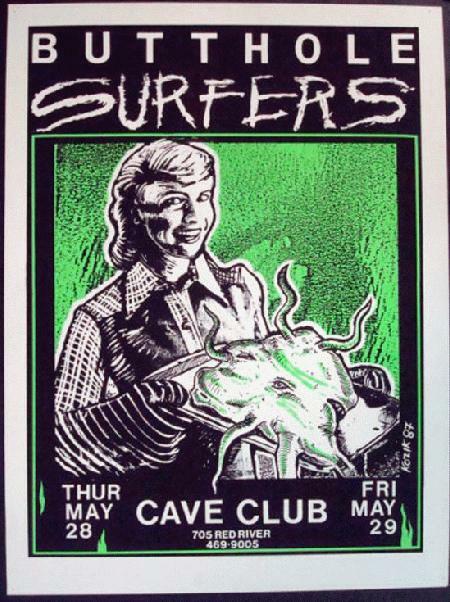 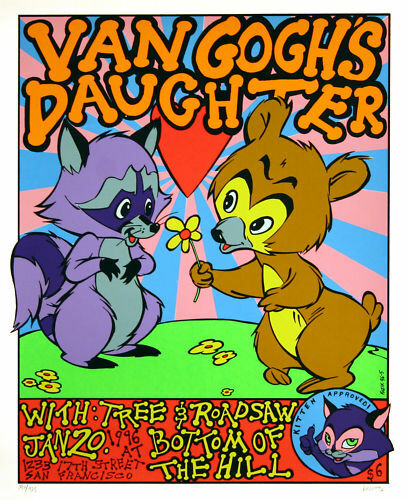 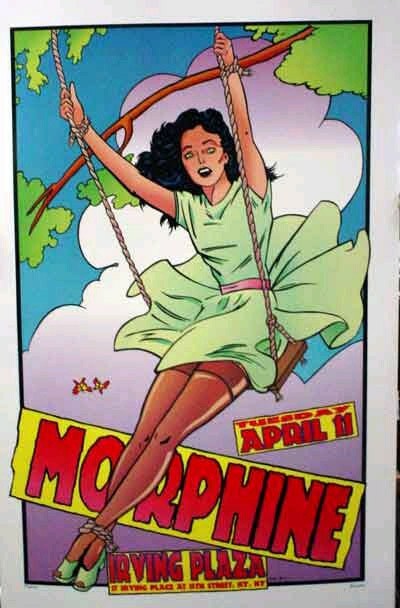 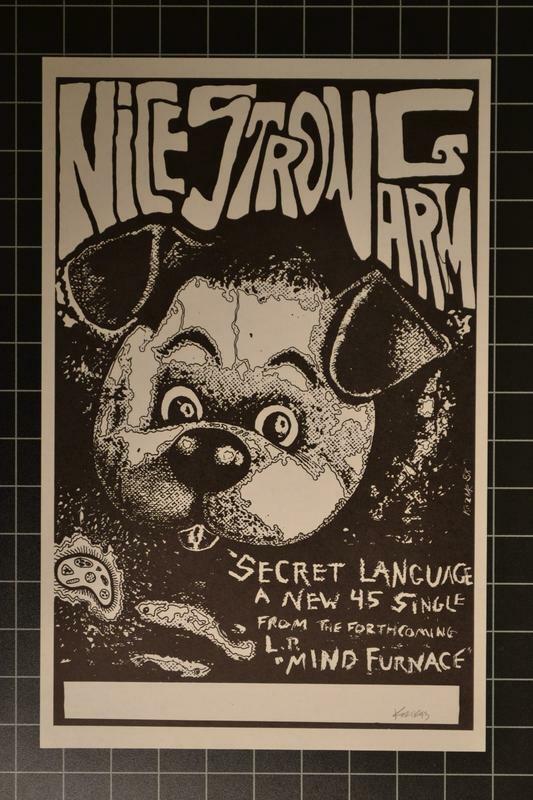 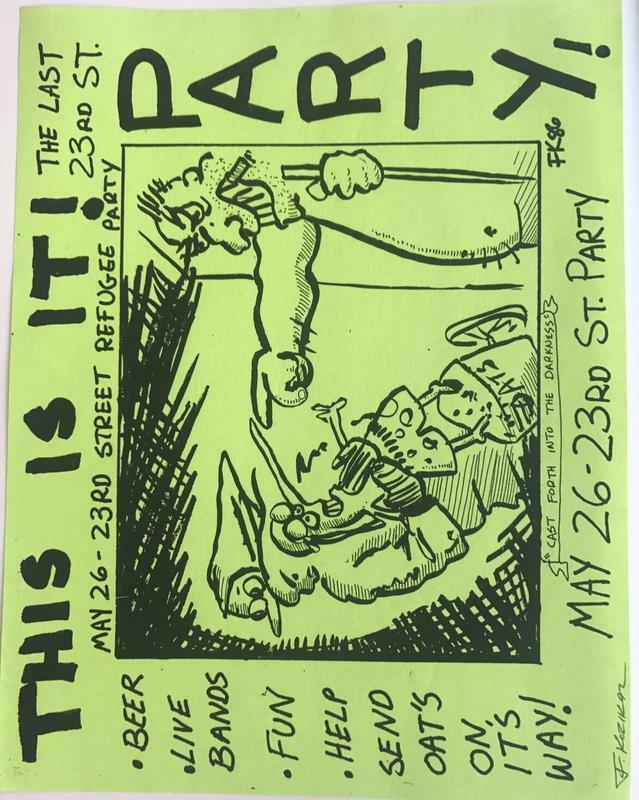 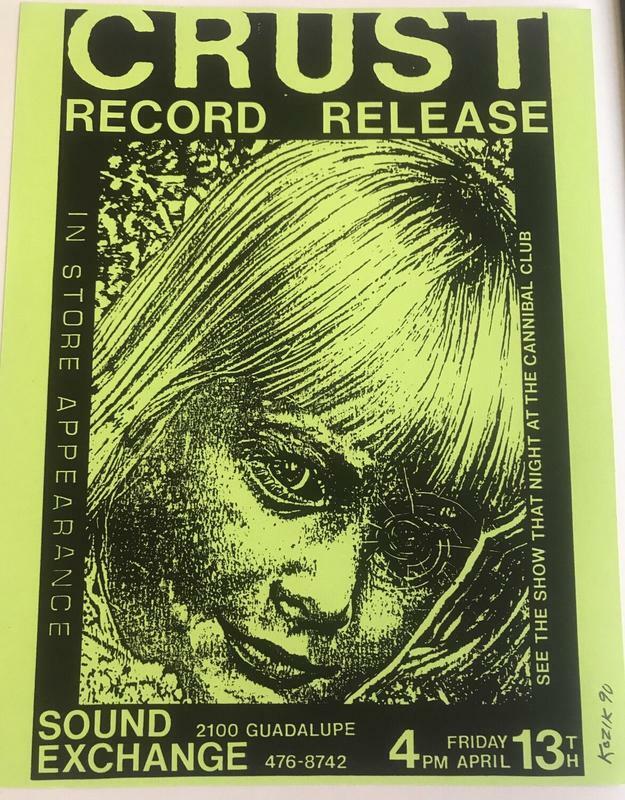 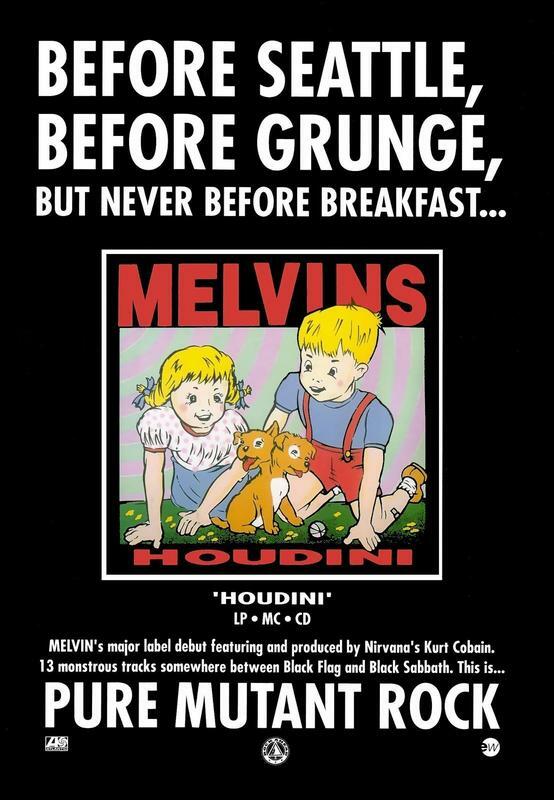 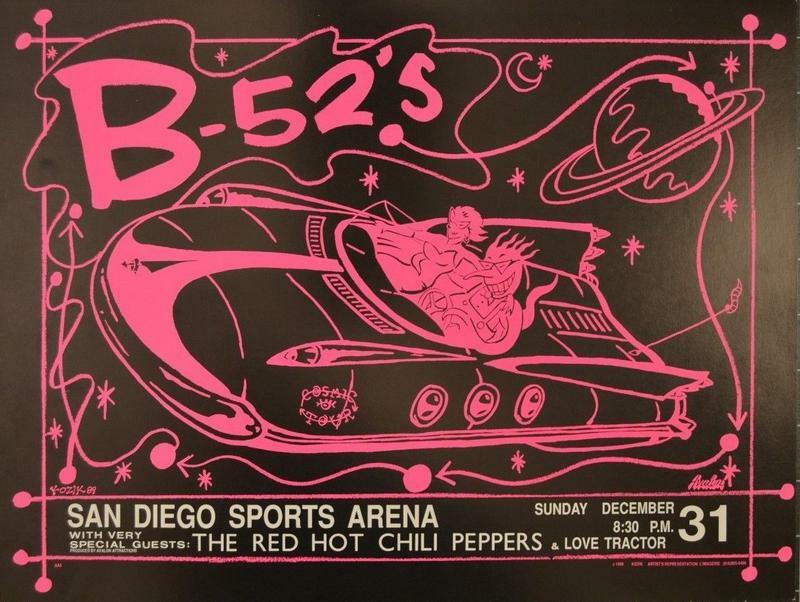 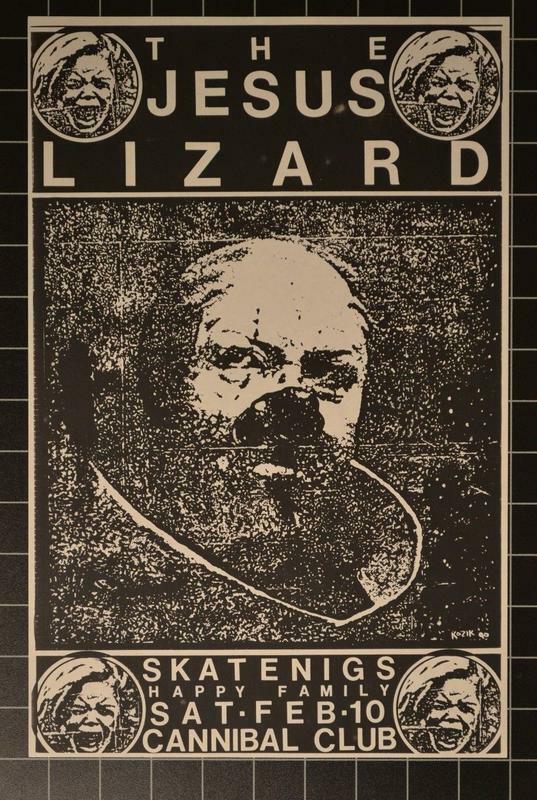 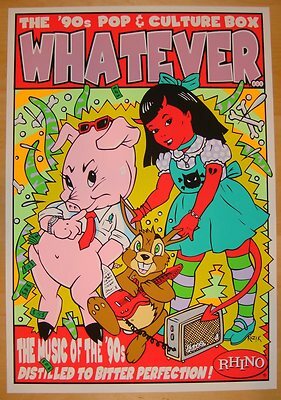 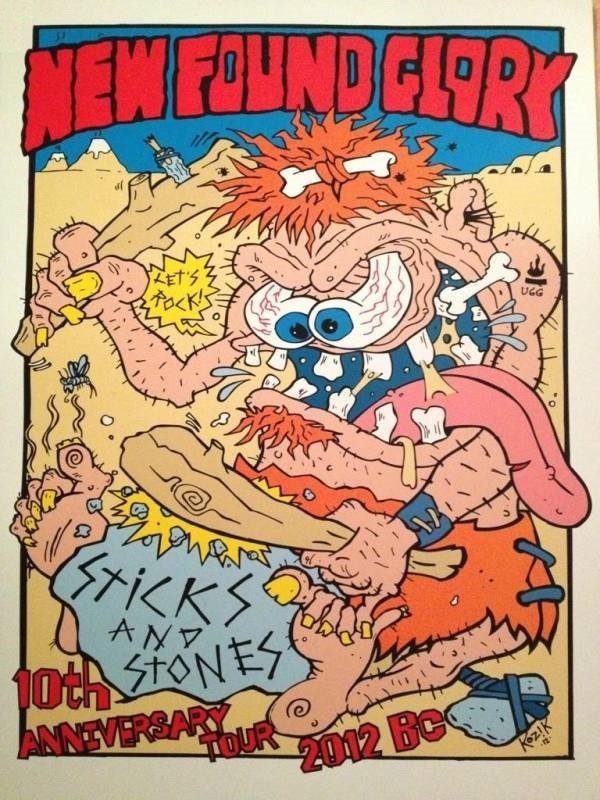 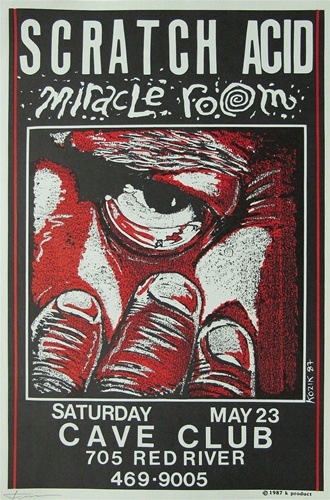 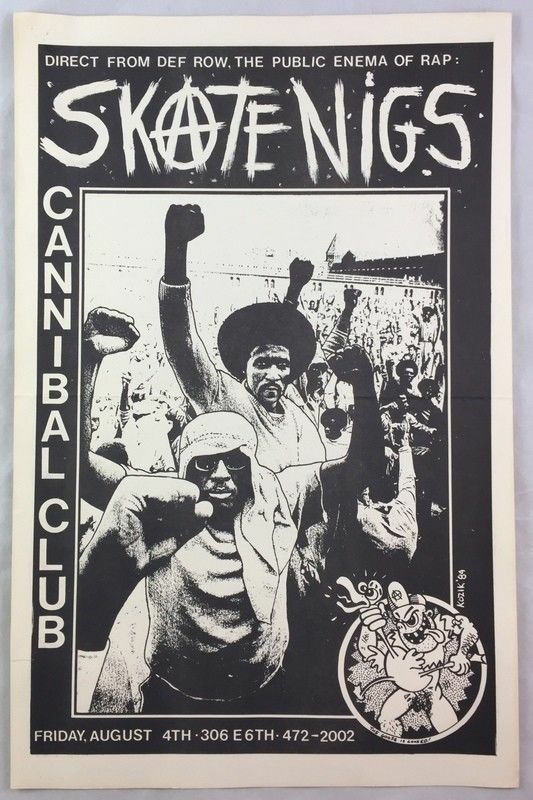 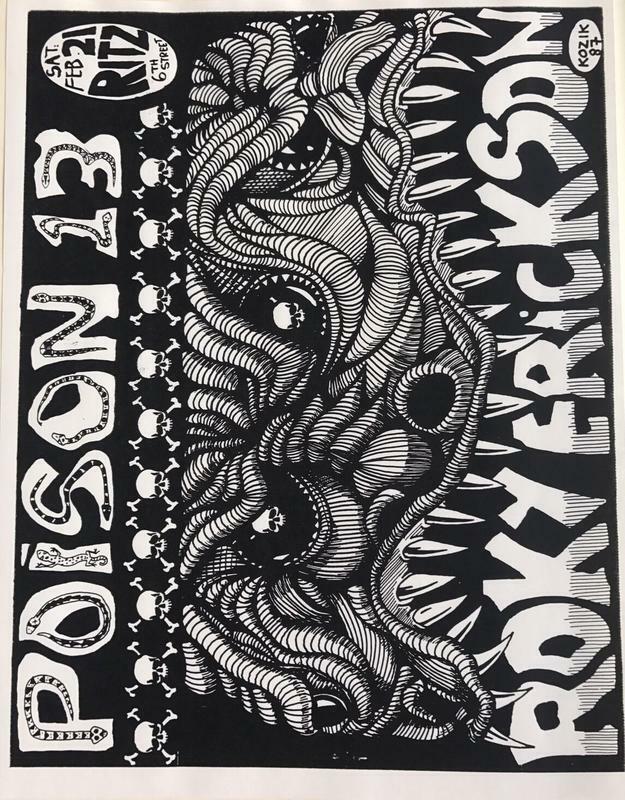 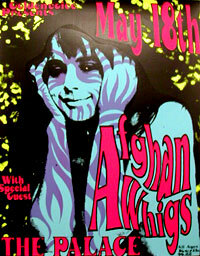 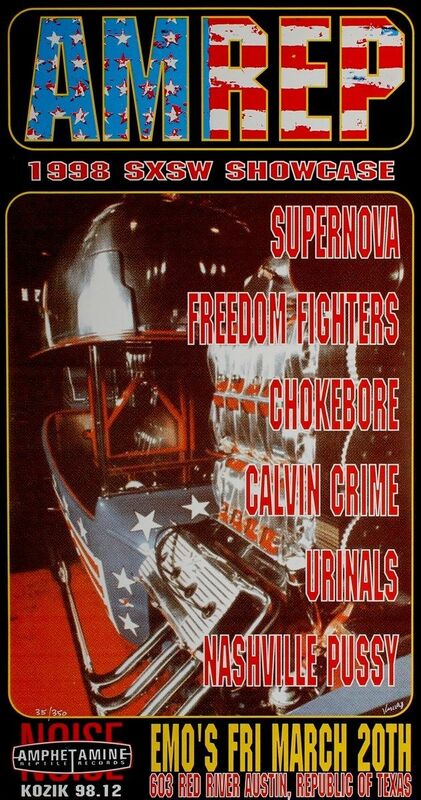 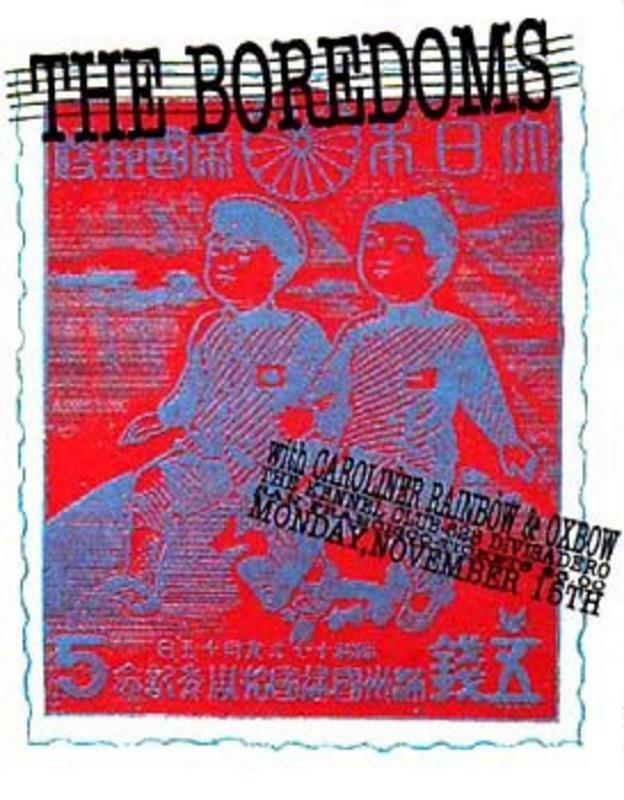 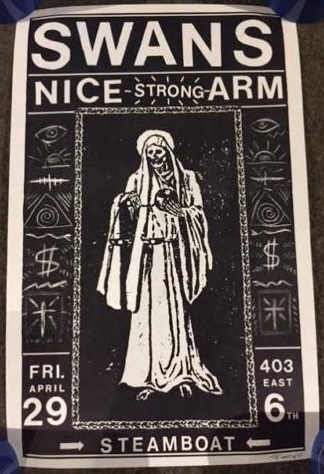 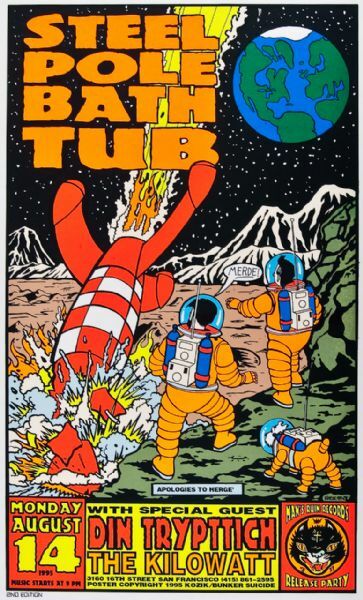 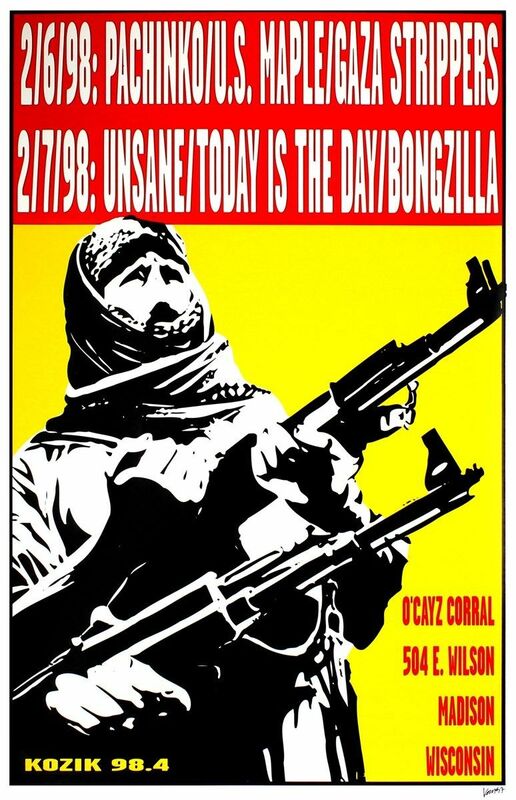 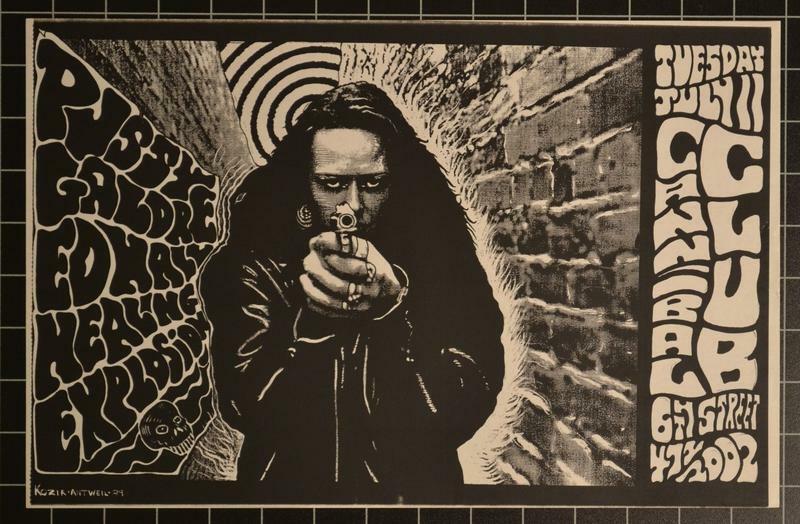 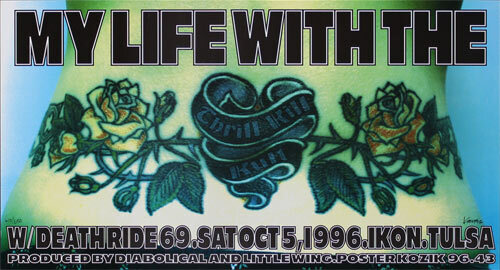 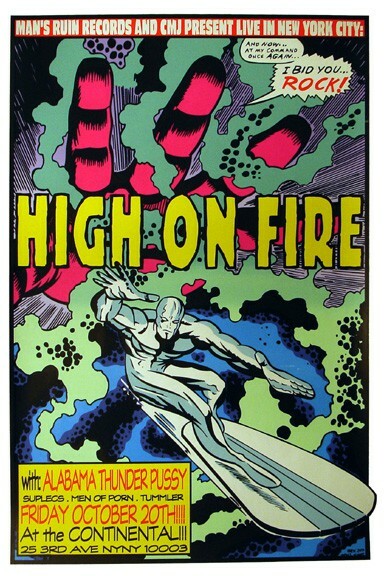 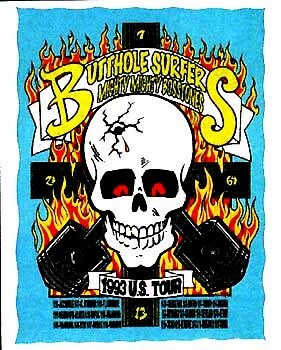 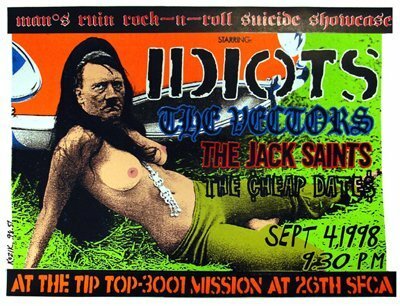 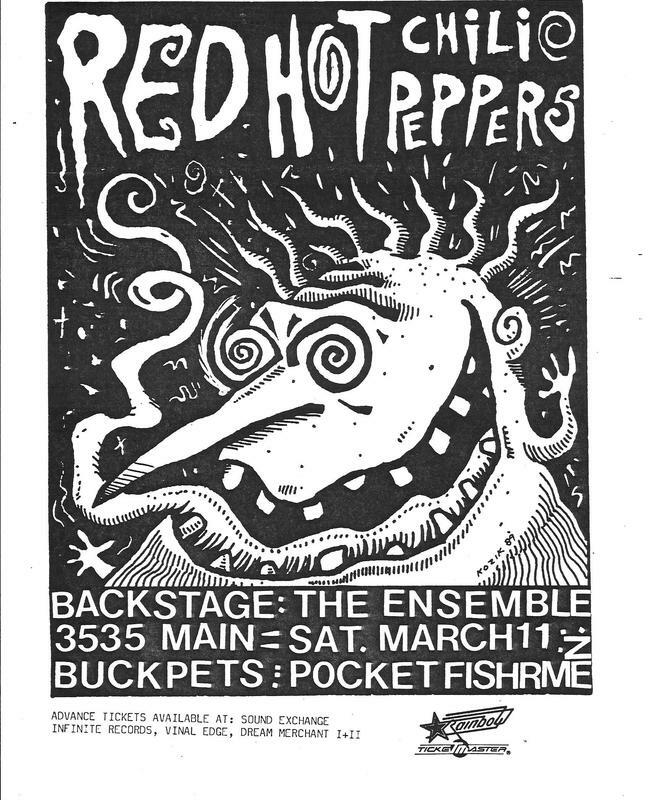 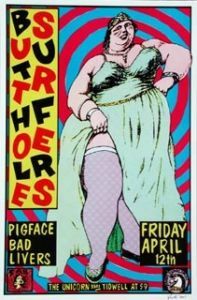 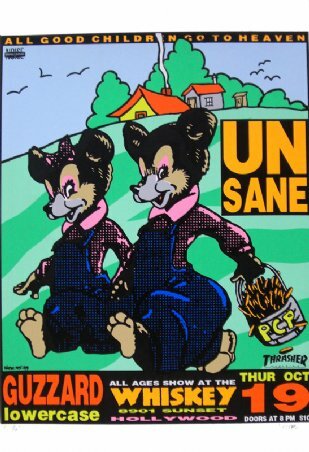 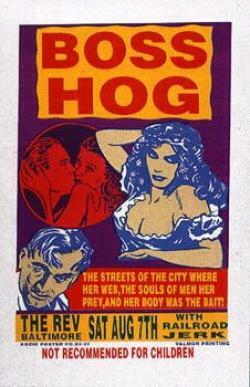 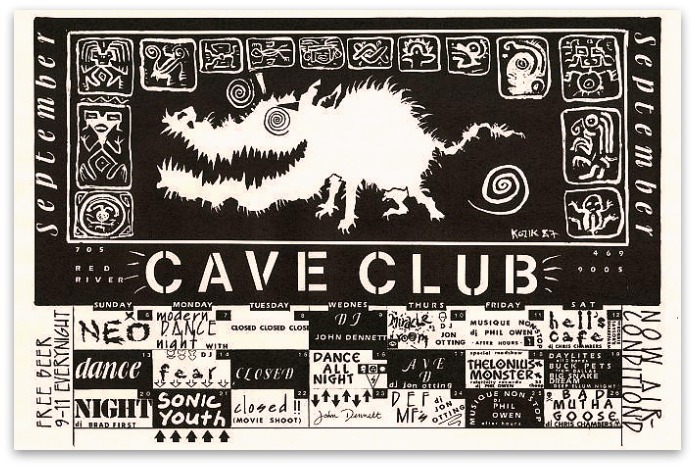 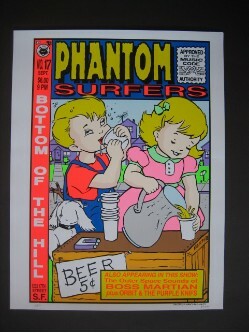 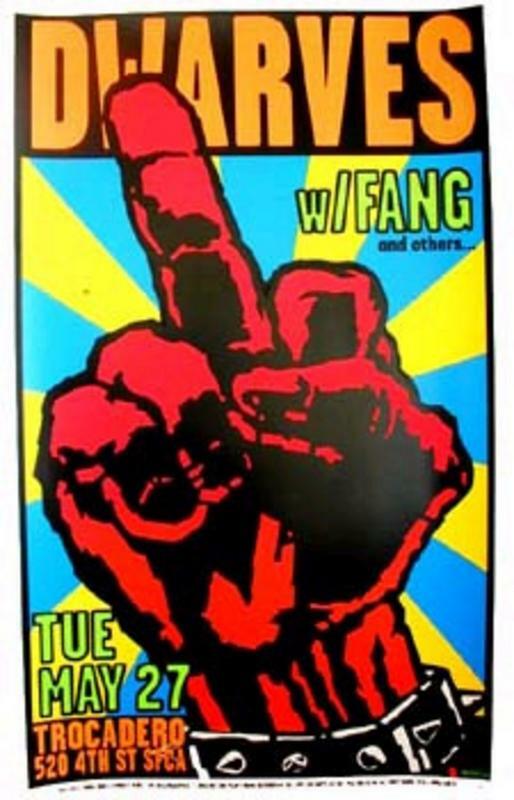 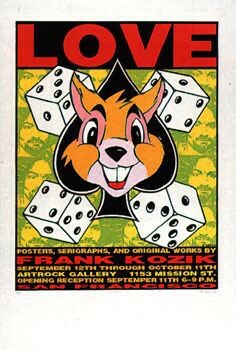 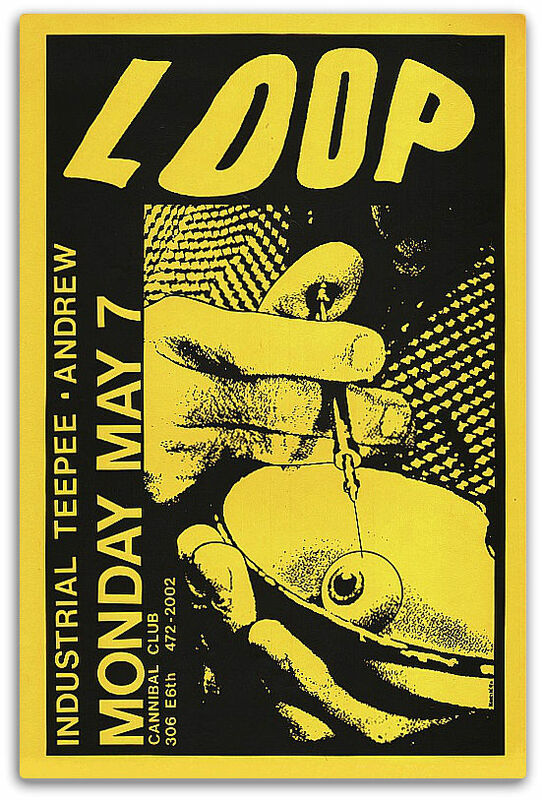 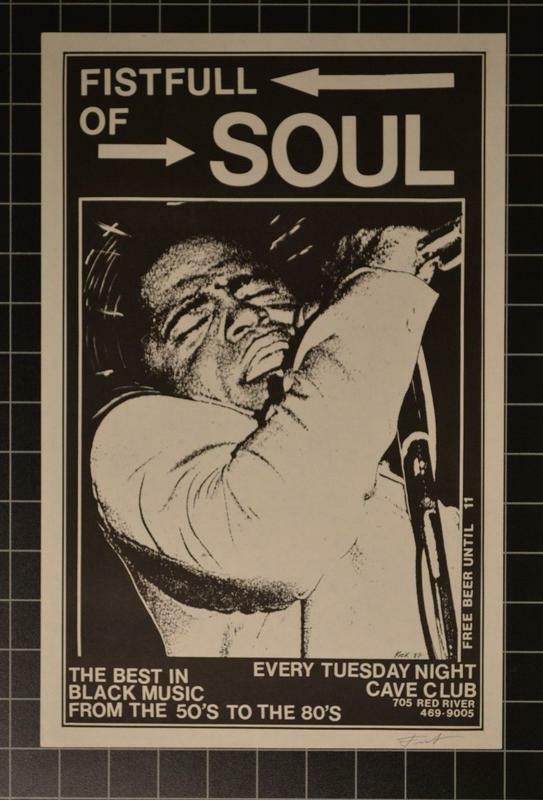 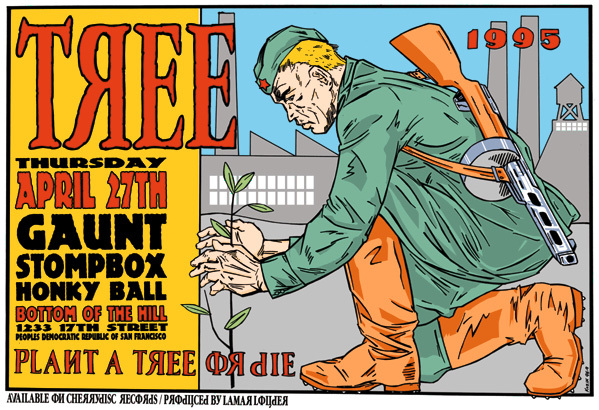 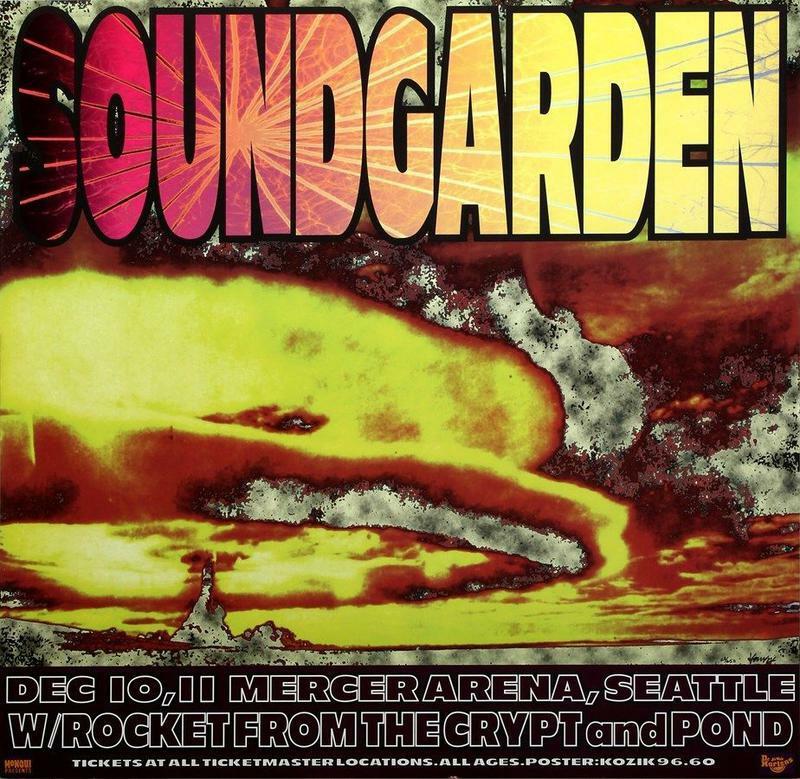 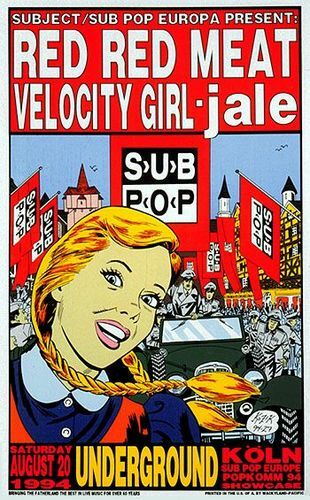 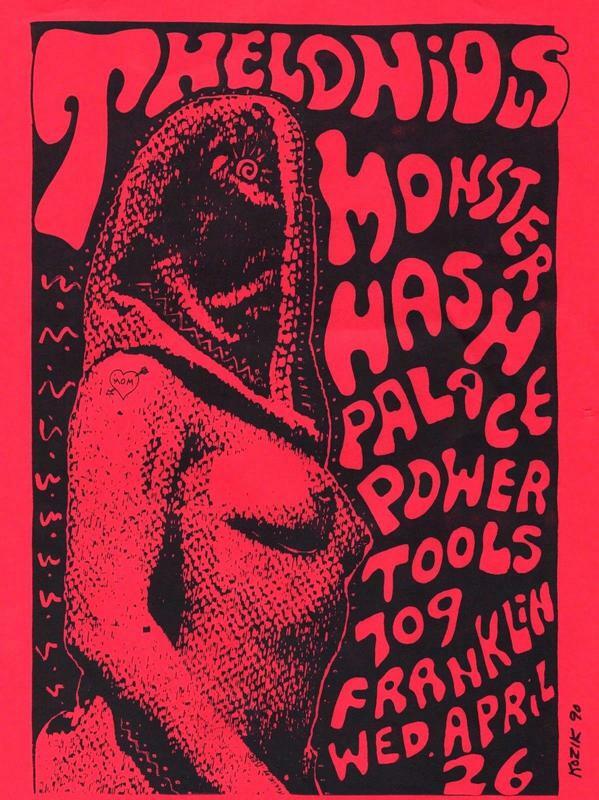 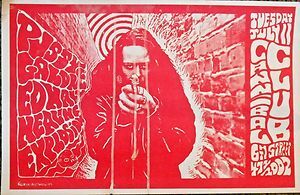 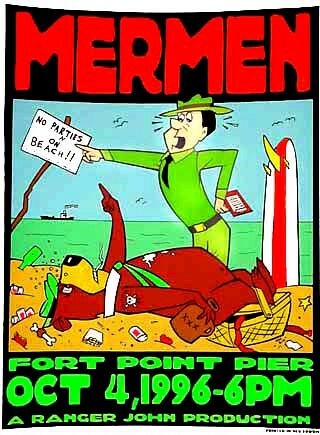 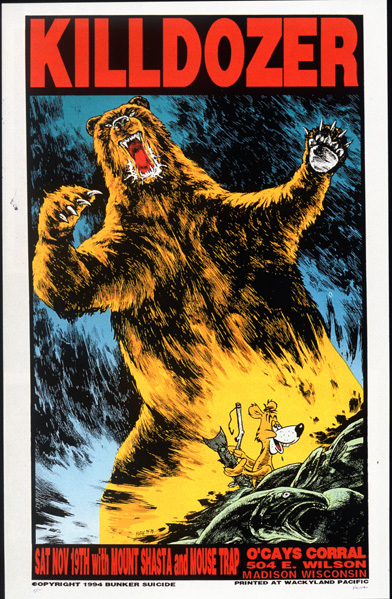 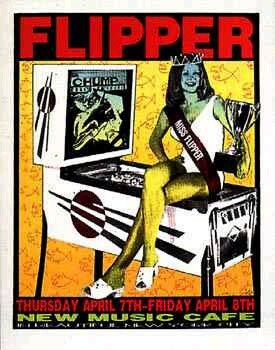 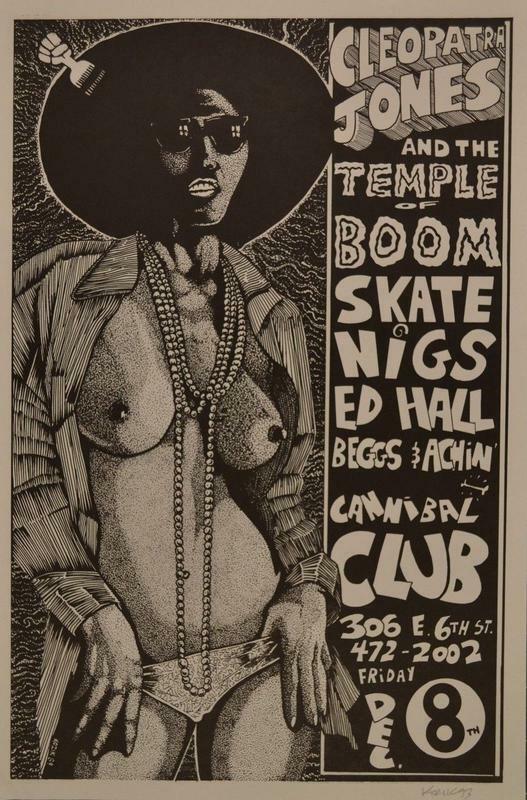 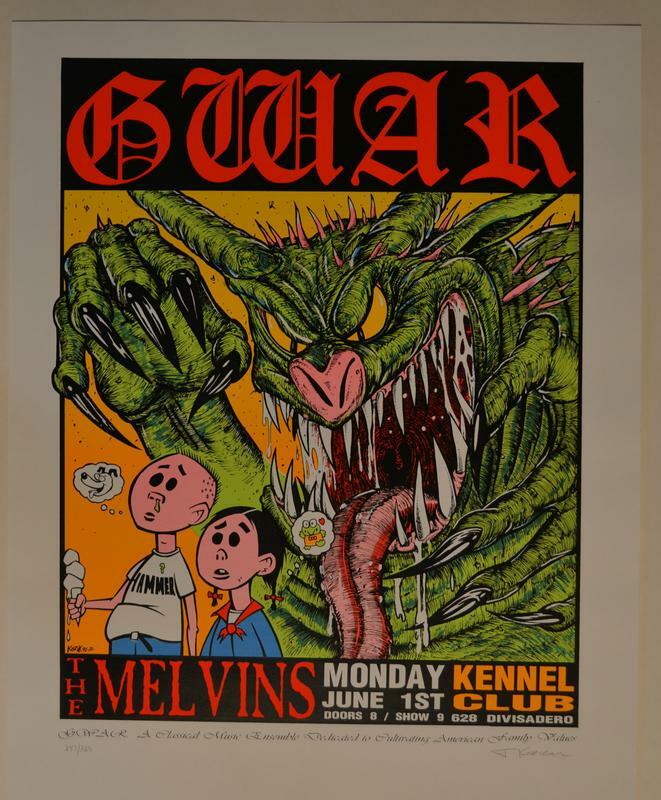 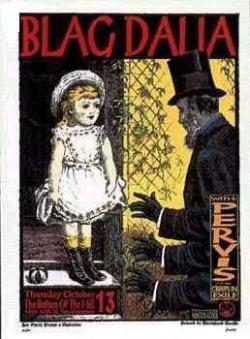 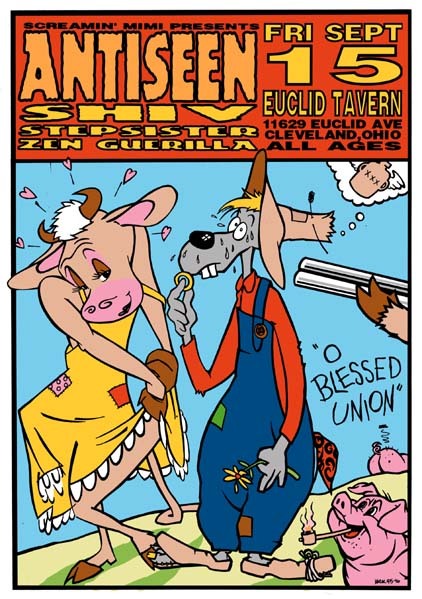 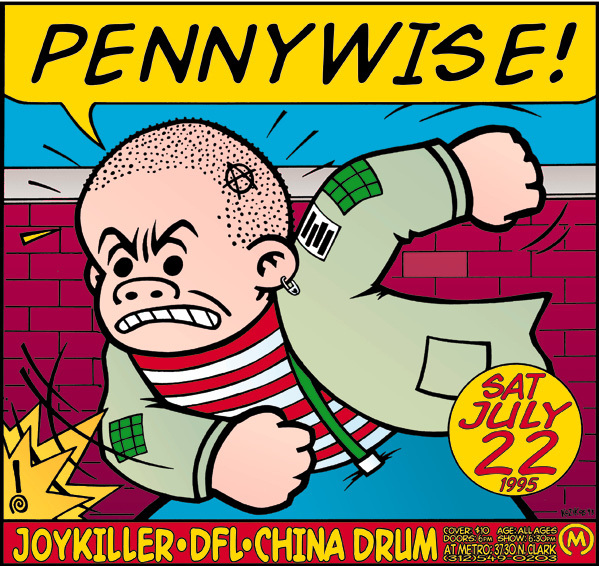 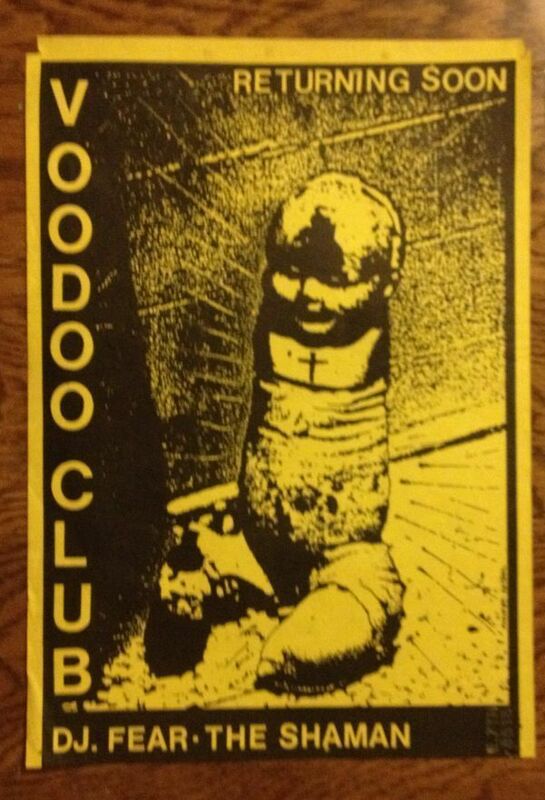 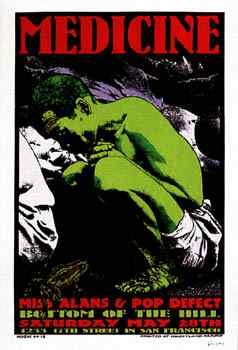 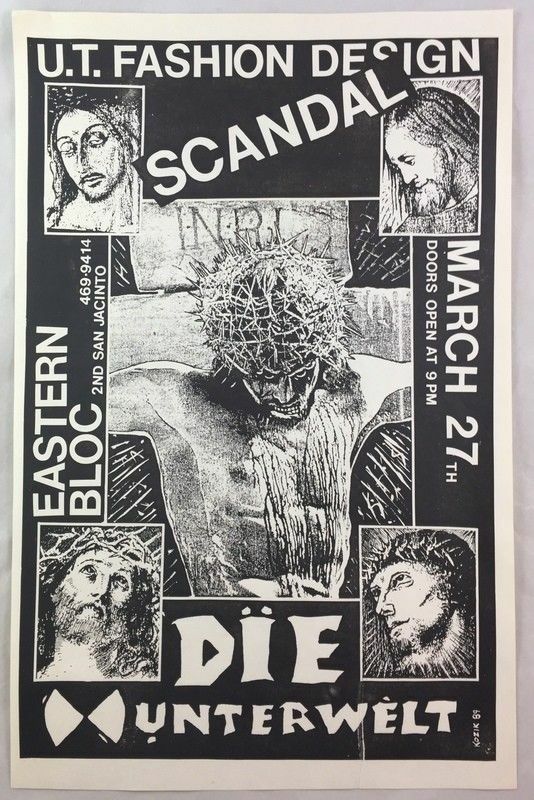 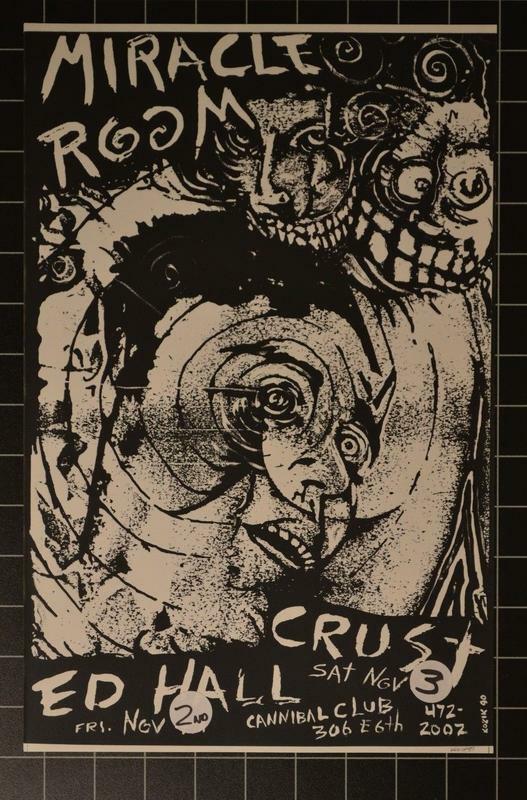 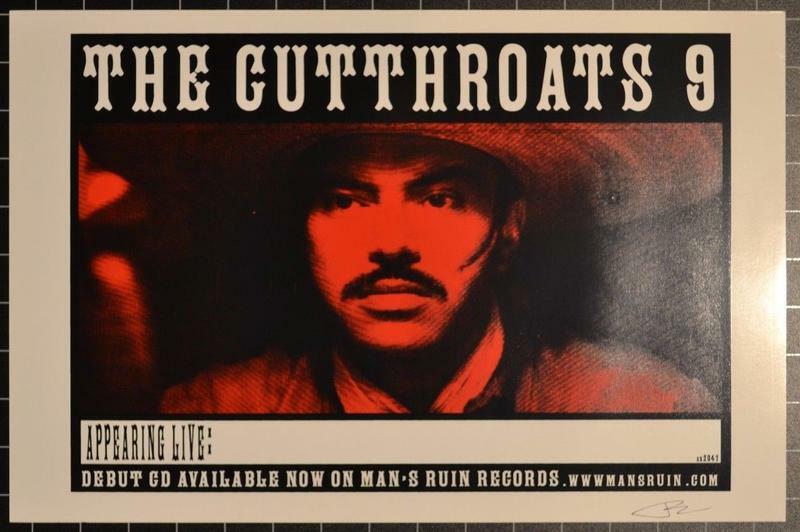 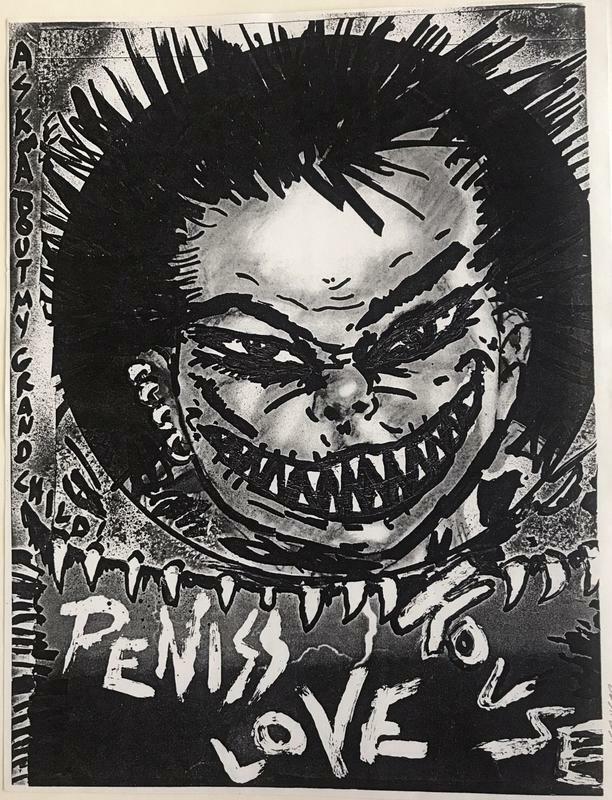 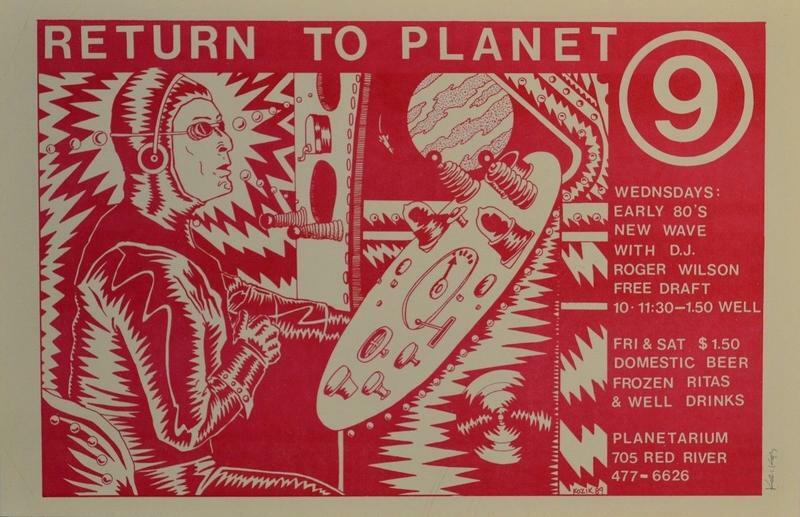 As throughout this little narrative, there were MANY other influences, contributors, and concurrent events going on across the country and worldwide, but Mr. Kozik truly can be ascribed as” the guy that started it all” with what we know of as gig posters today – thanks Frank! 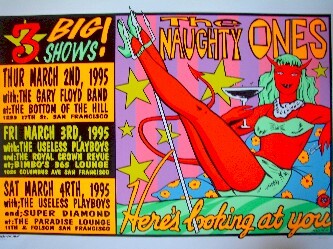 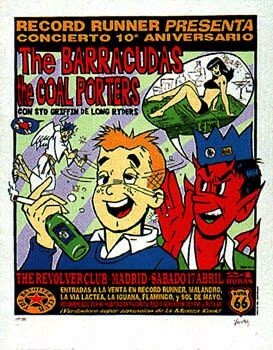 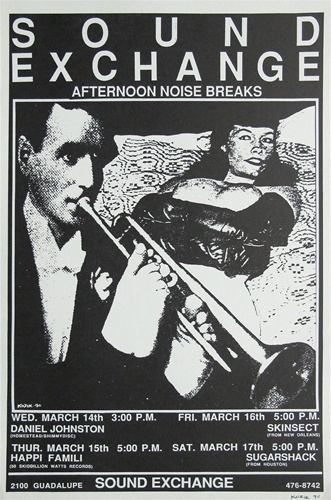 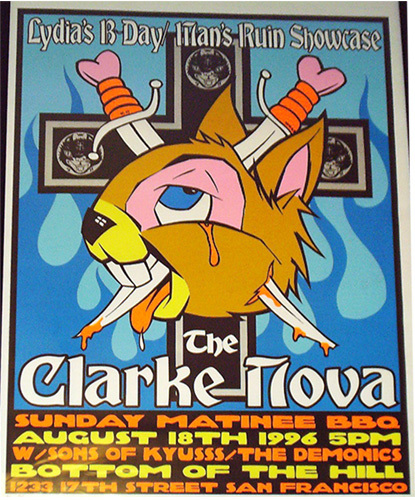 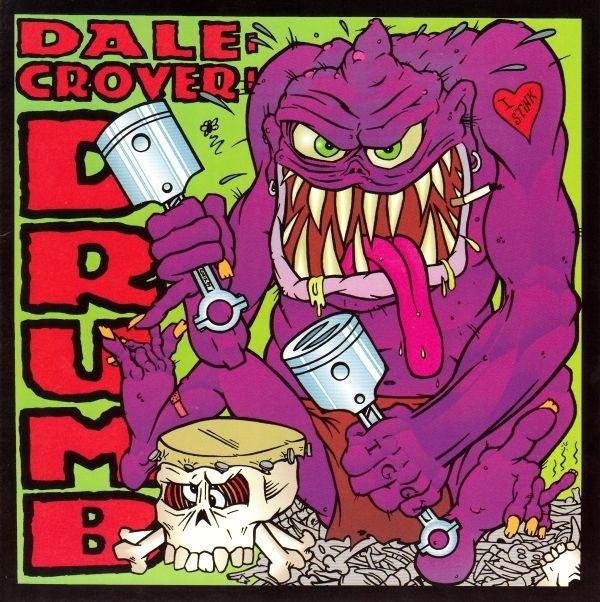 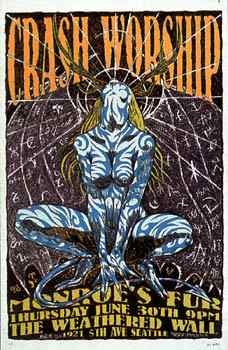 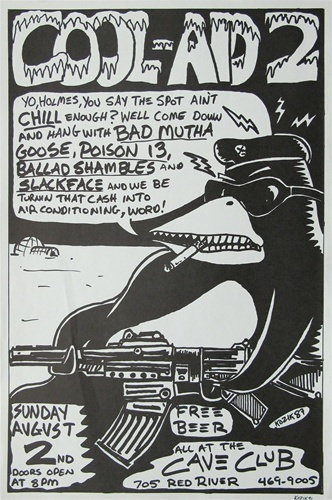 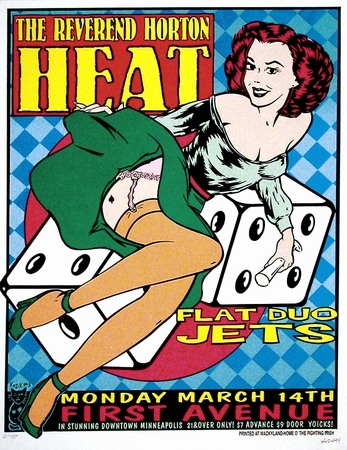 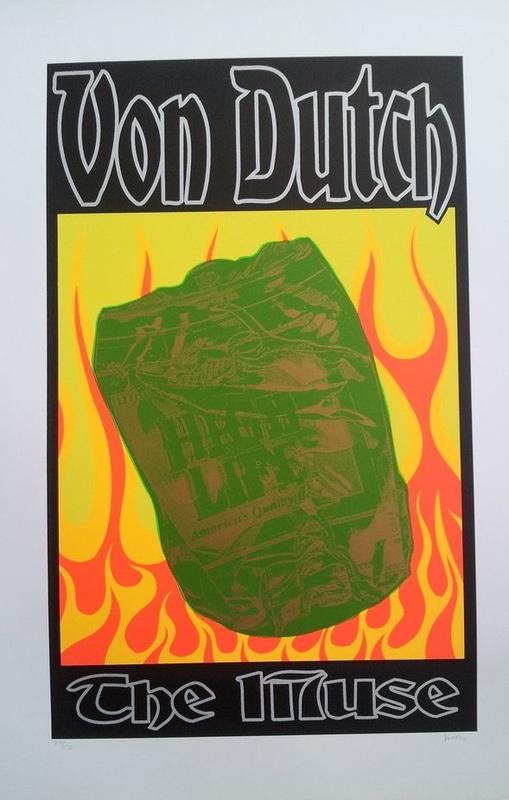 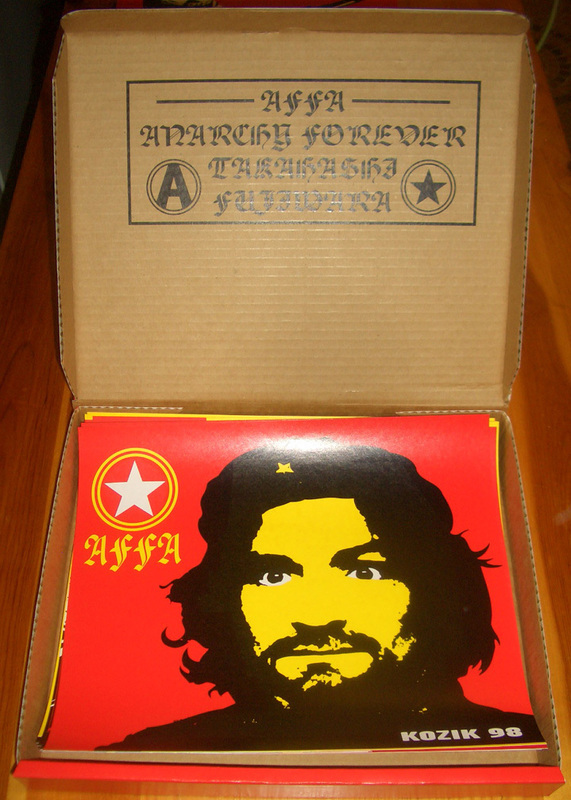 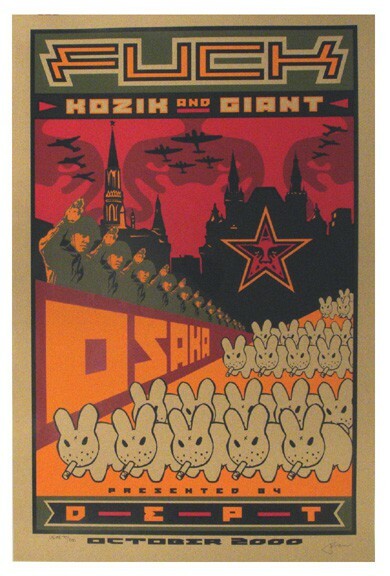 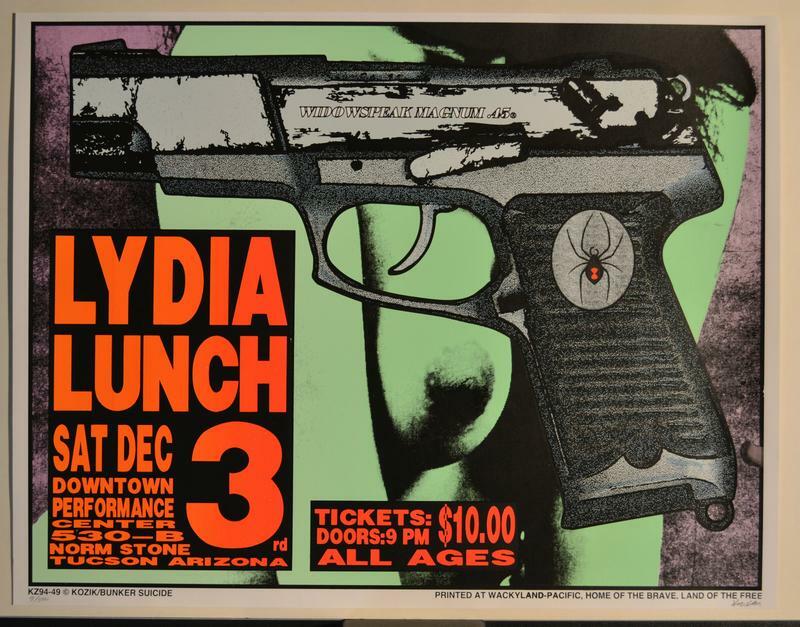 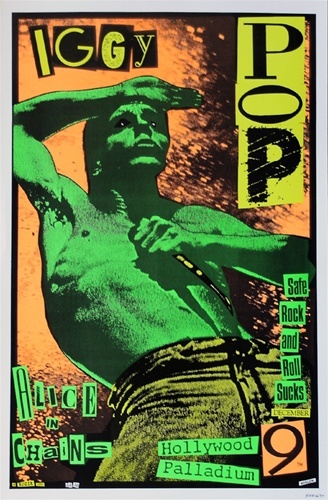 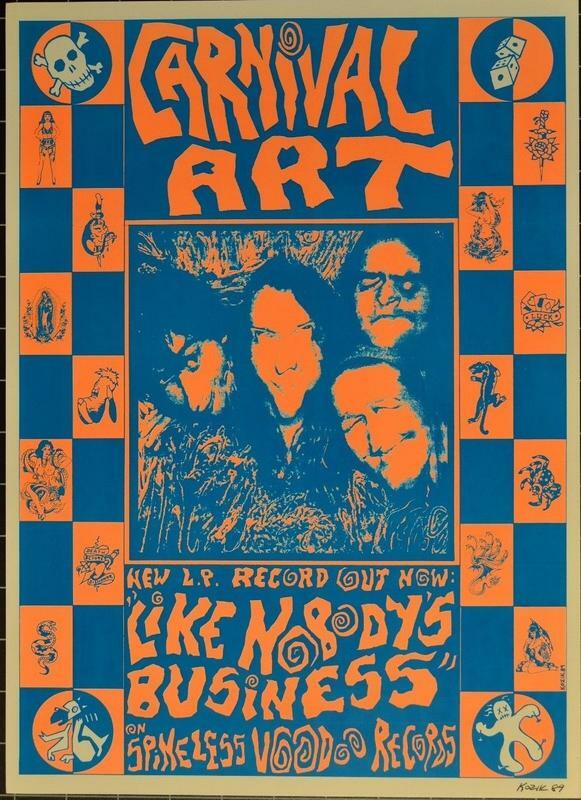 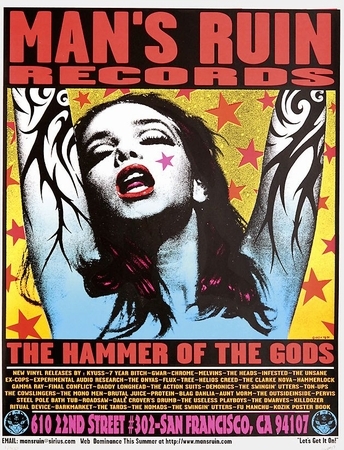 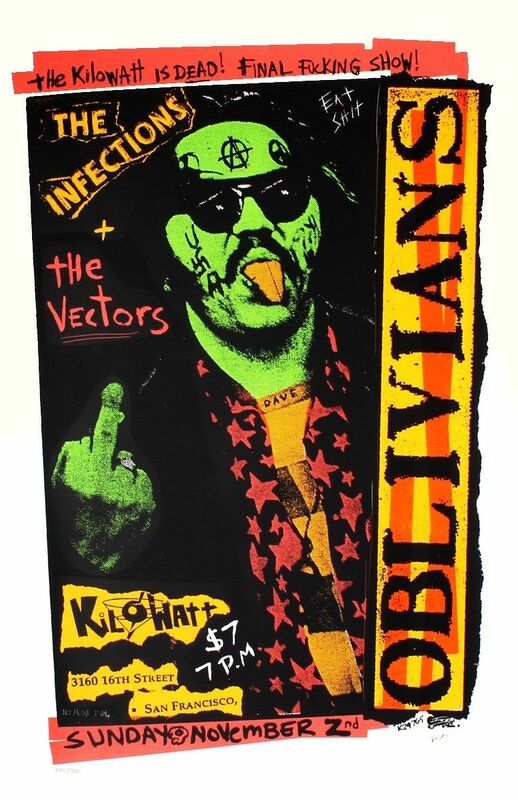 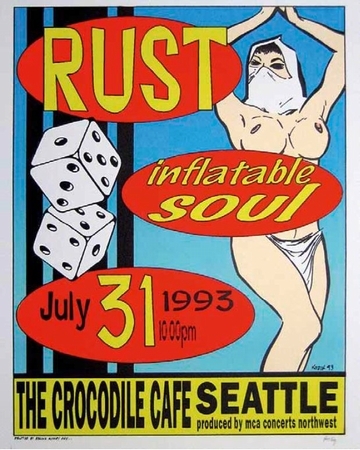 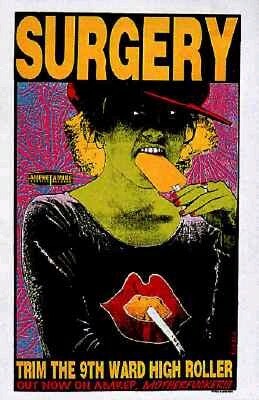 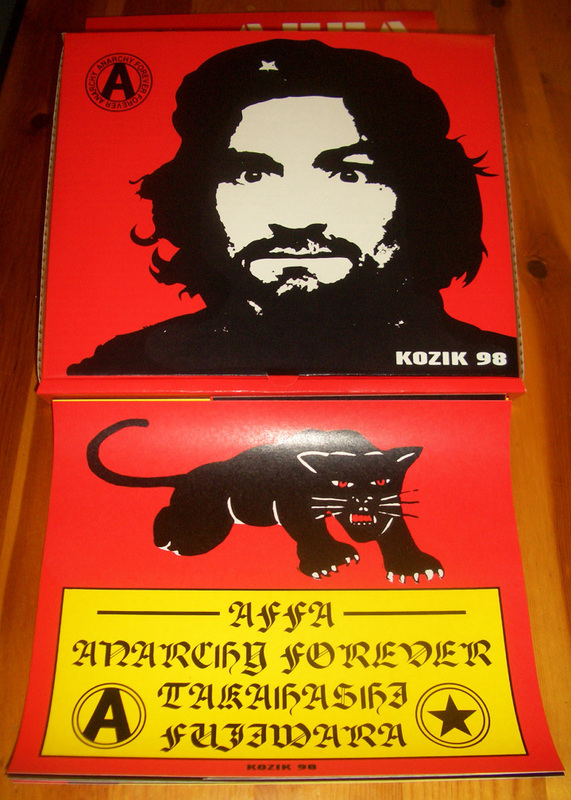 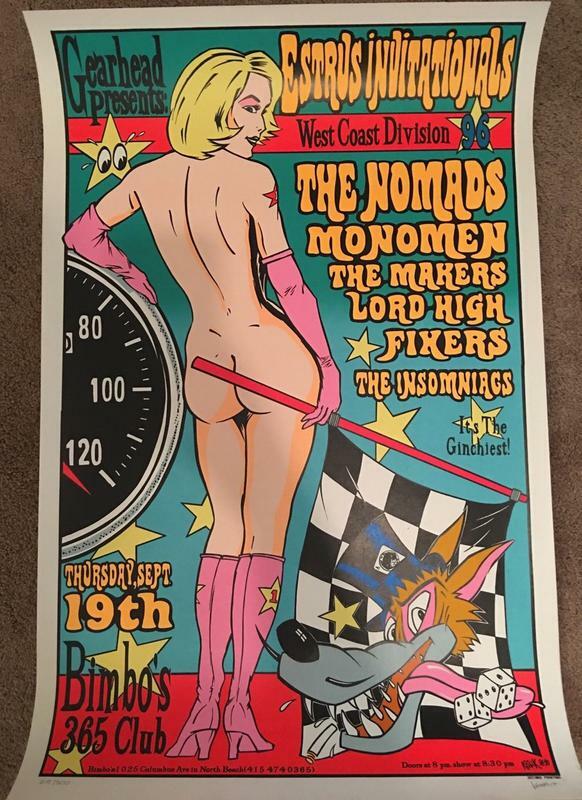 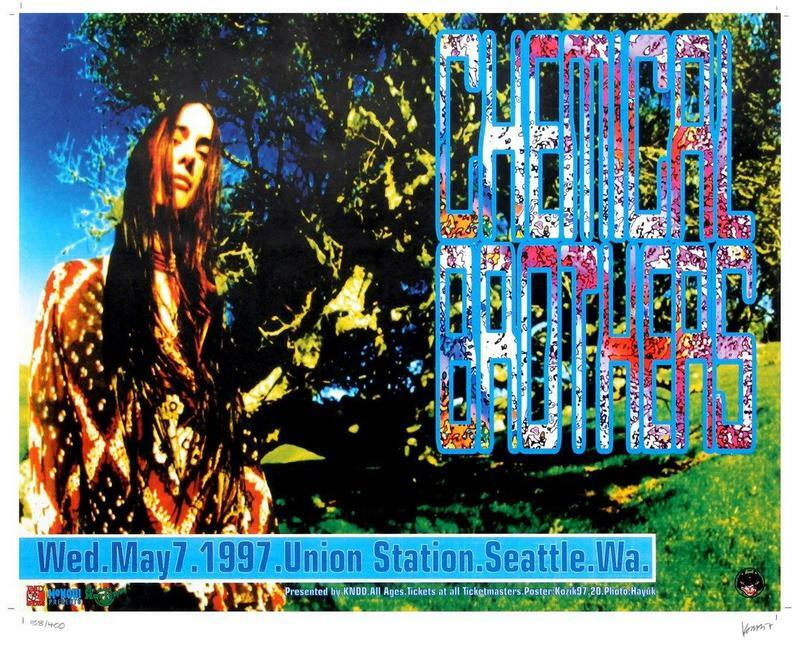 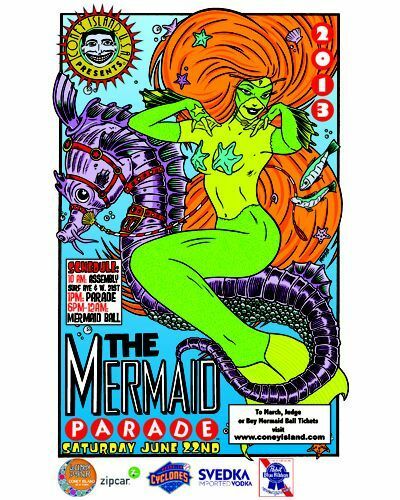 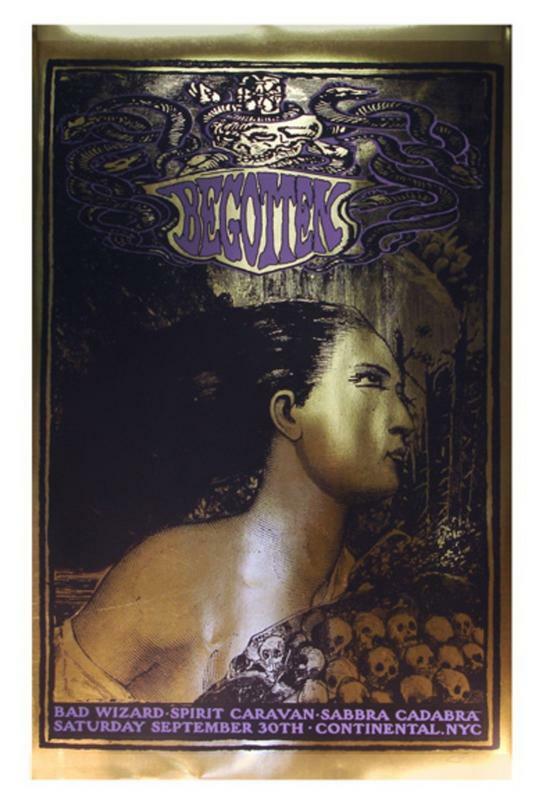 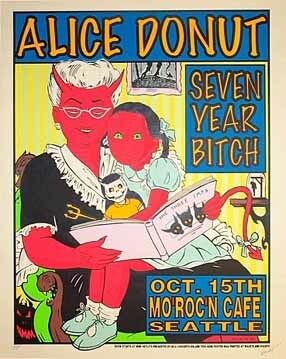 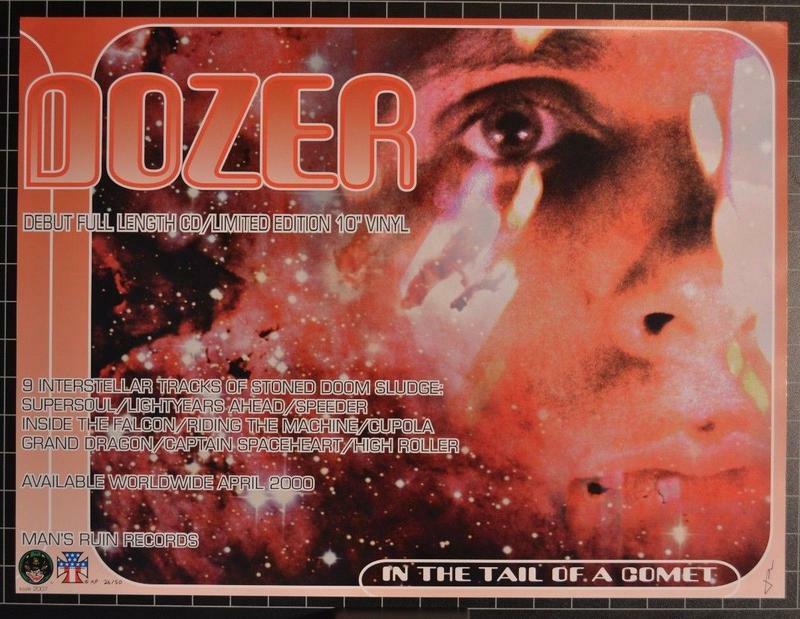 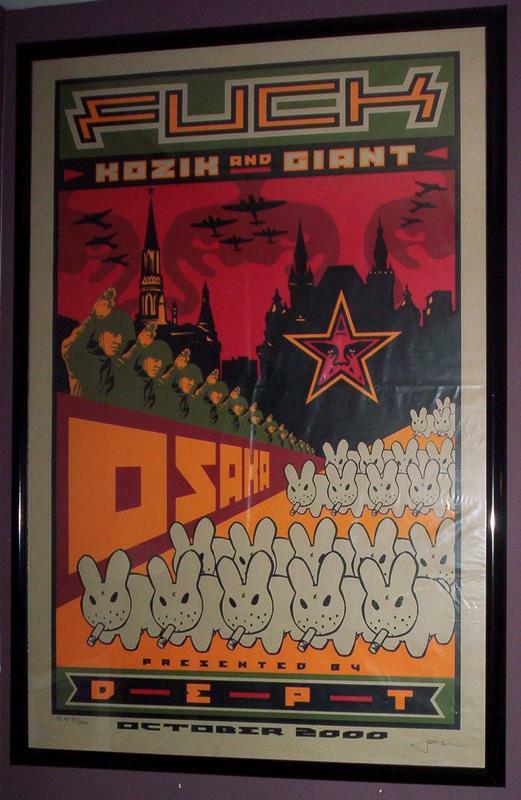 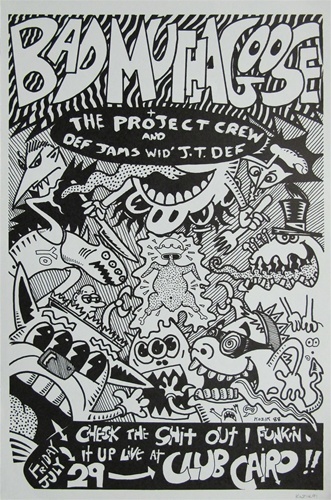 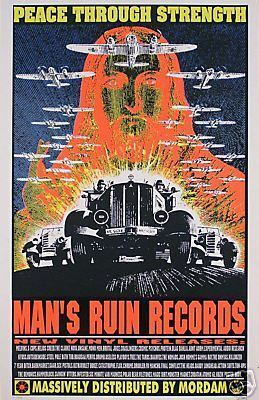 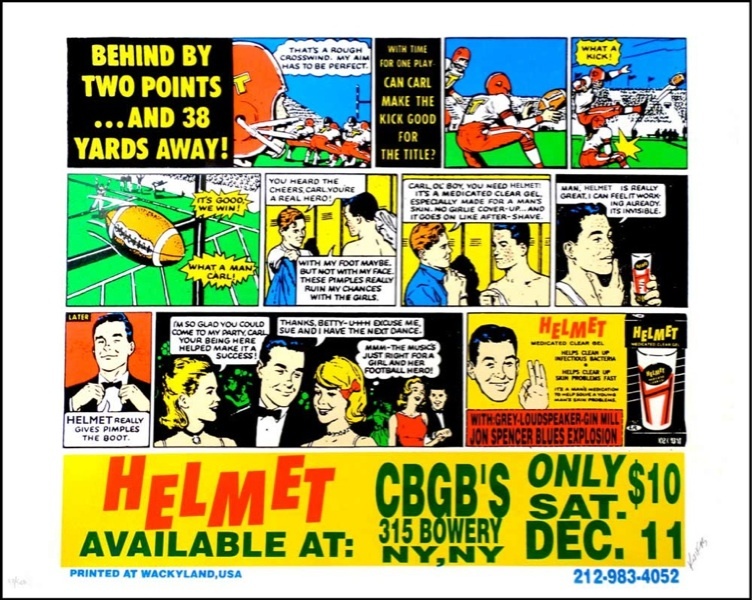 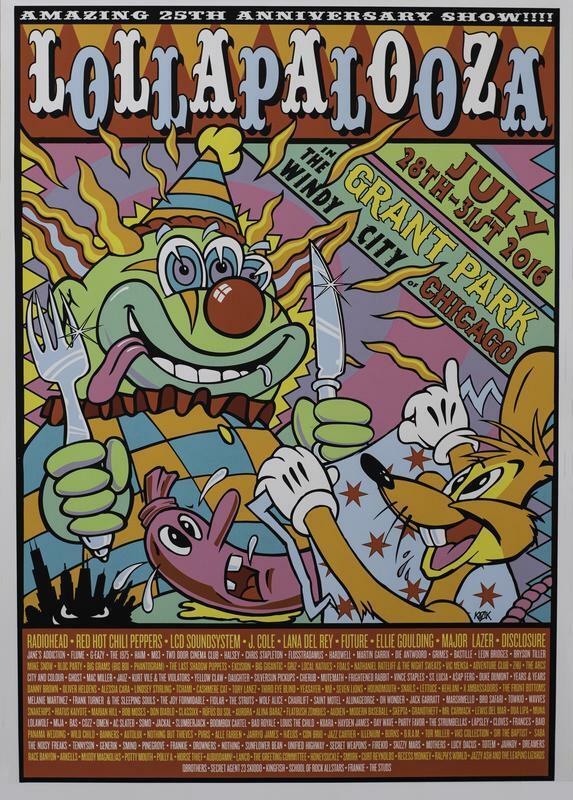 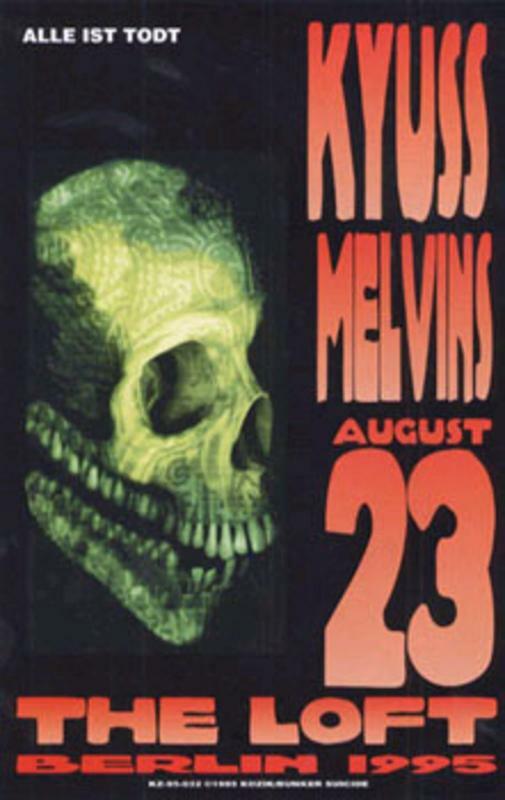 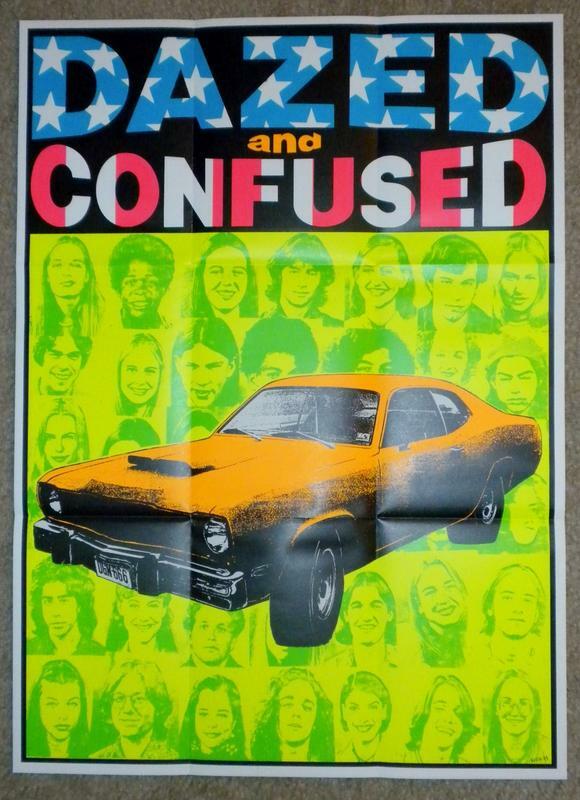 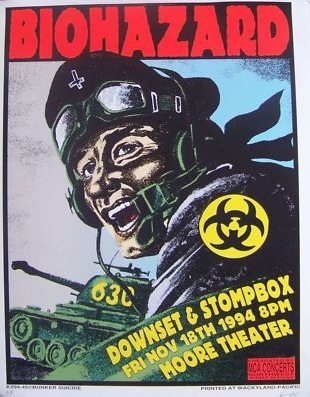 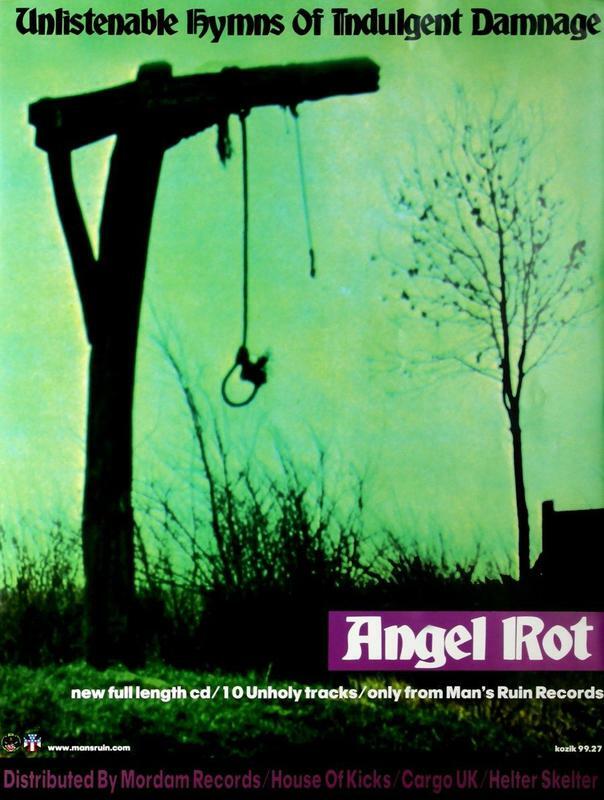 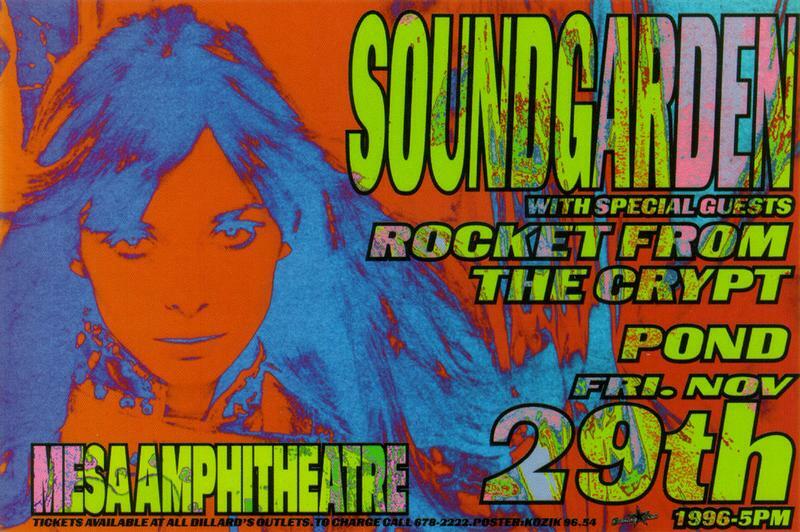 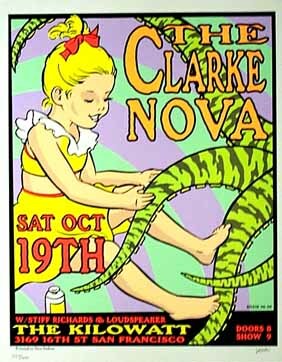 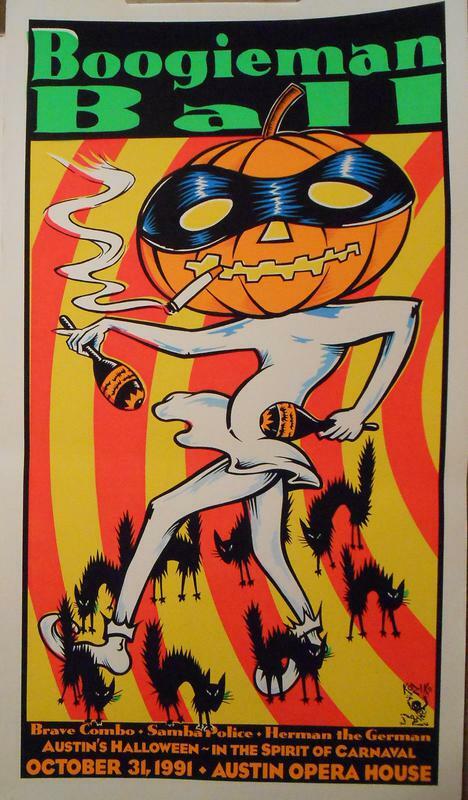 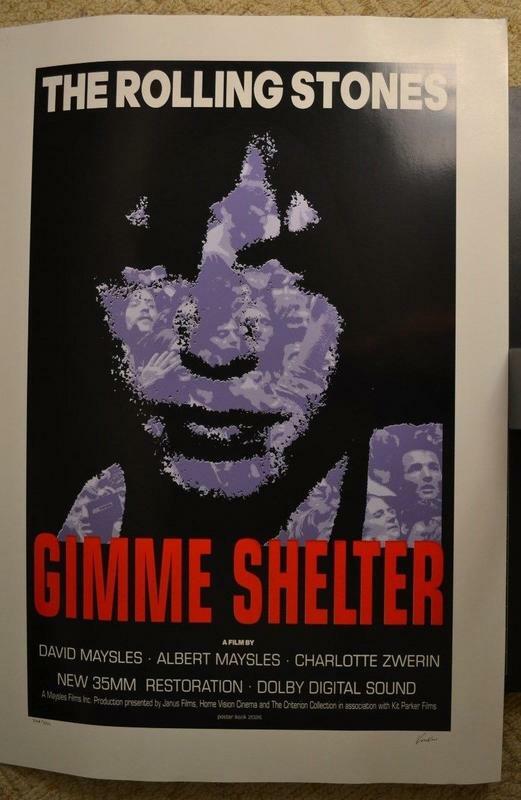 In addition to creating some of the wildest, most outrageous, Day-Glo beauties ever made, Kozik developed an arrangement with the bands and performers that forever cemented the use of posters as “merch” and made the poster artists themselves a sought-after commodity.